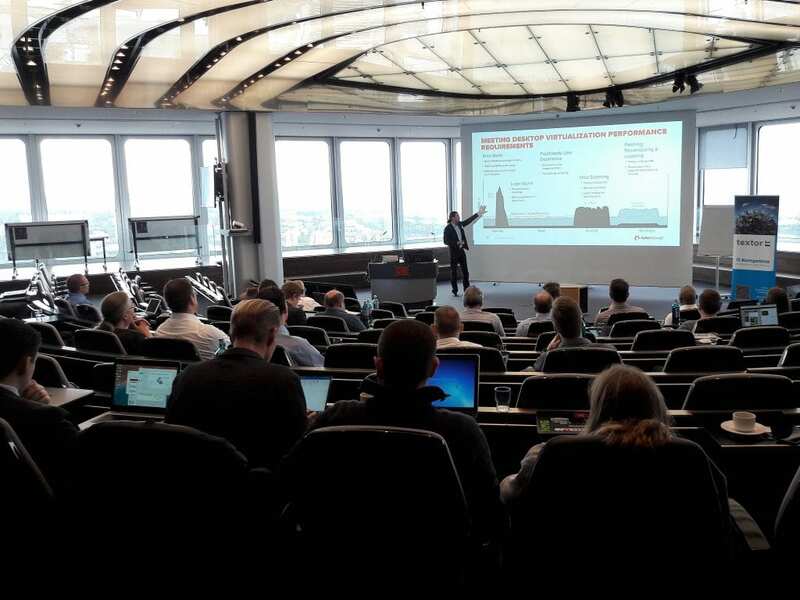 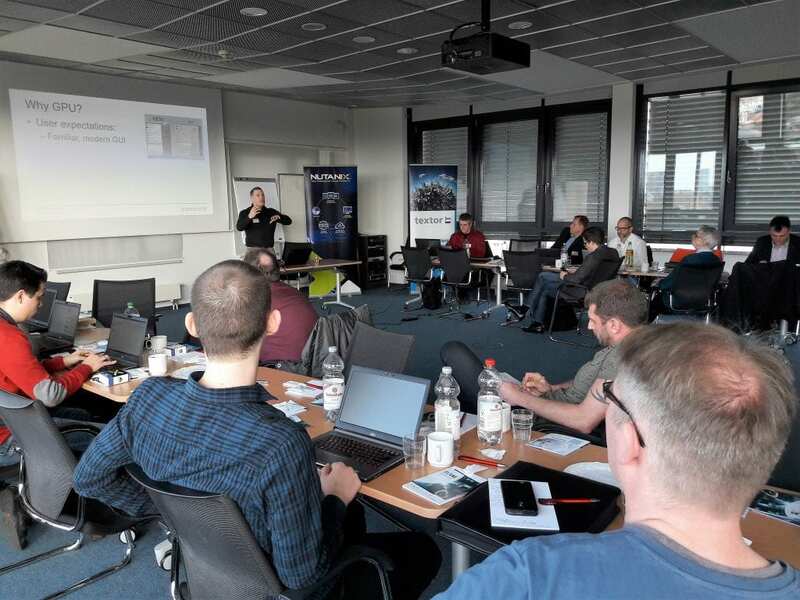 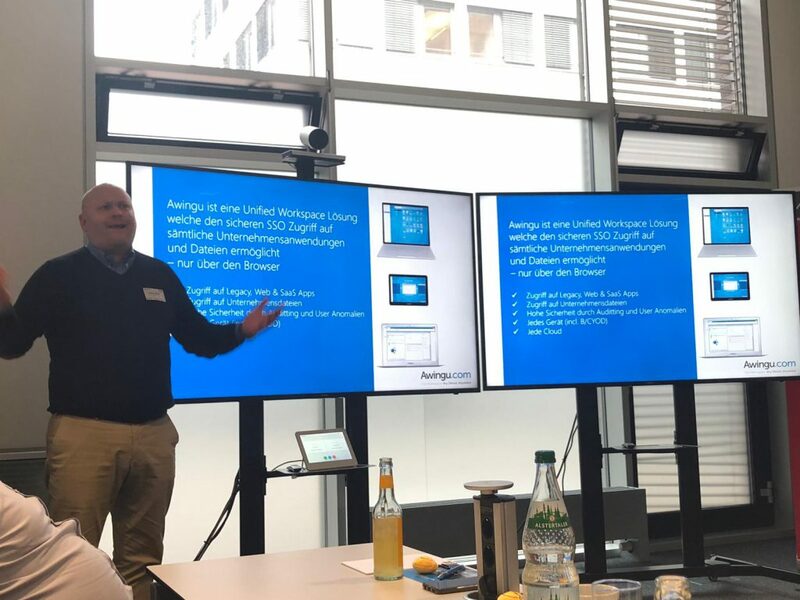 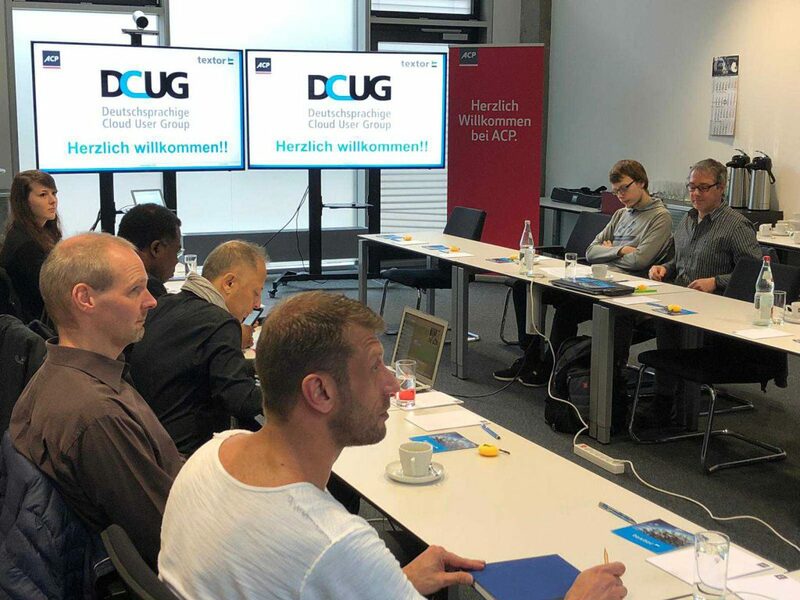 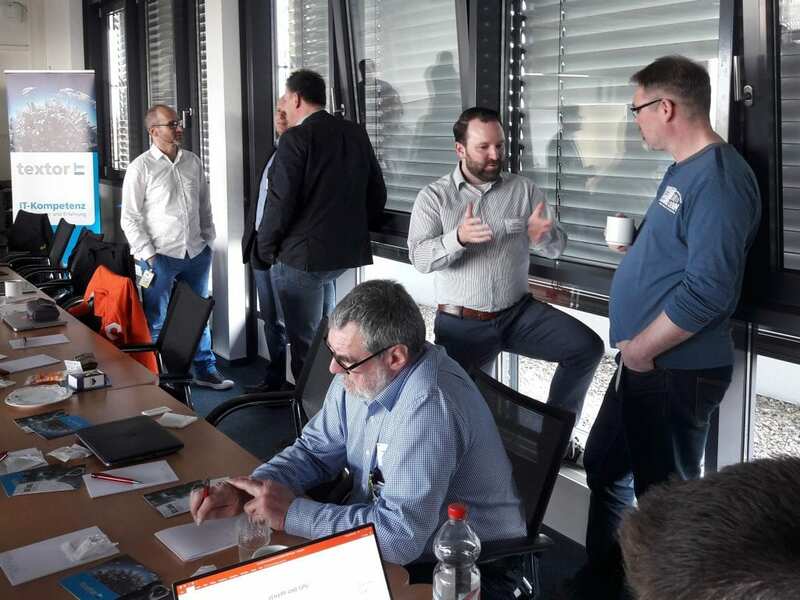 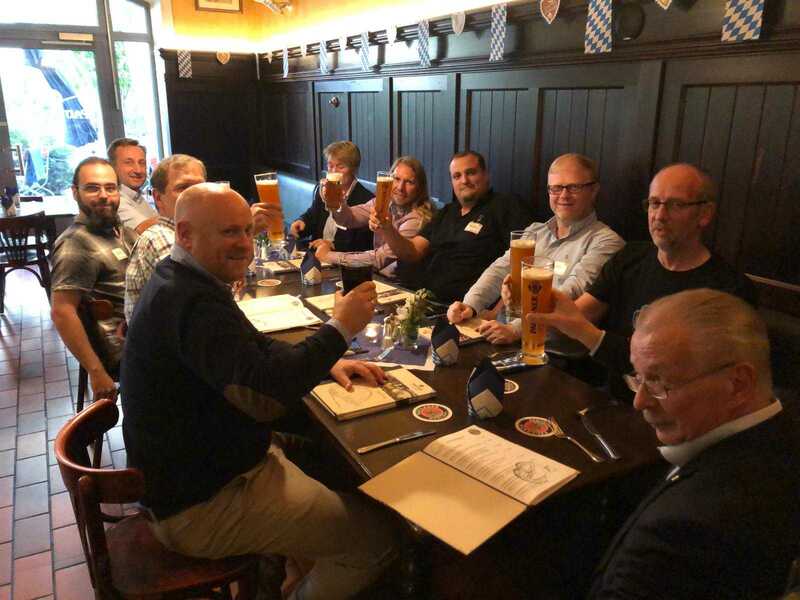 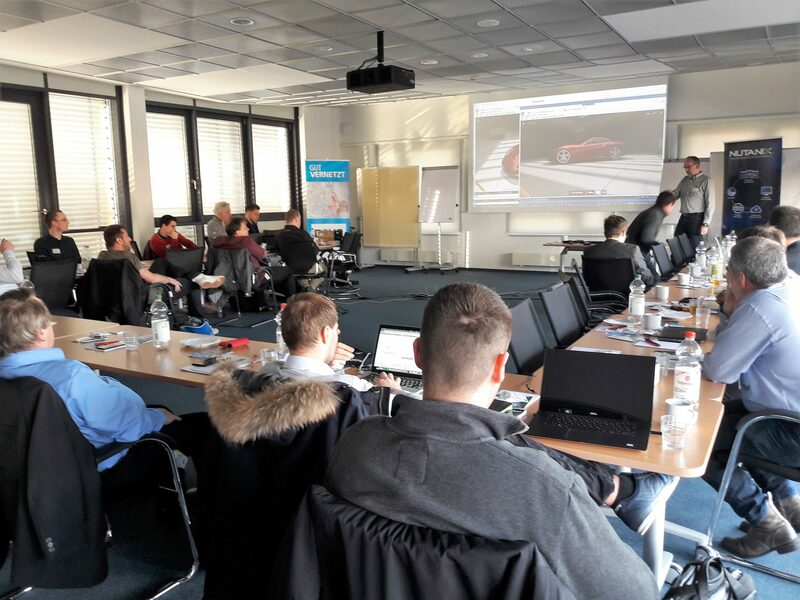 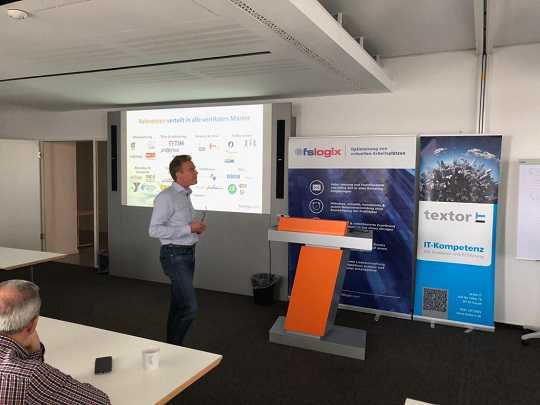 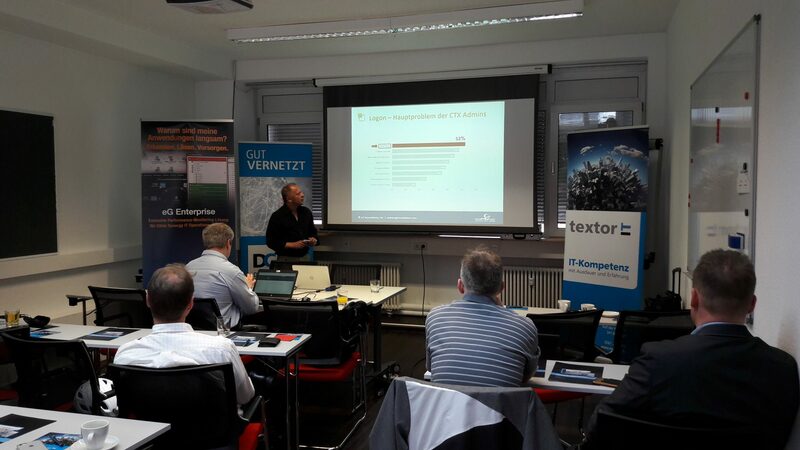 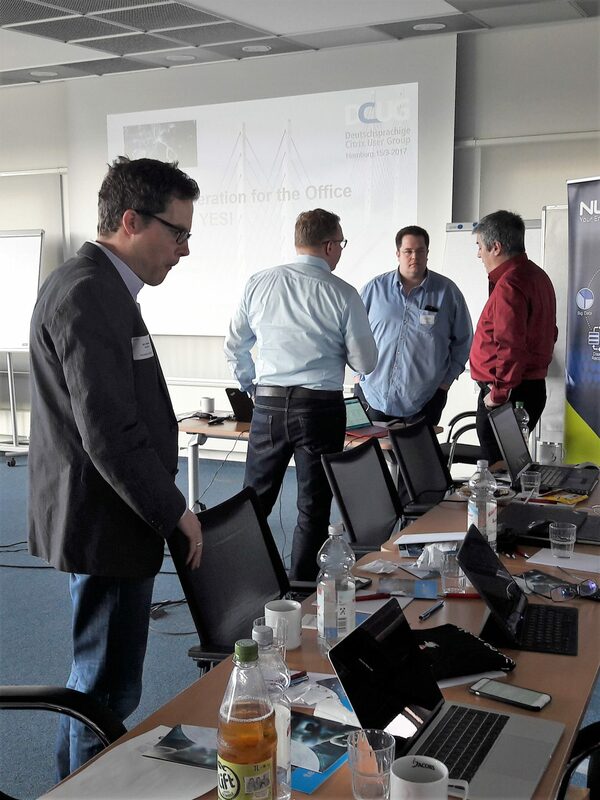 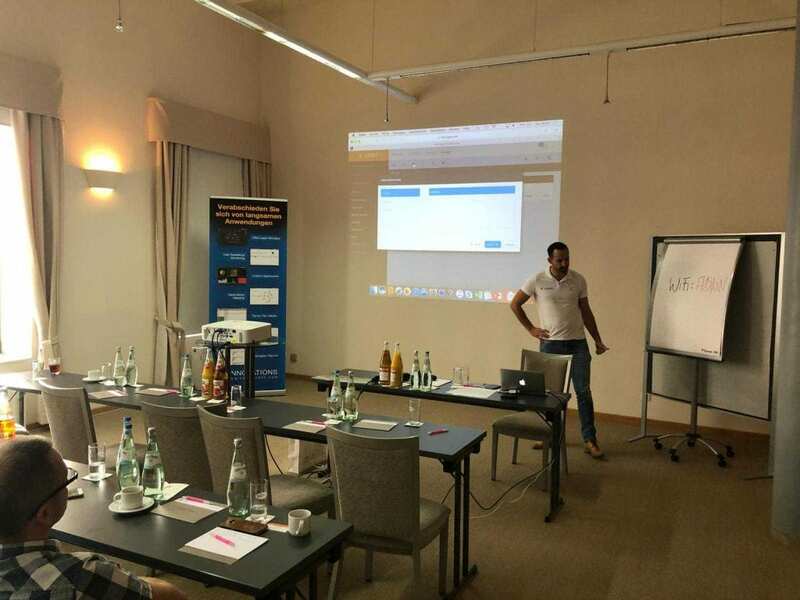 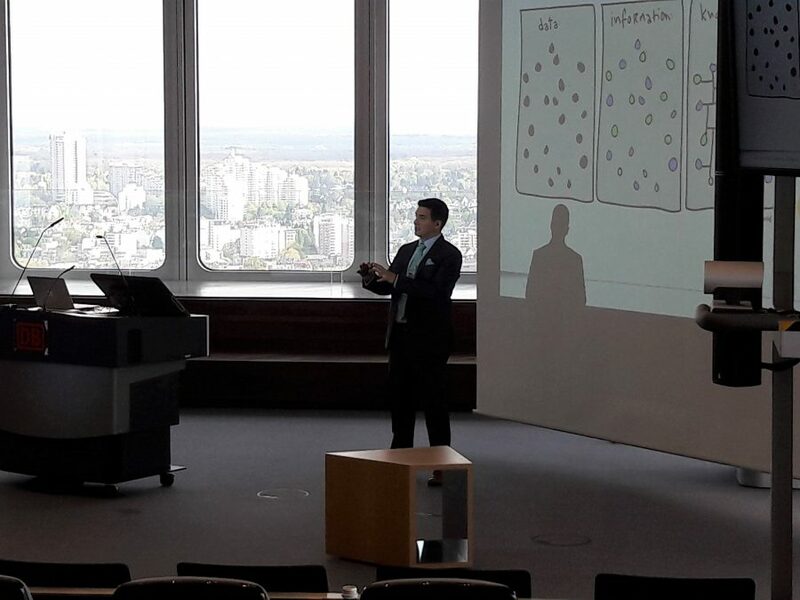 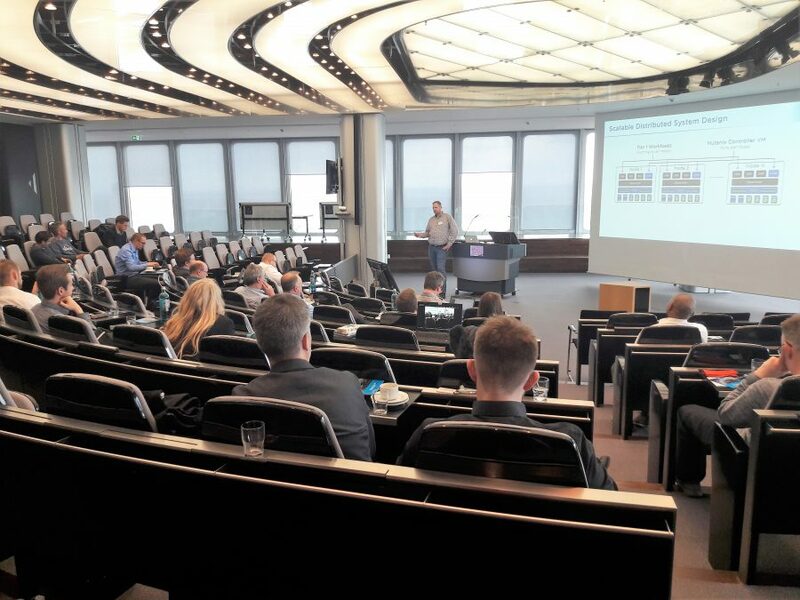 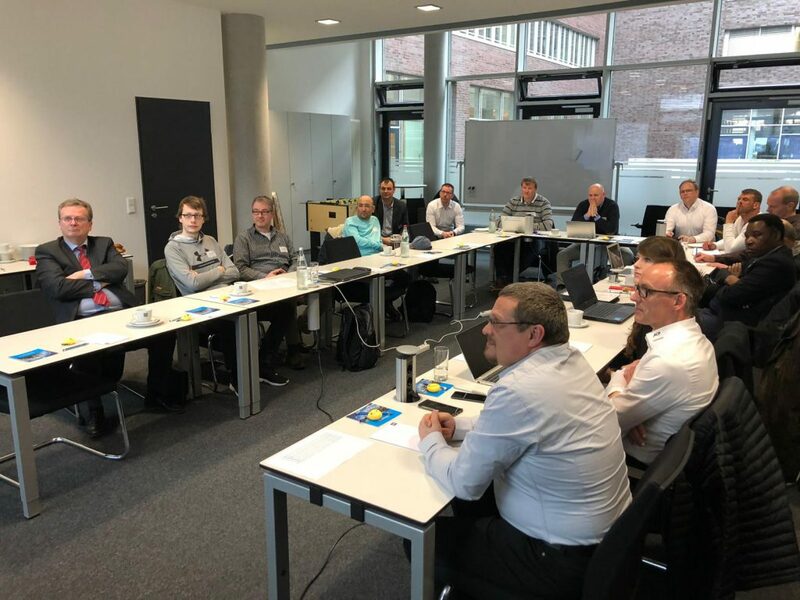 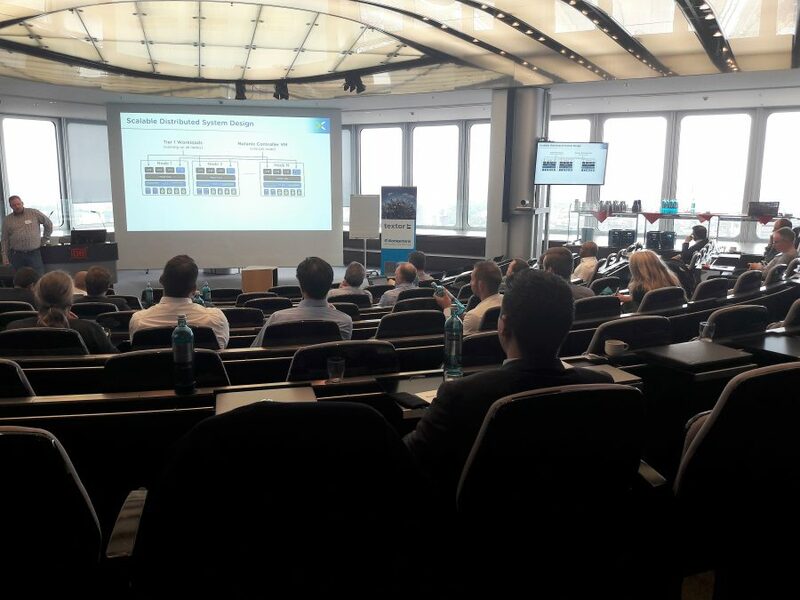 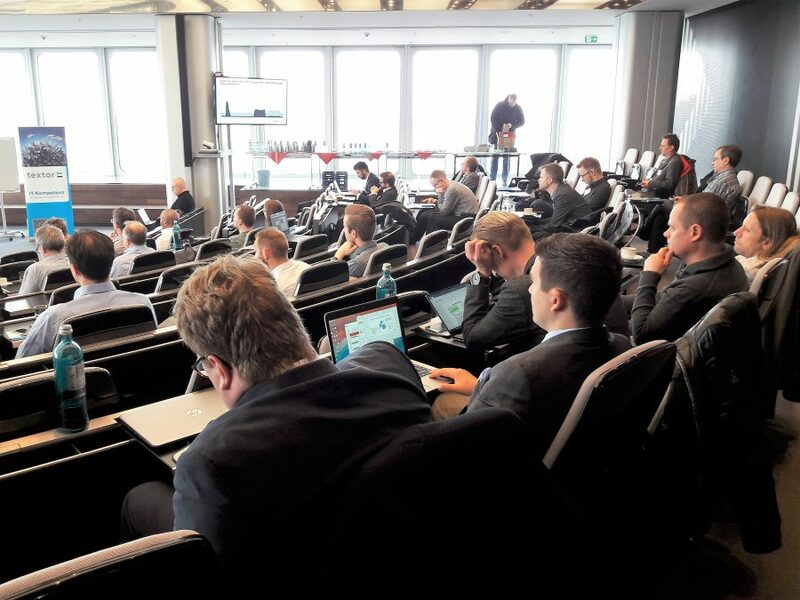 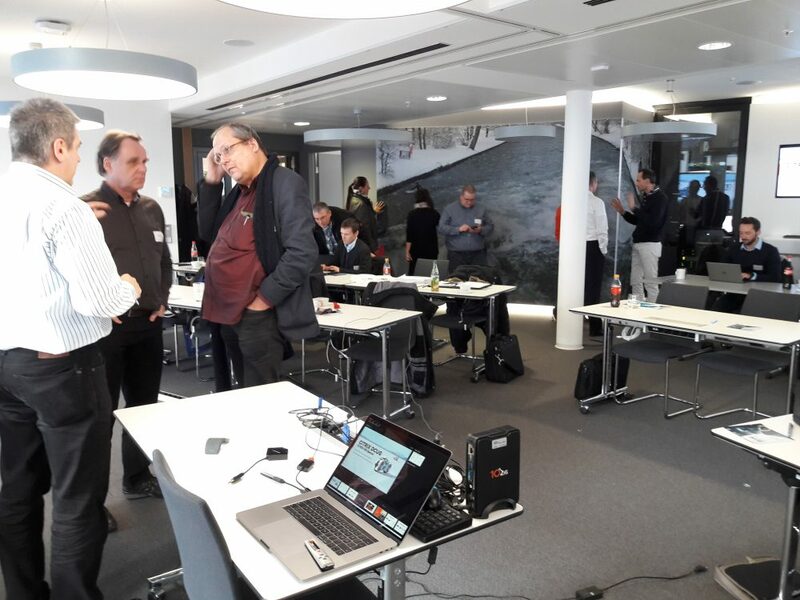 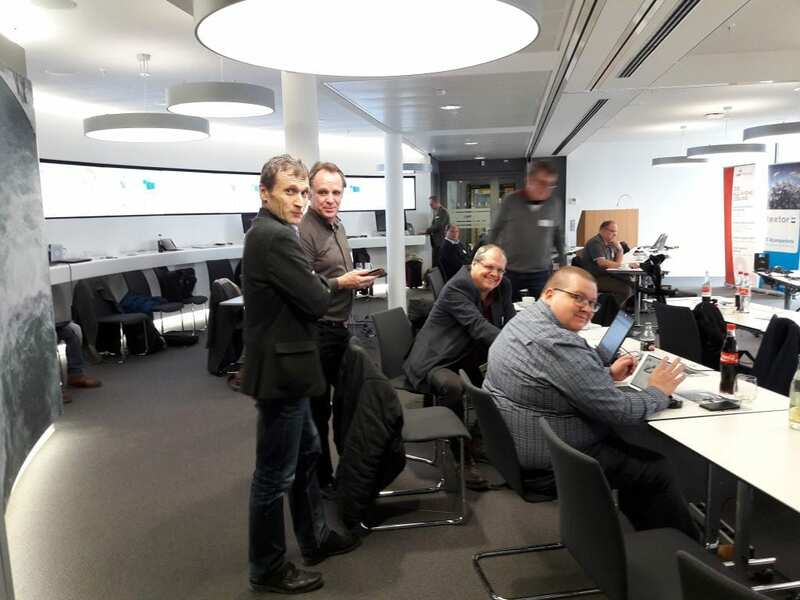 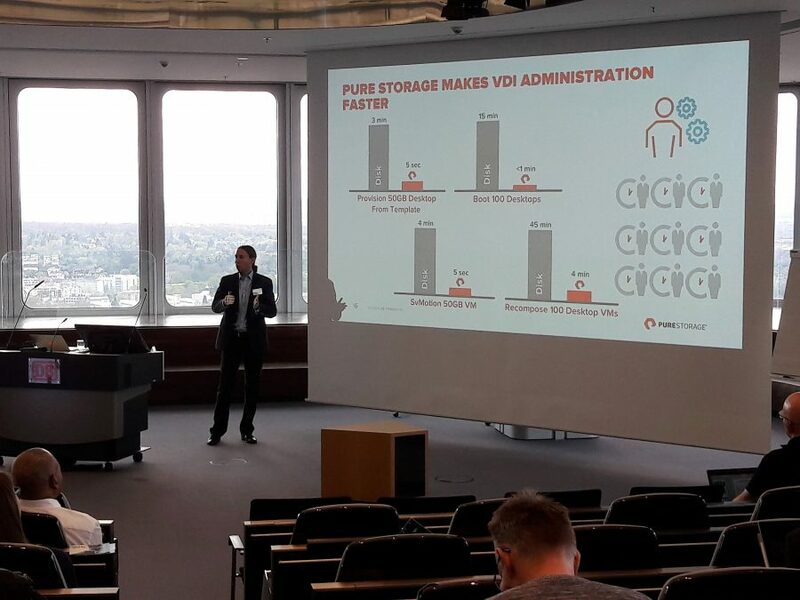 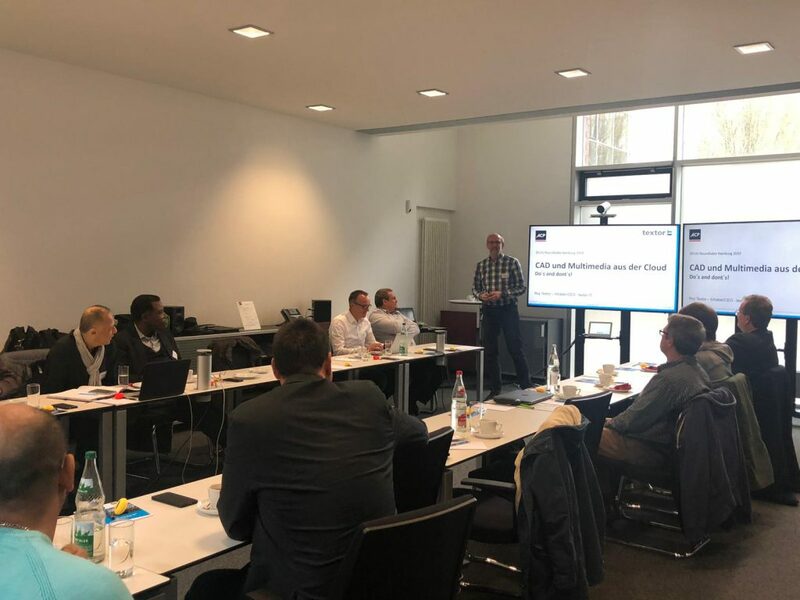 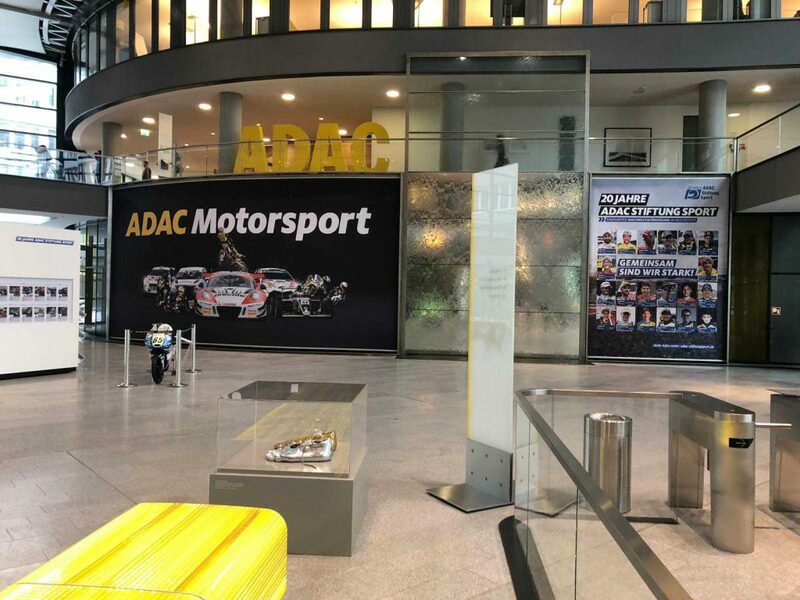 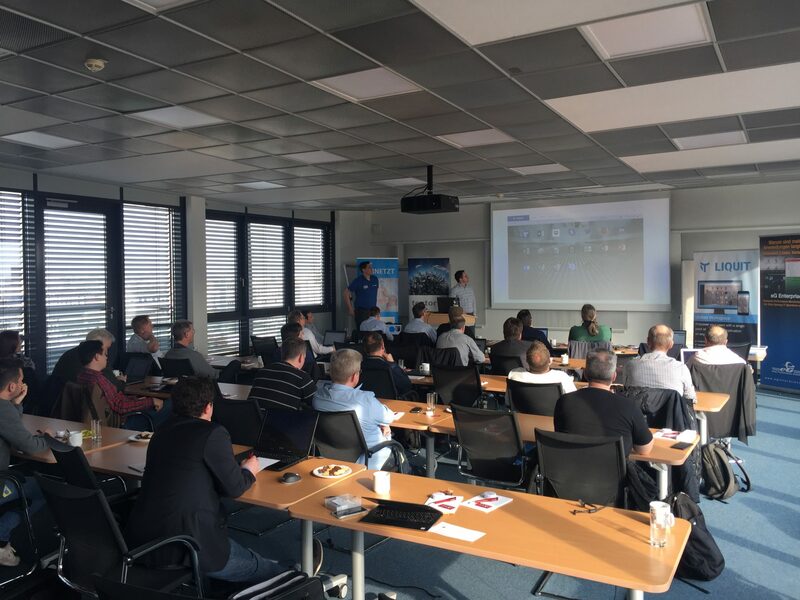 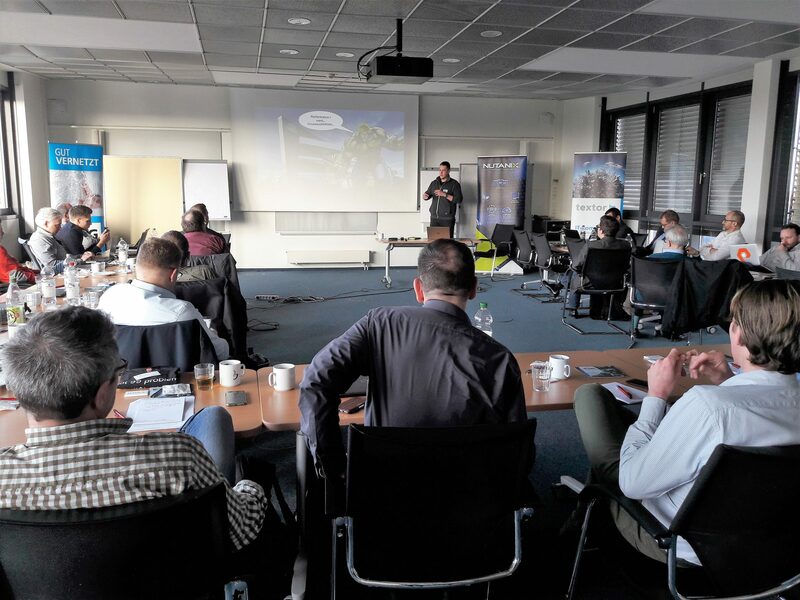 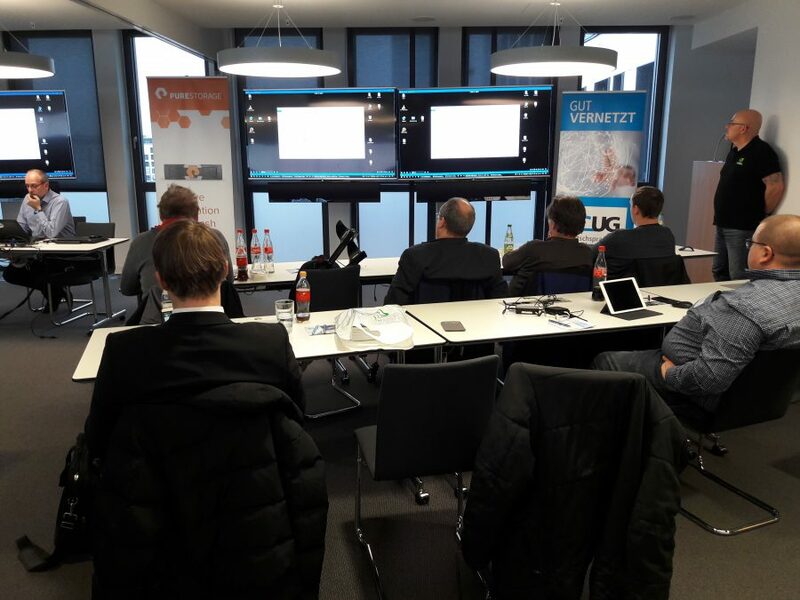 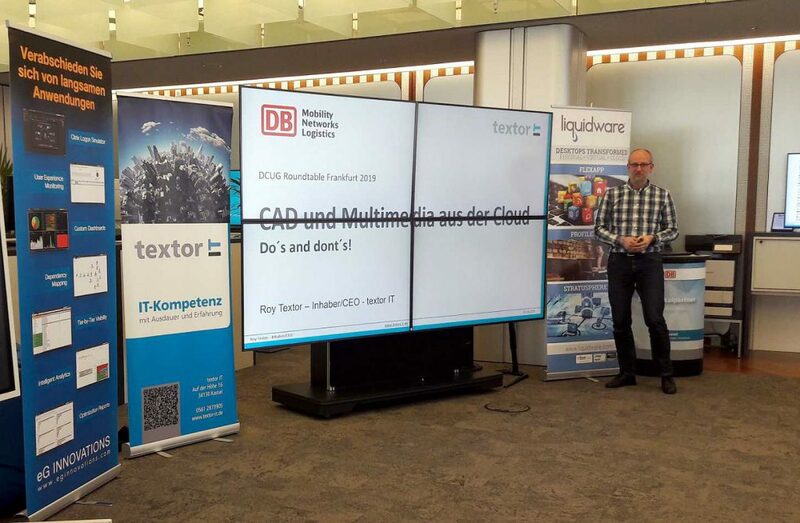 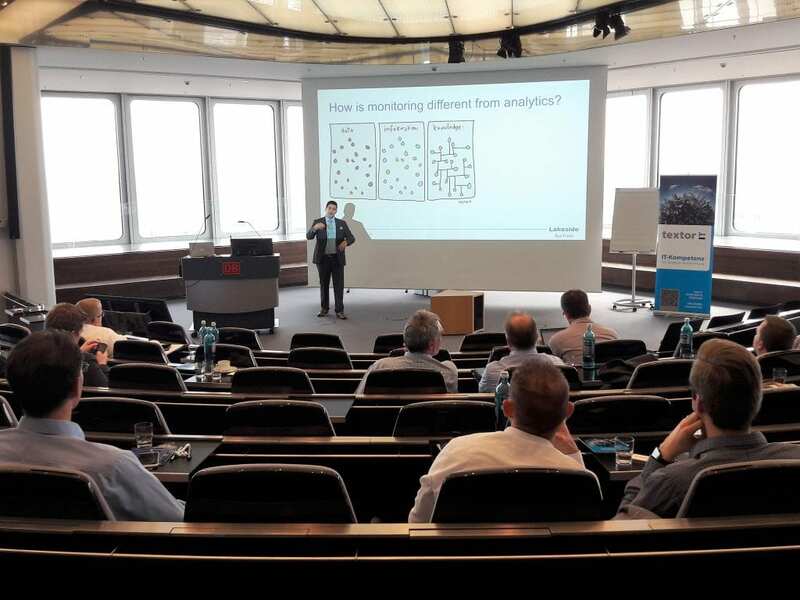 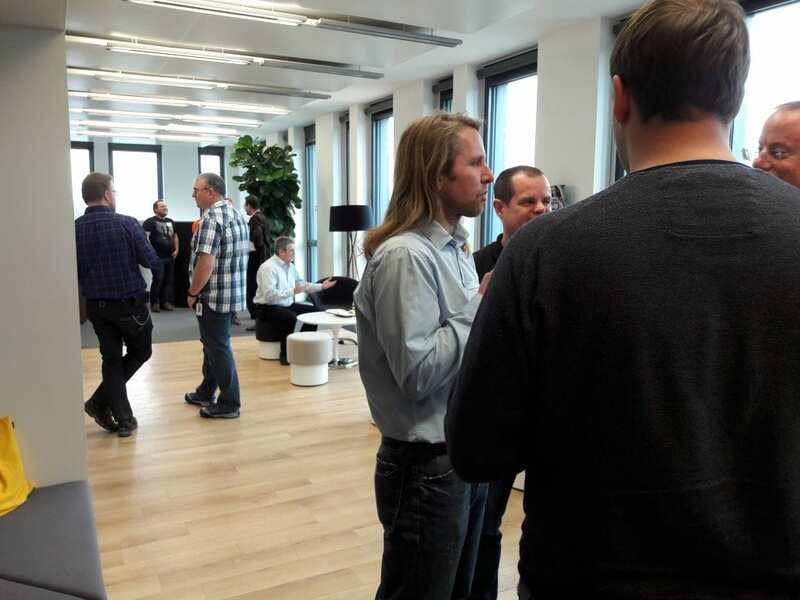 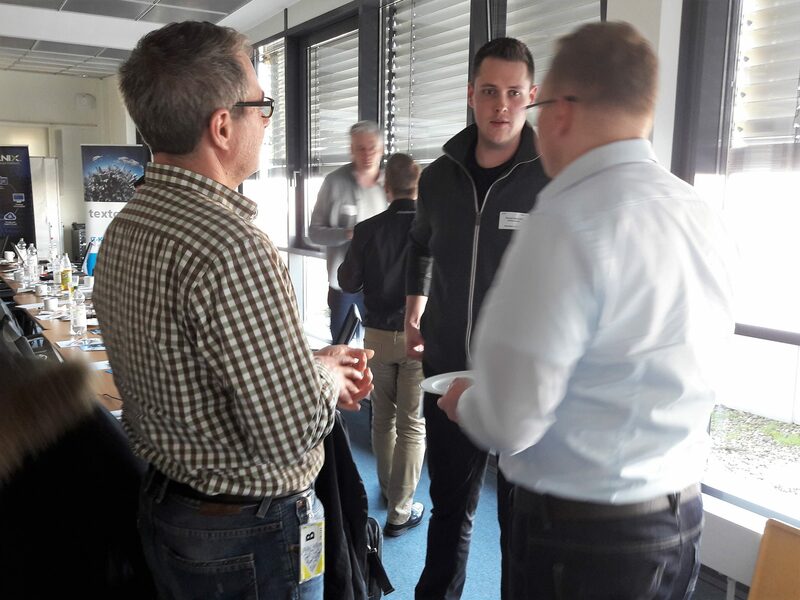 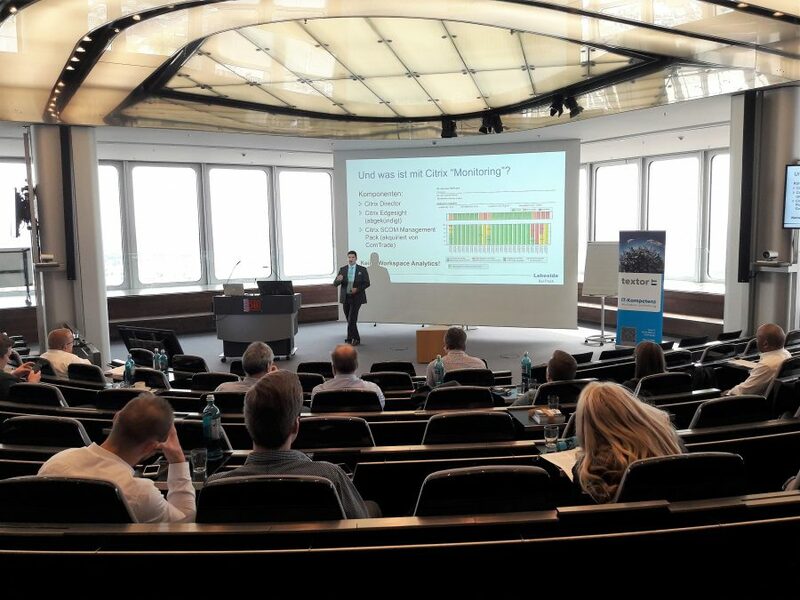 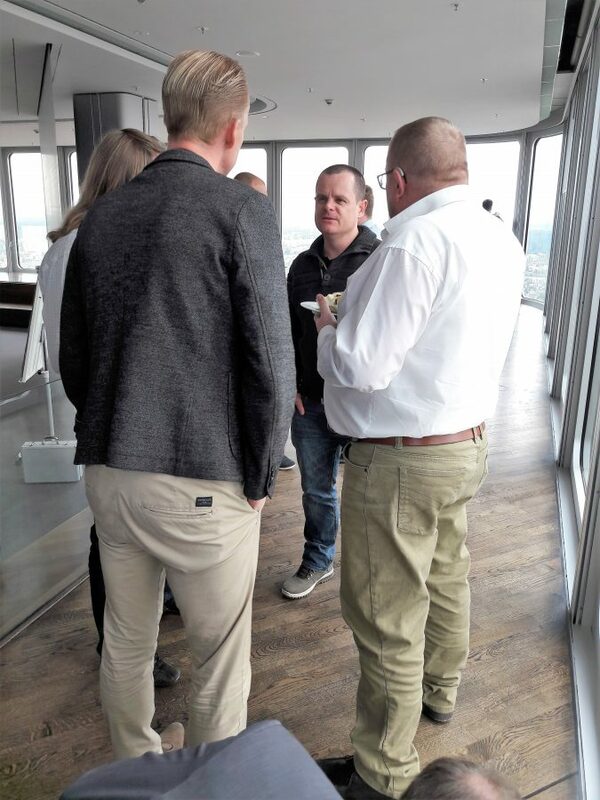 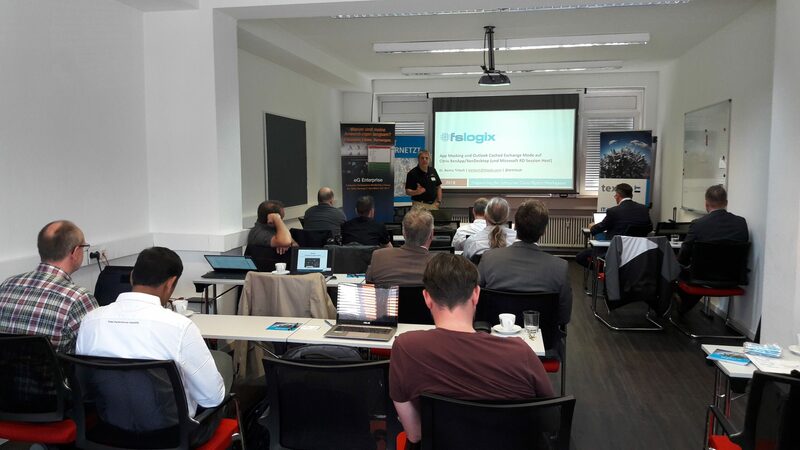 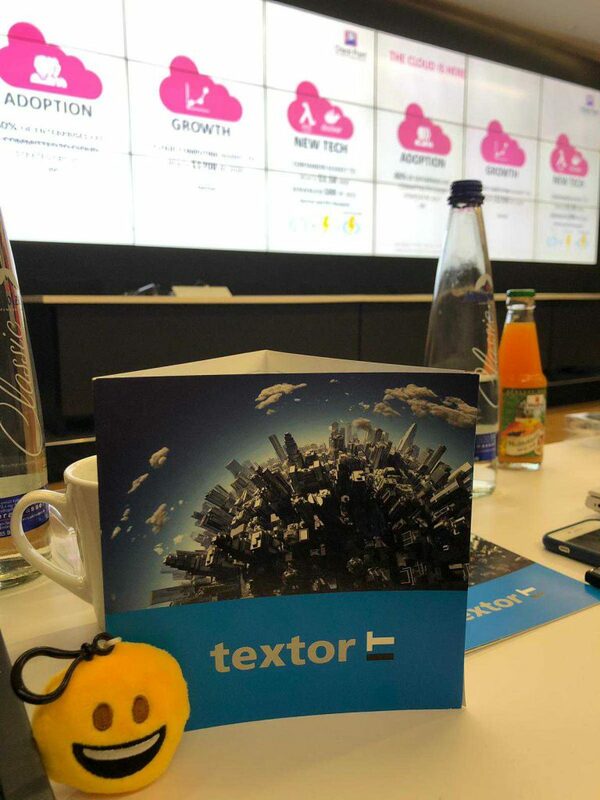 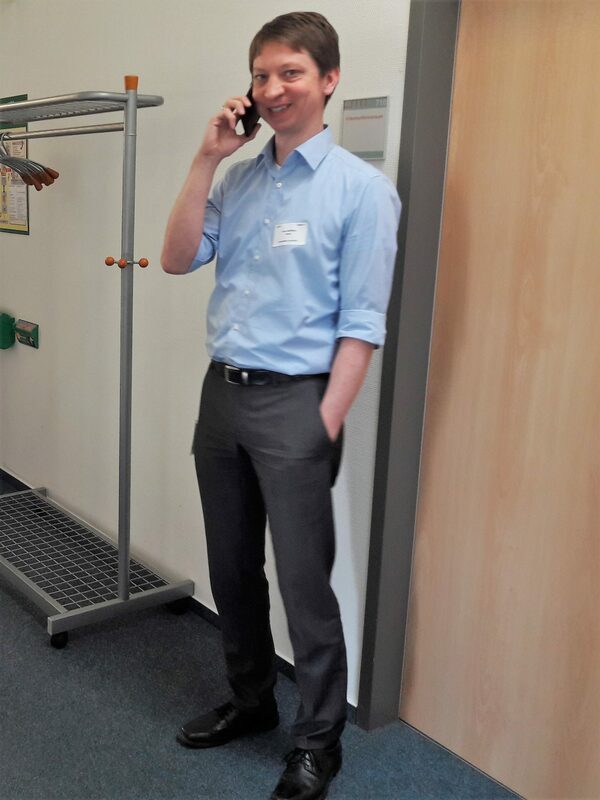 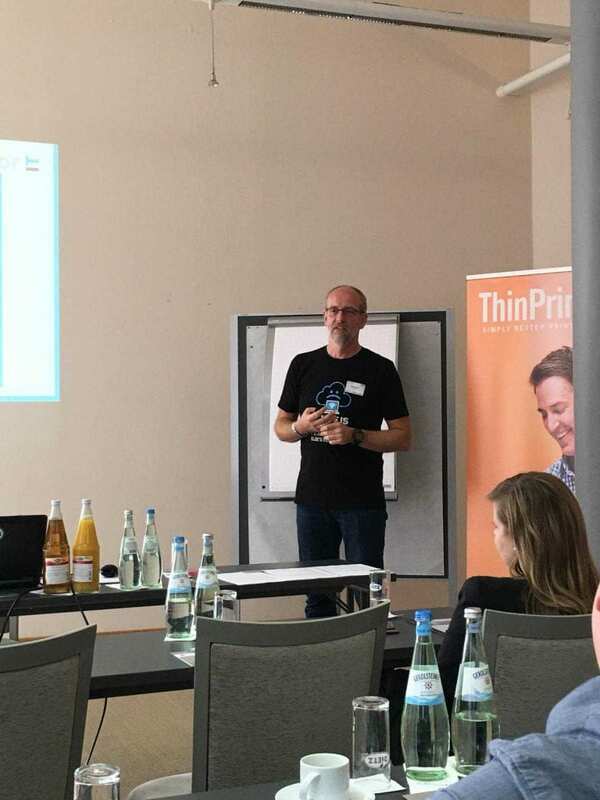 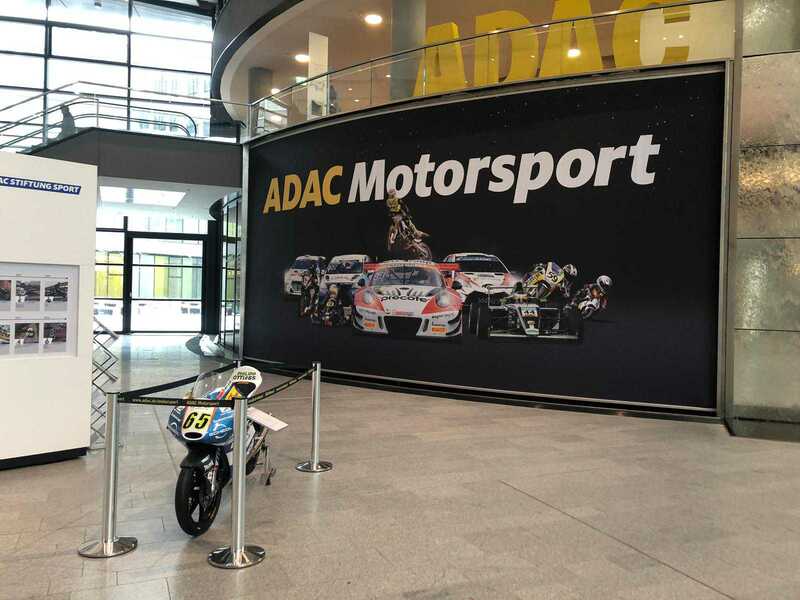 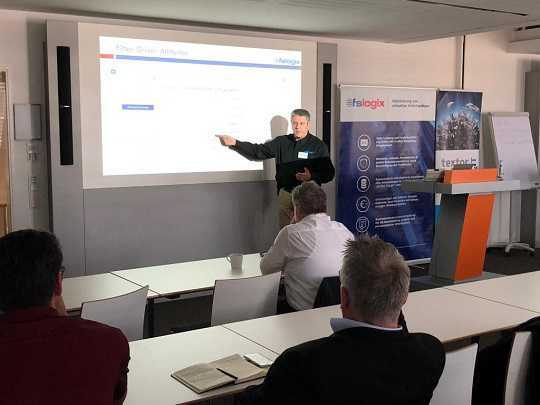 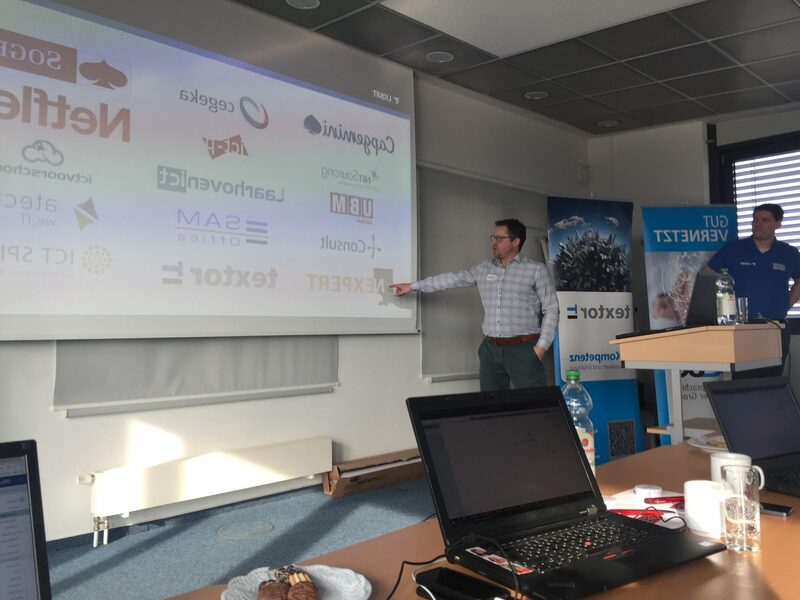 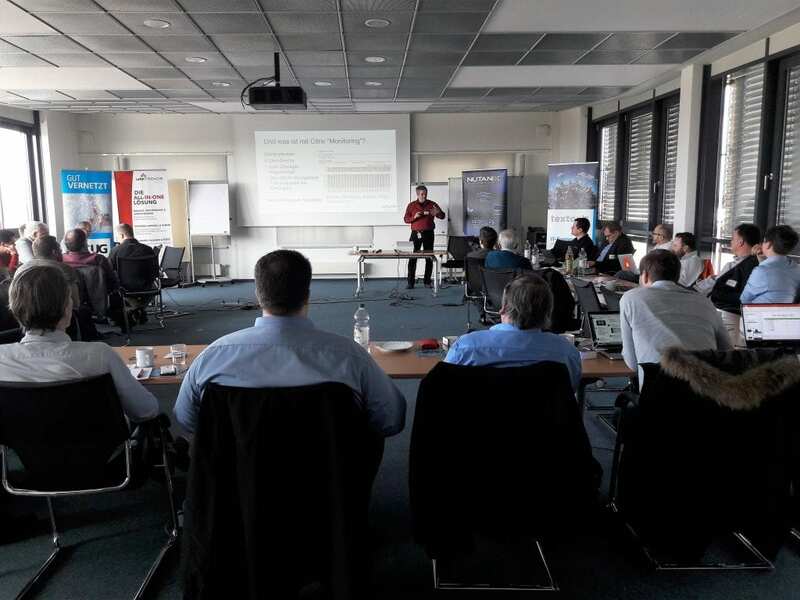 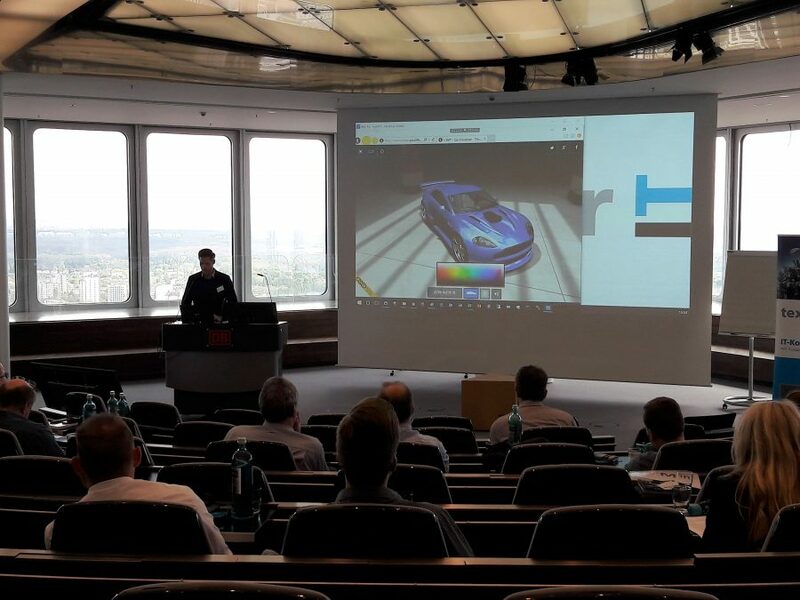 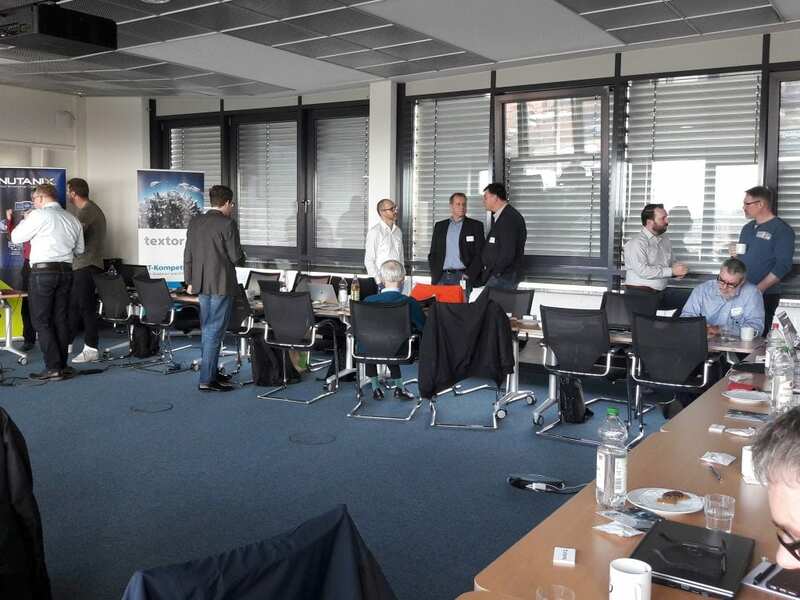 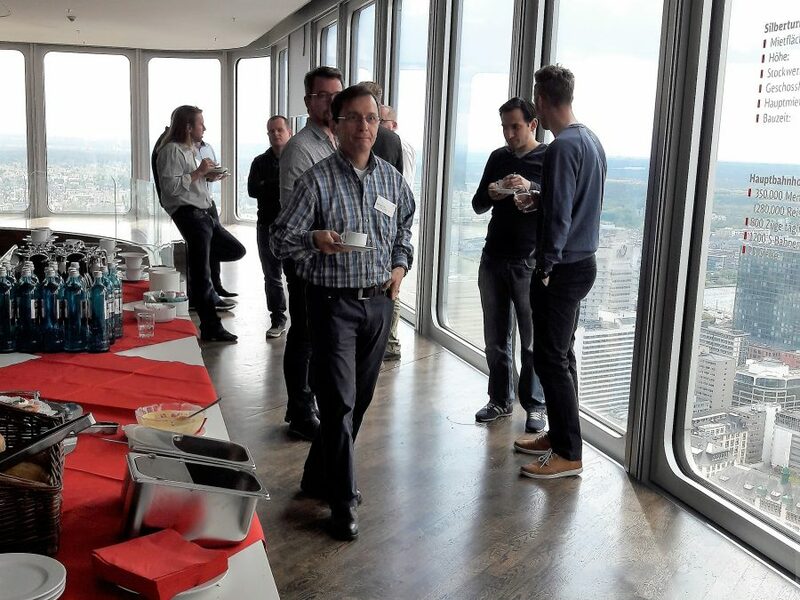 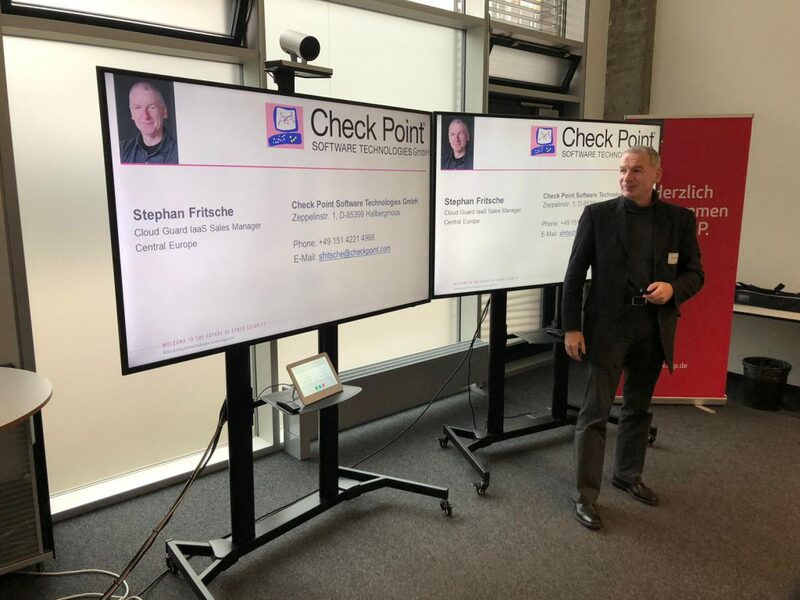 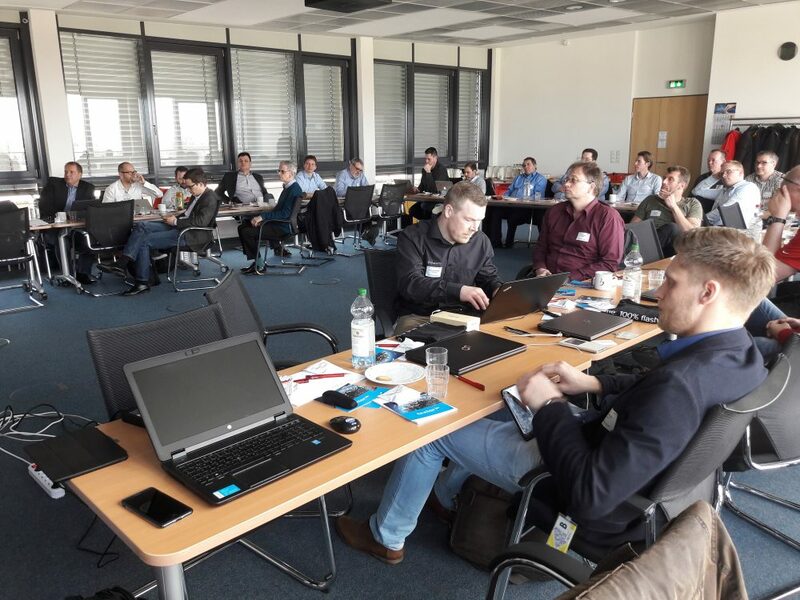 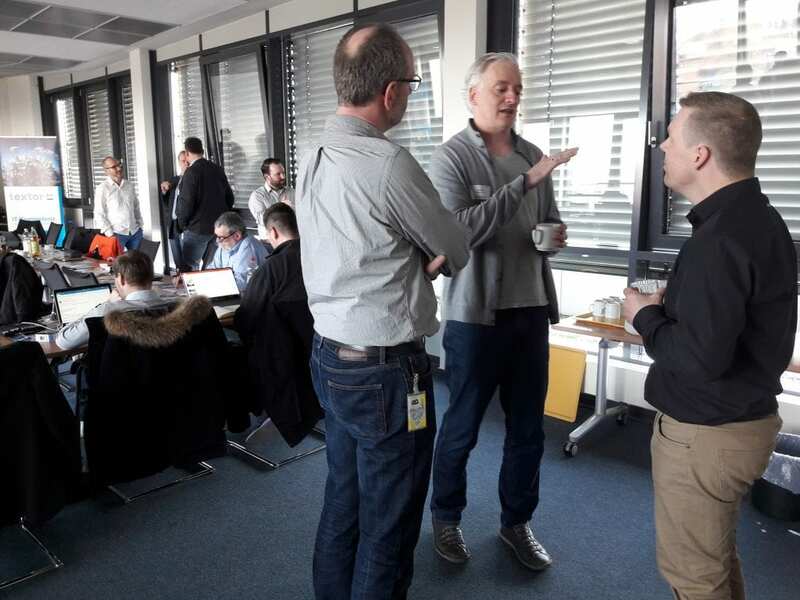 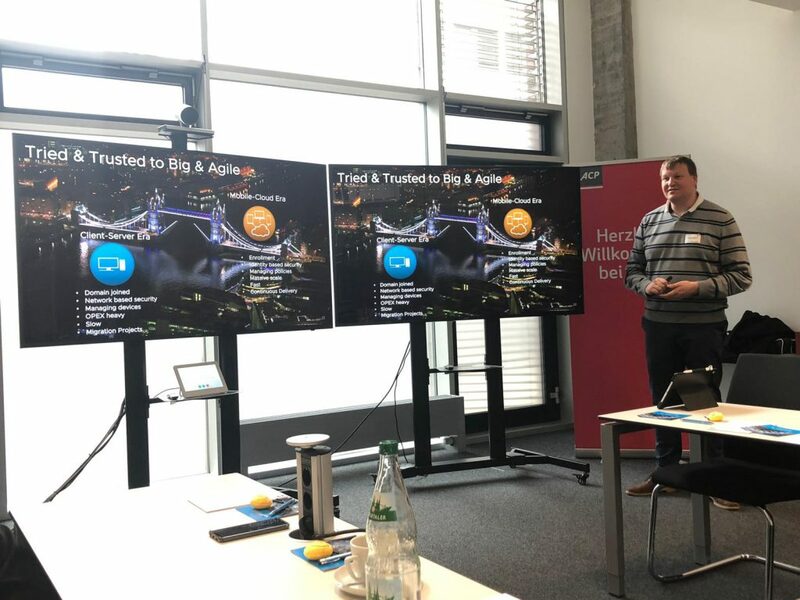 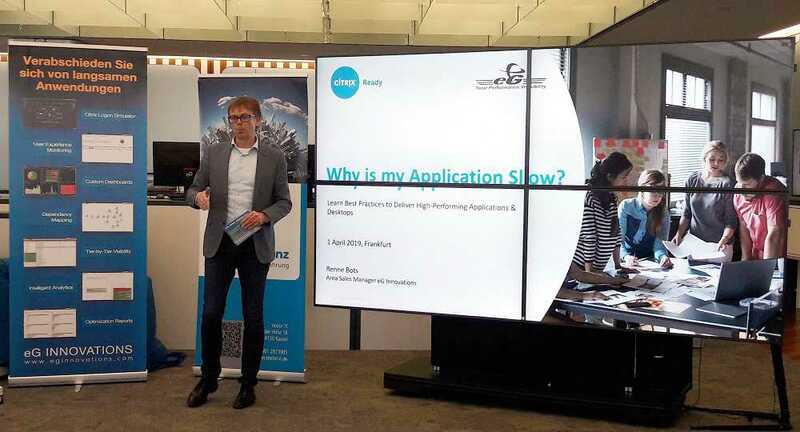 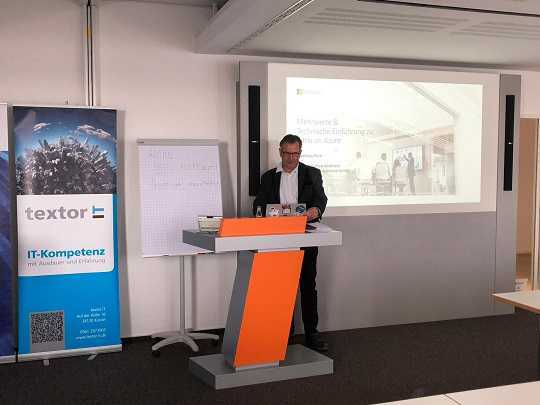 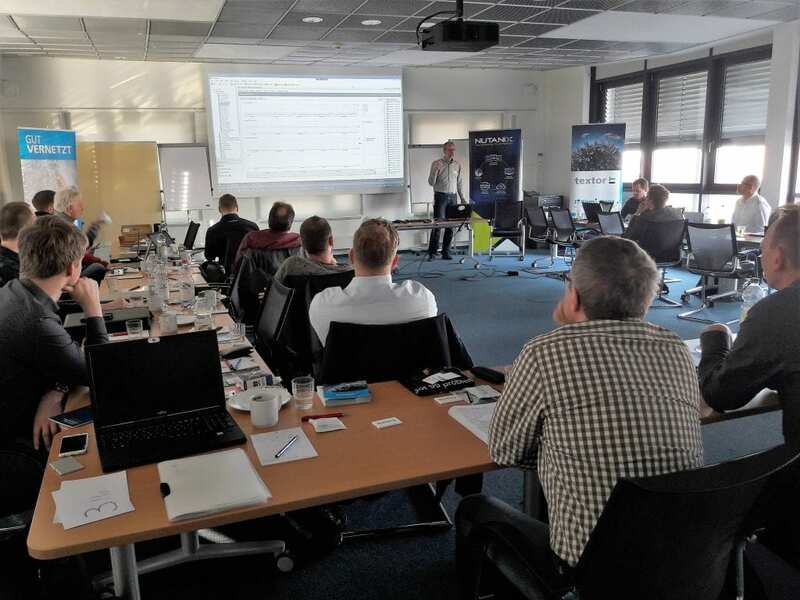 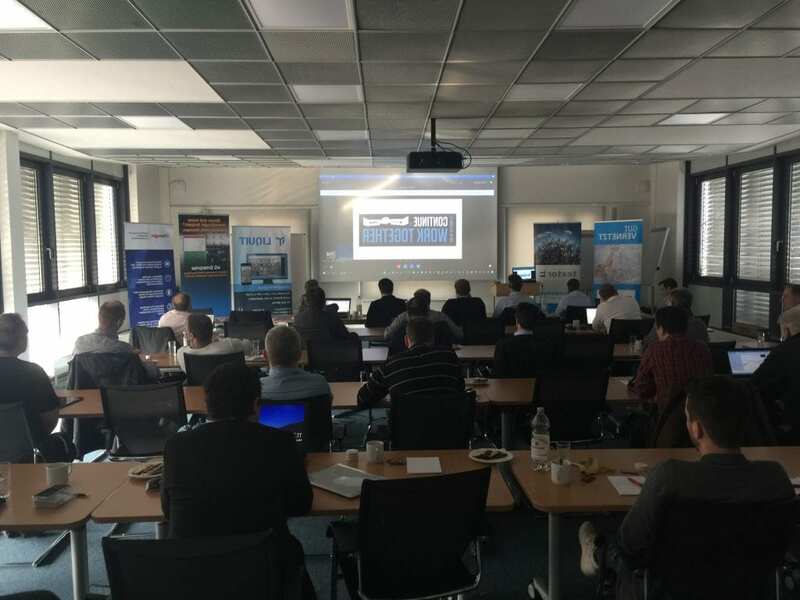 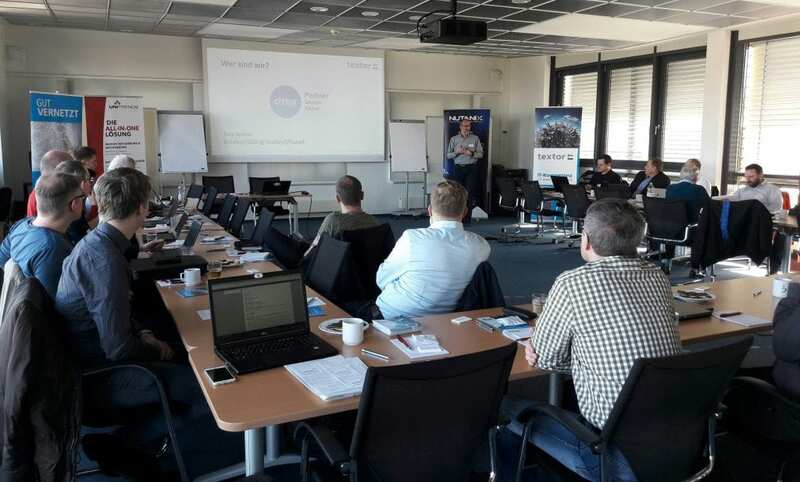 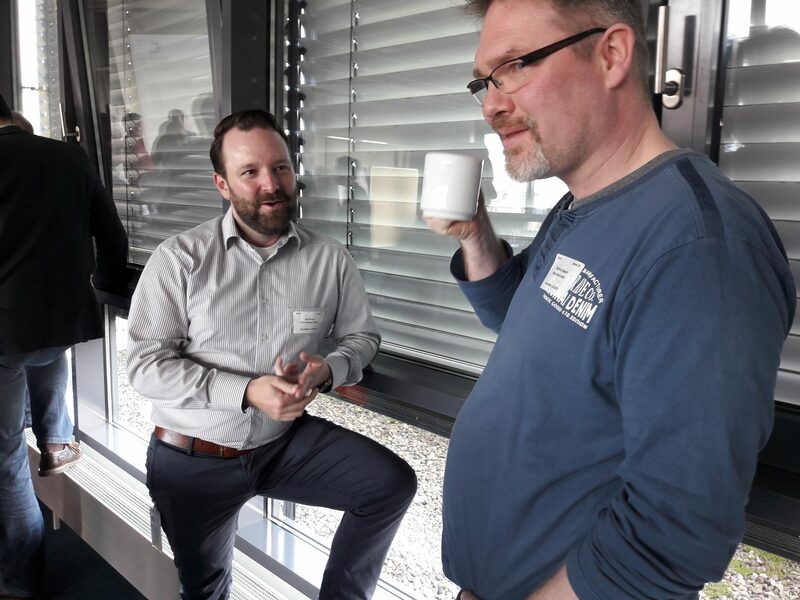 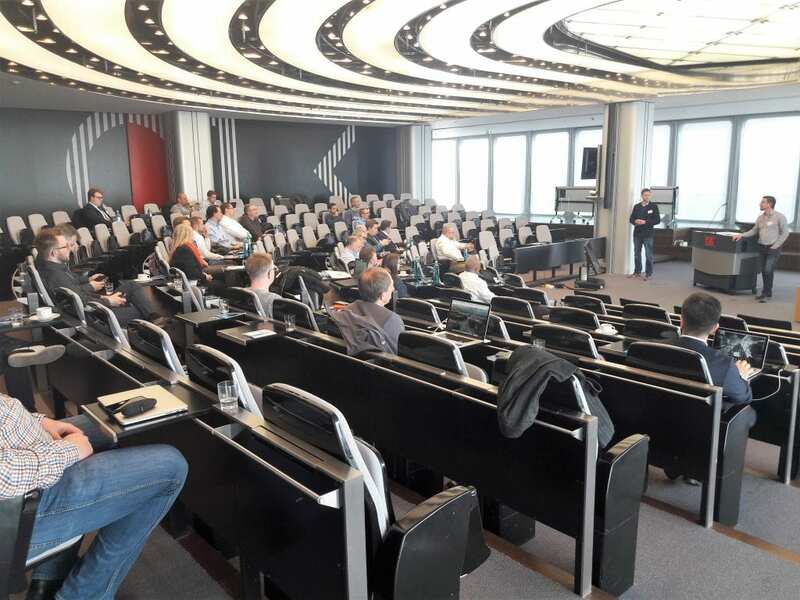 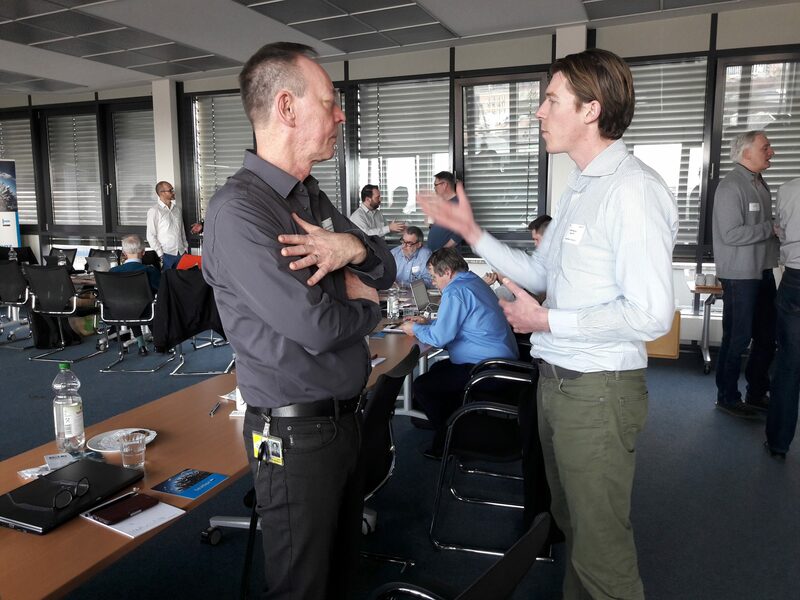 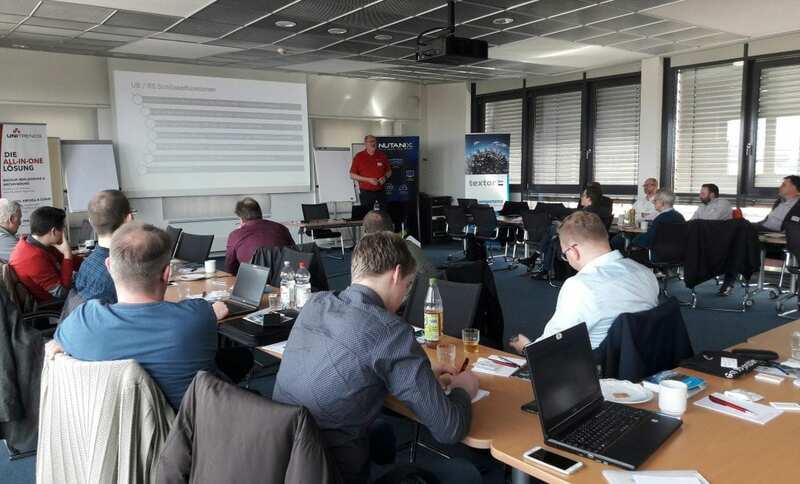 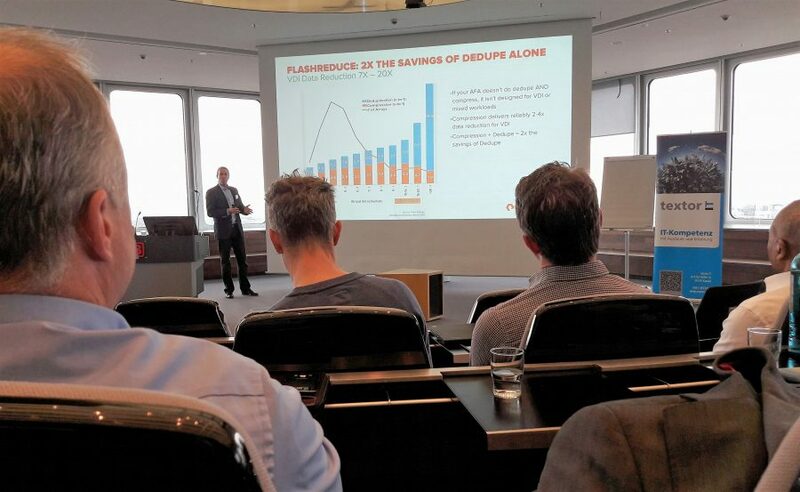 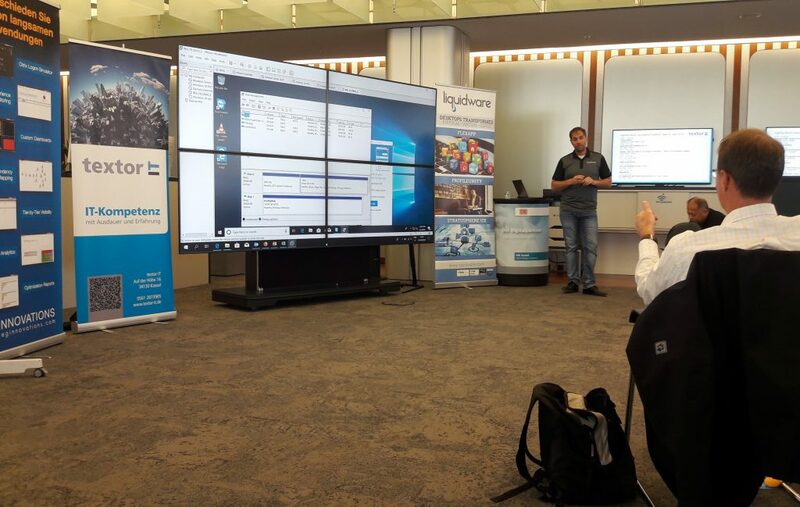 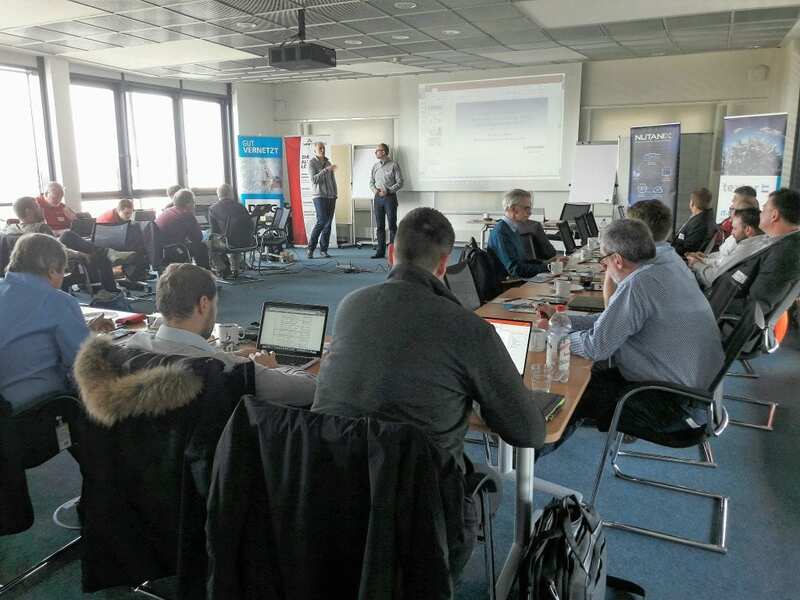 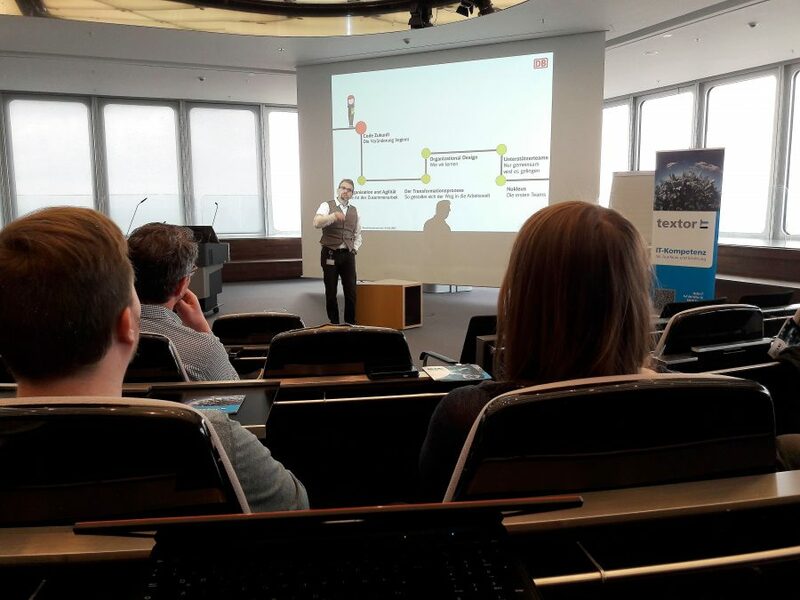 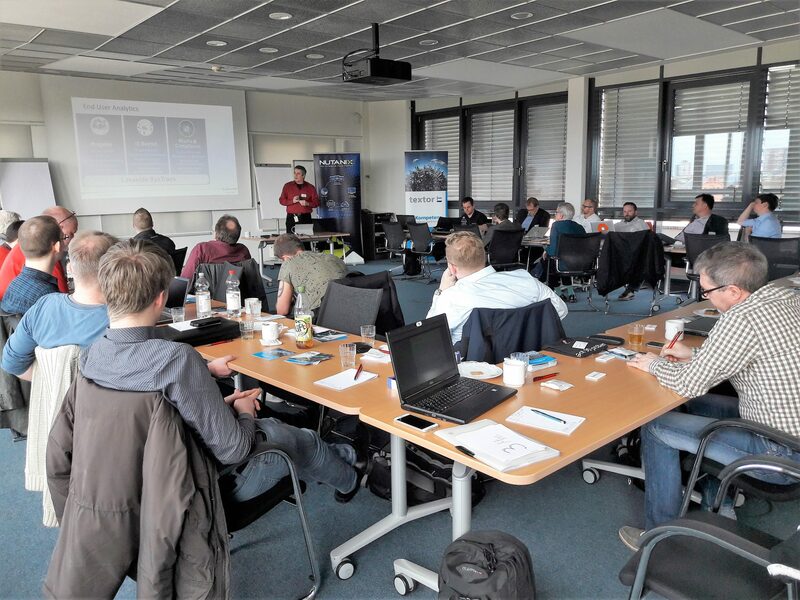 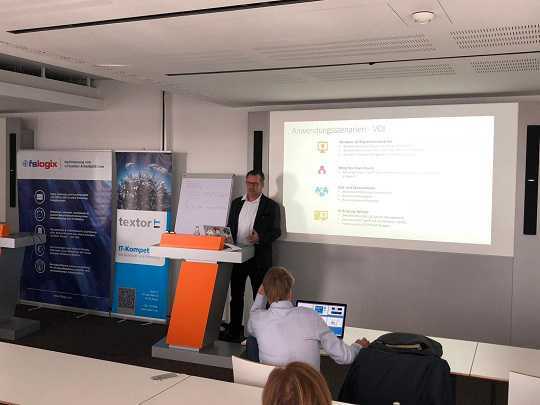 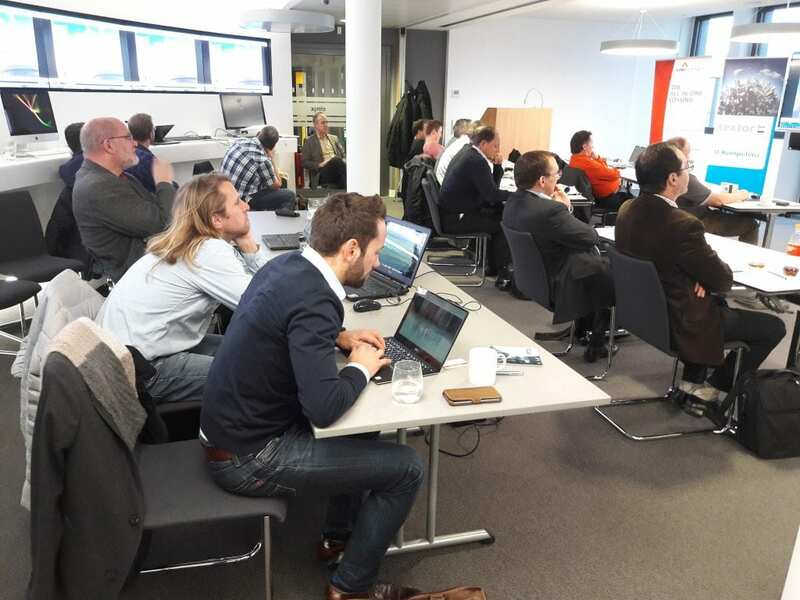 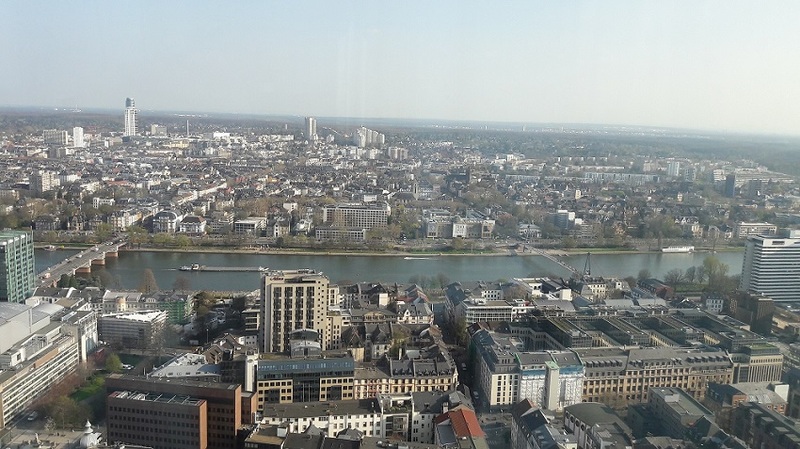 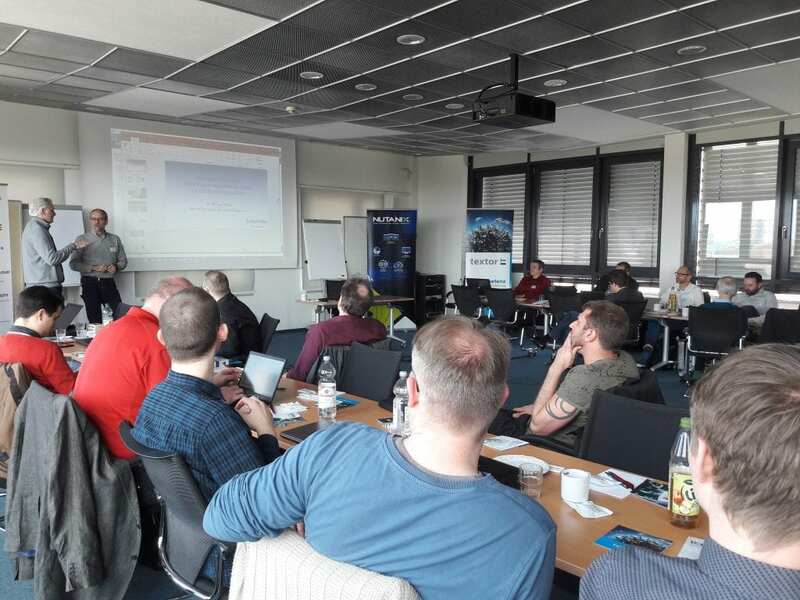 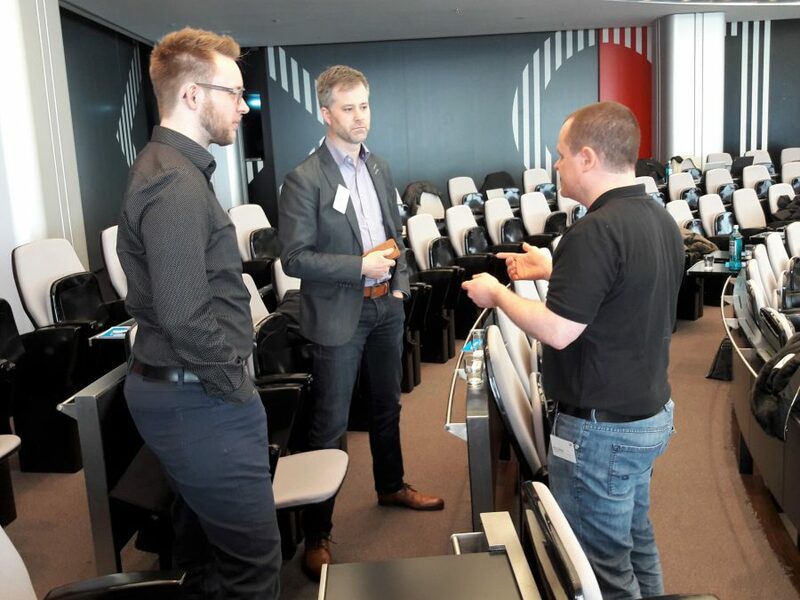 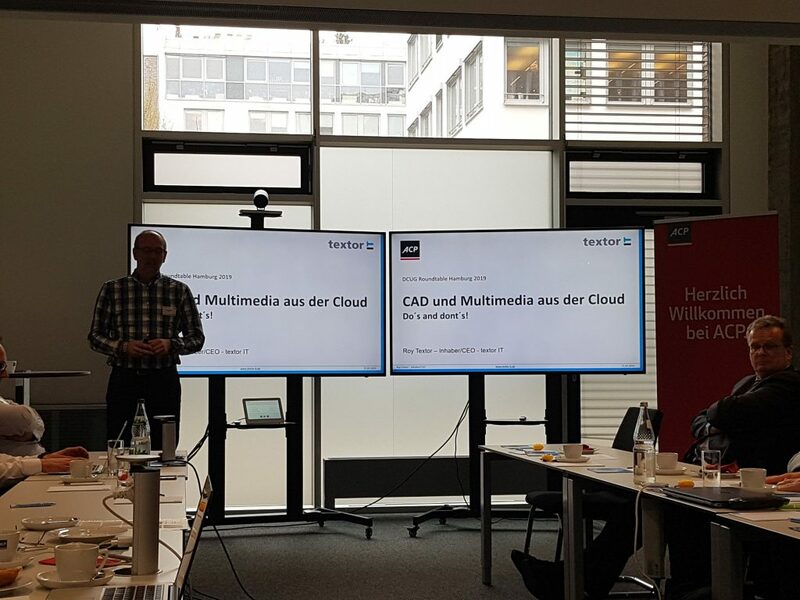 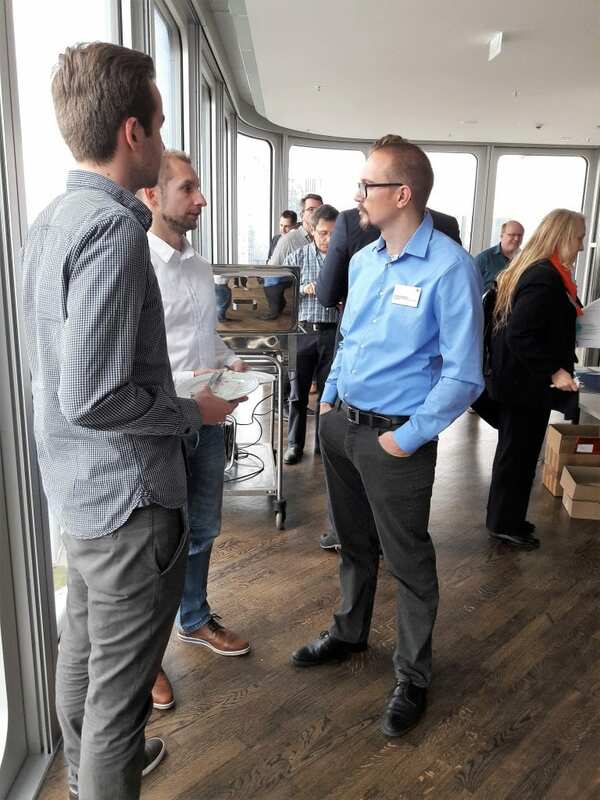 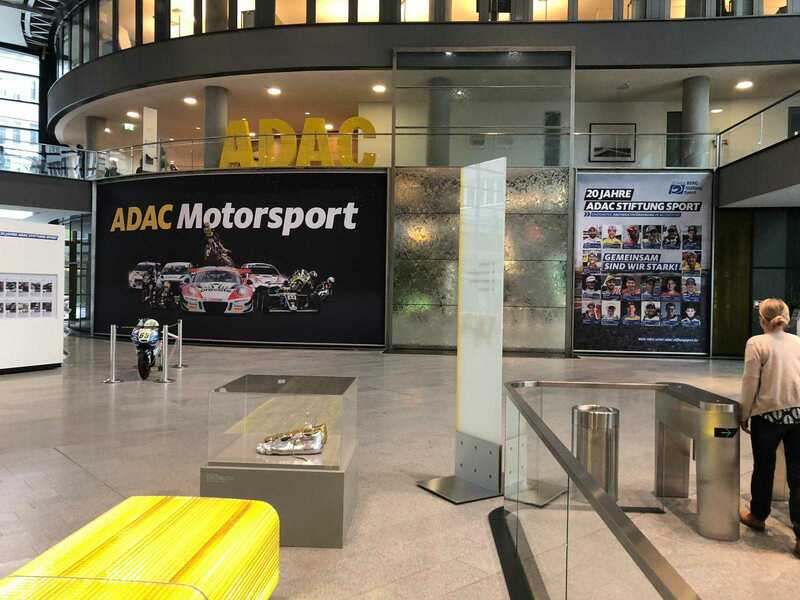 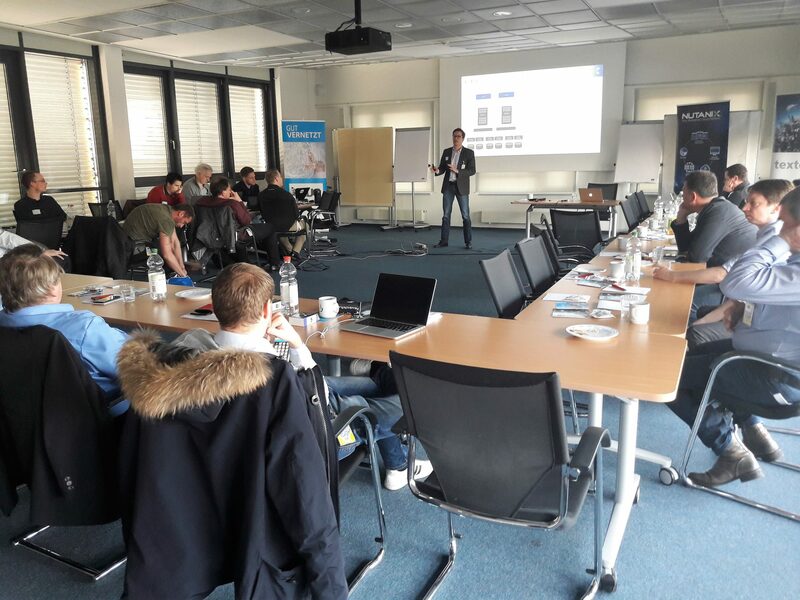 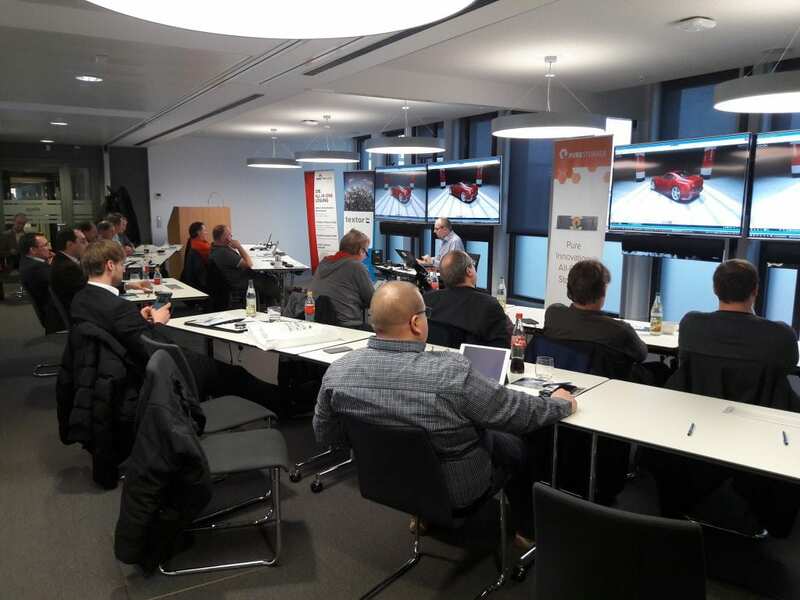 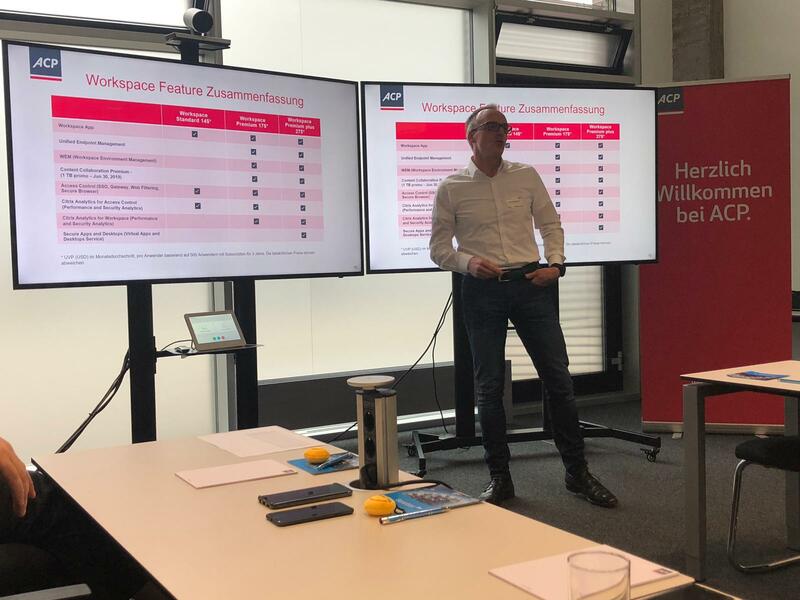 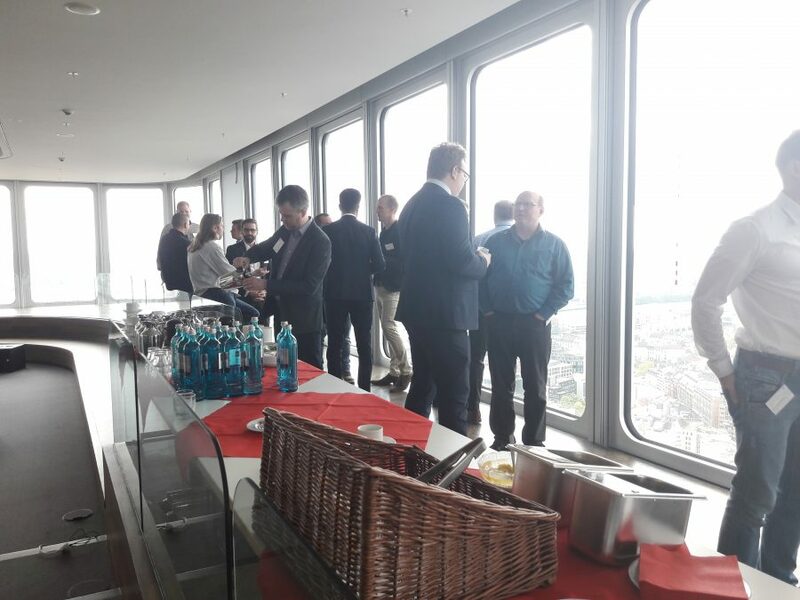 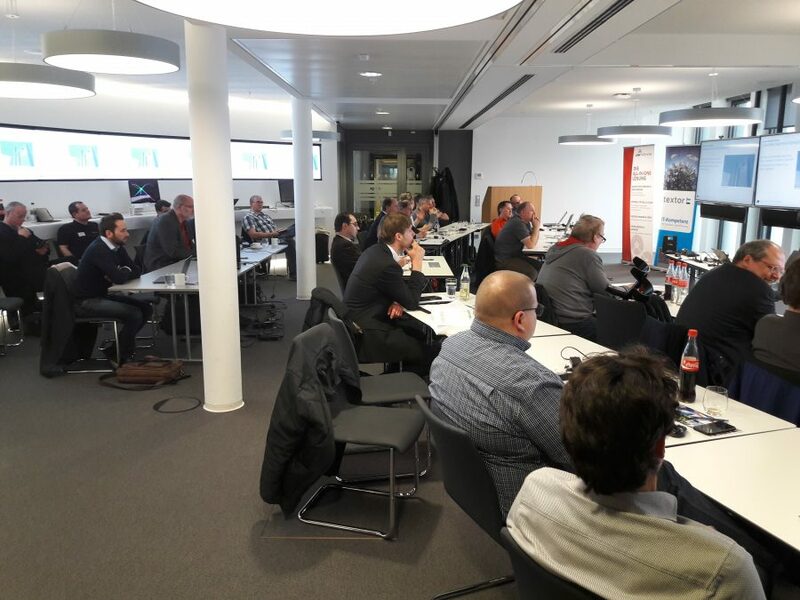 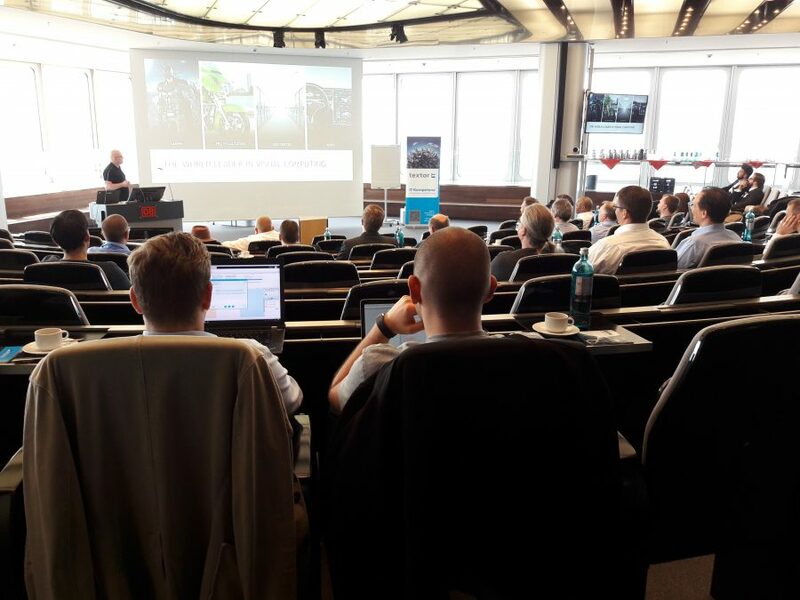 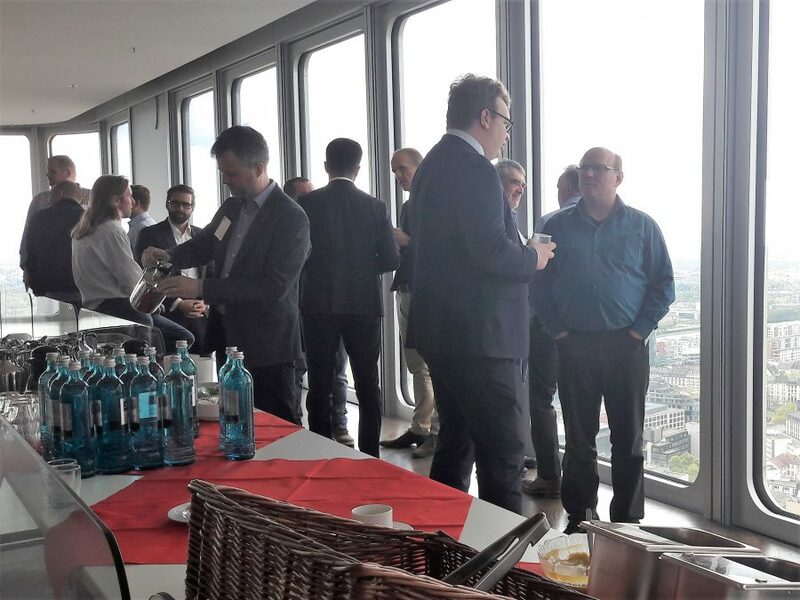 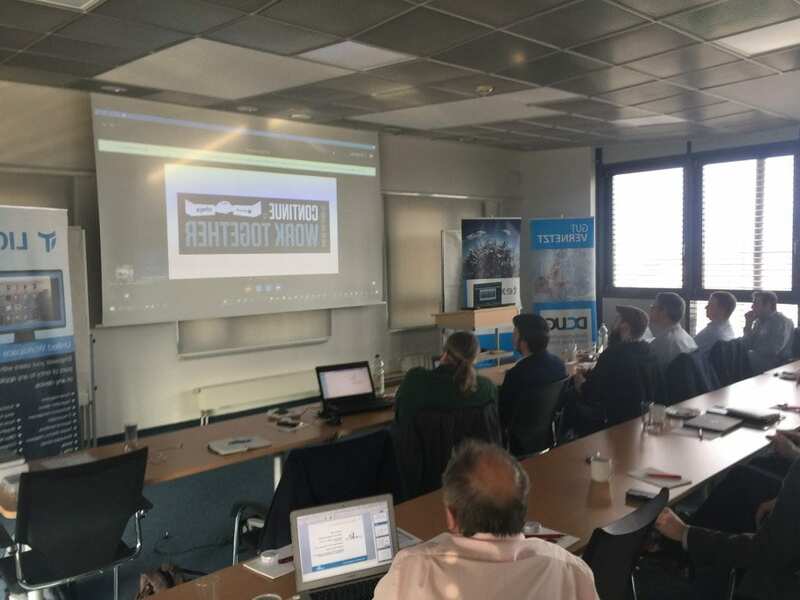 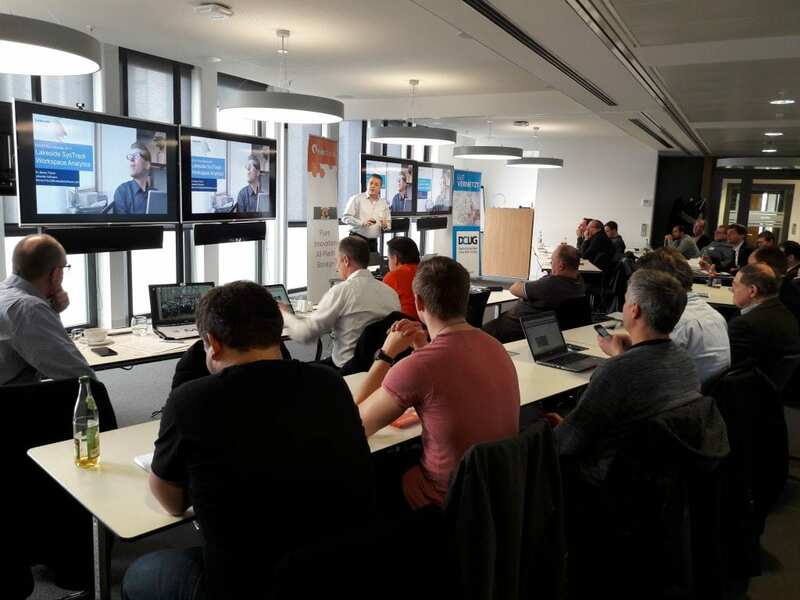 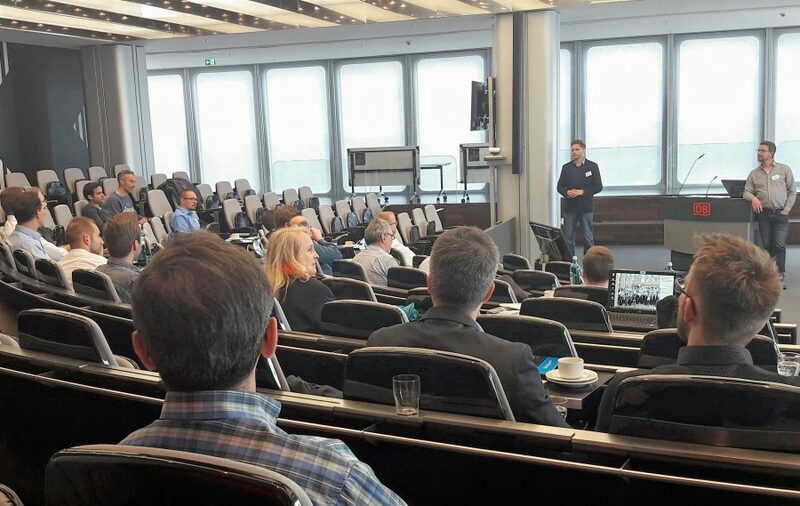 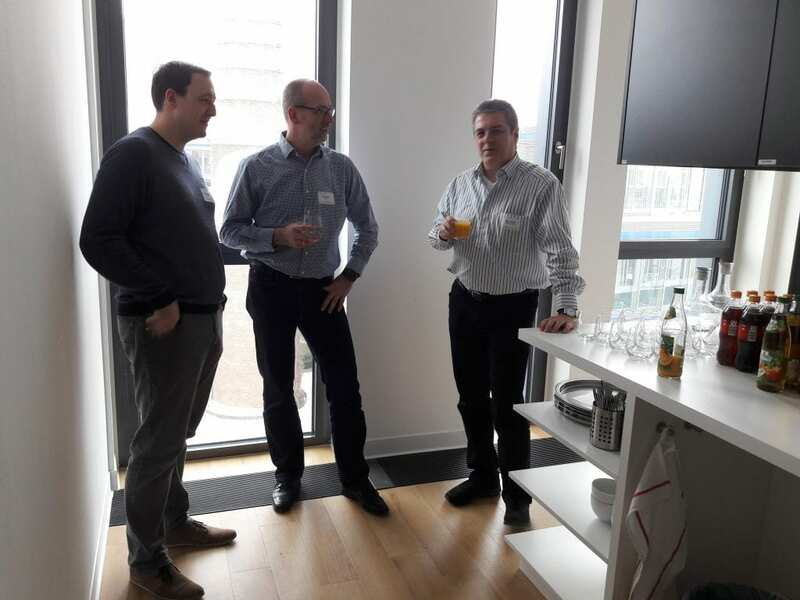 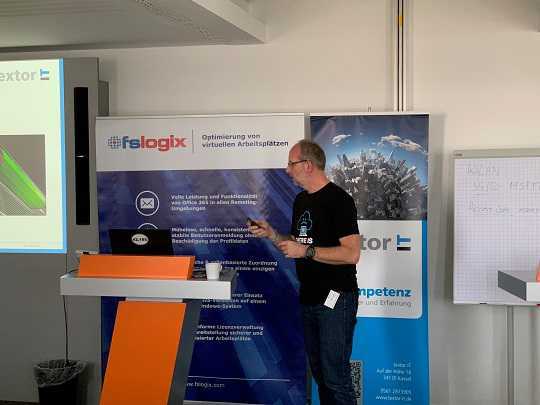 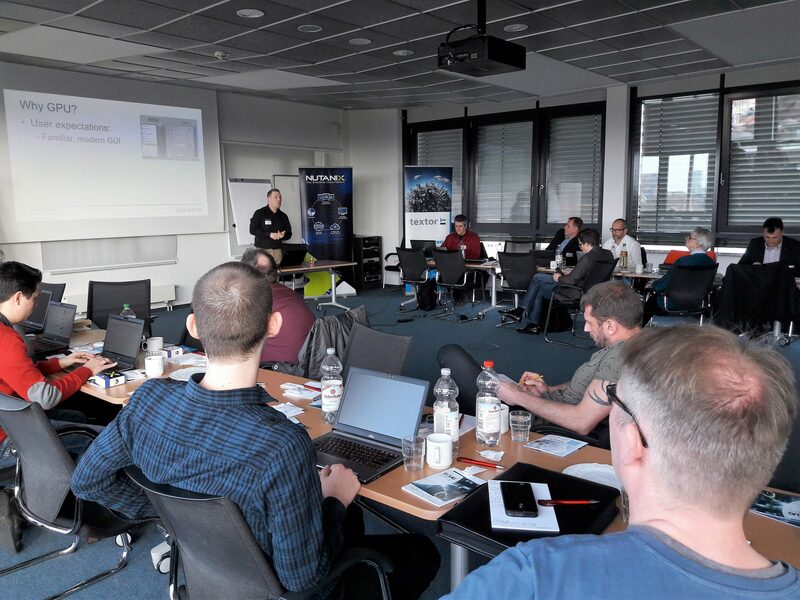 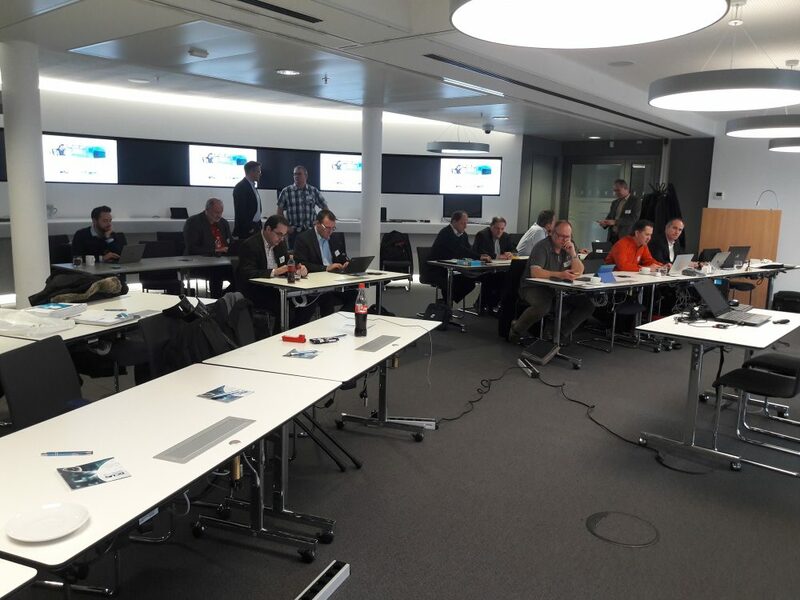 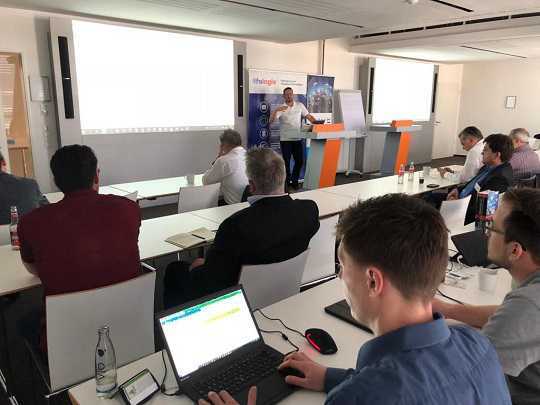 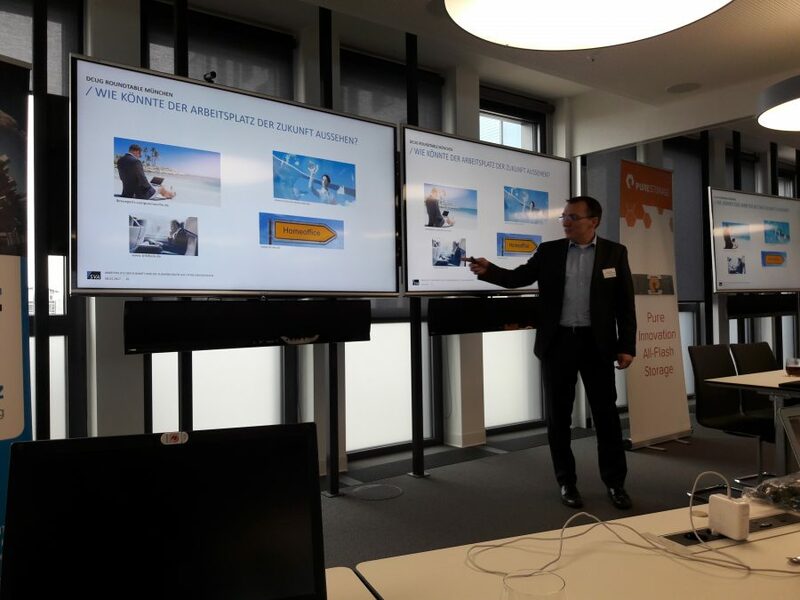 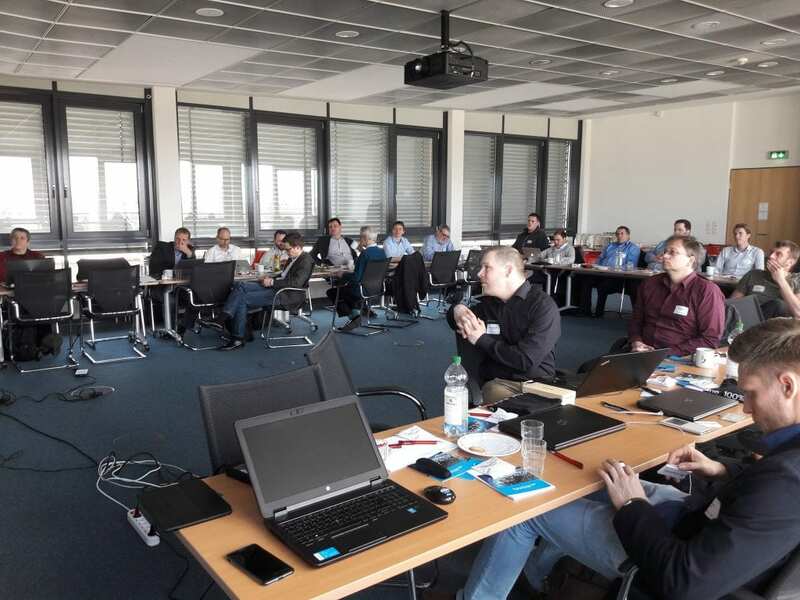 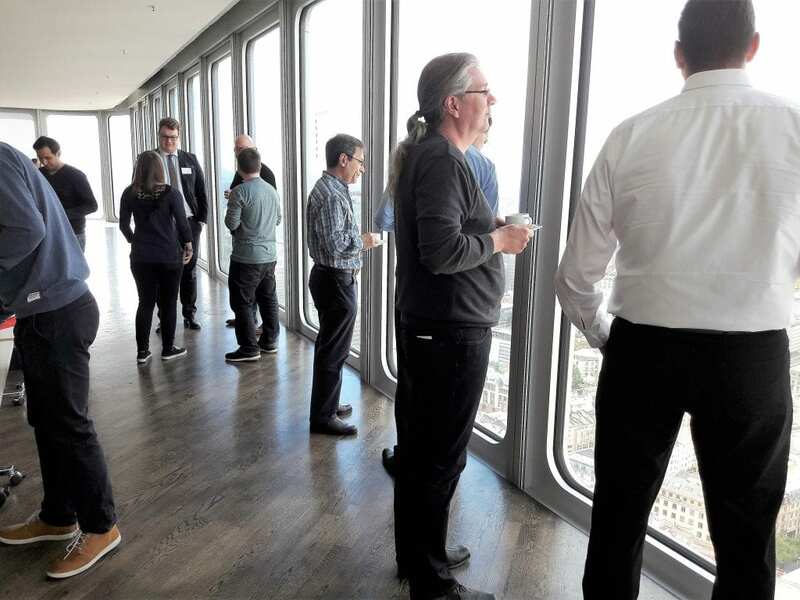 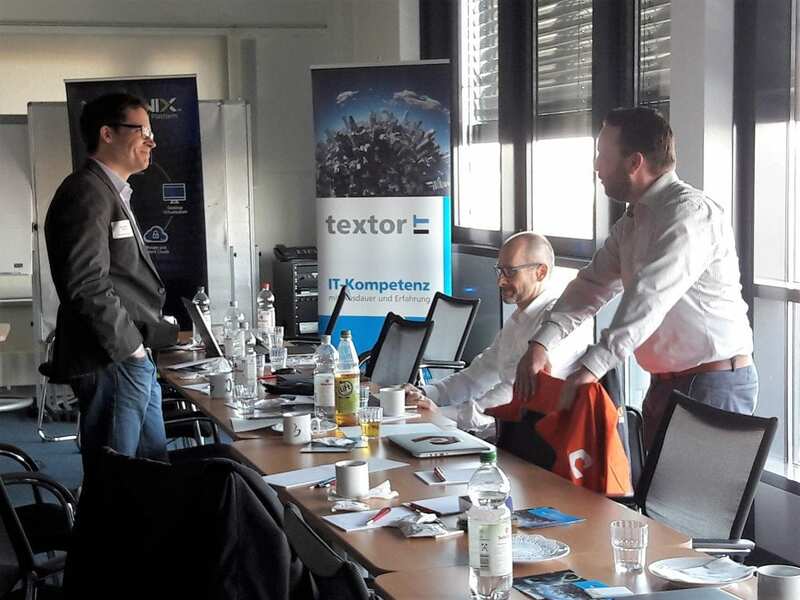 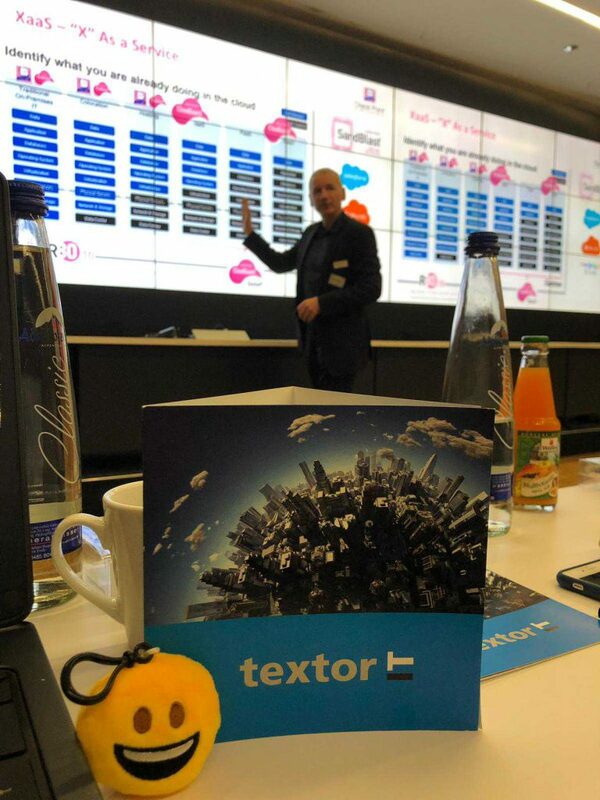 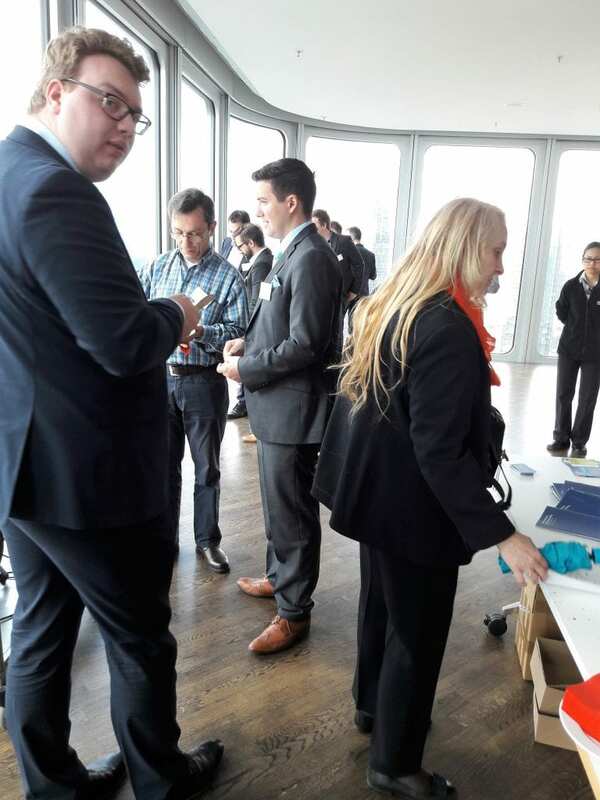 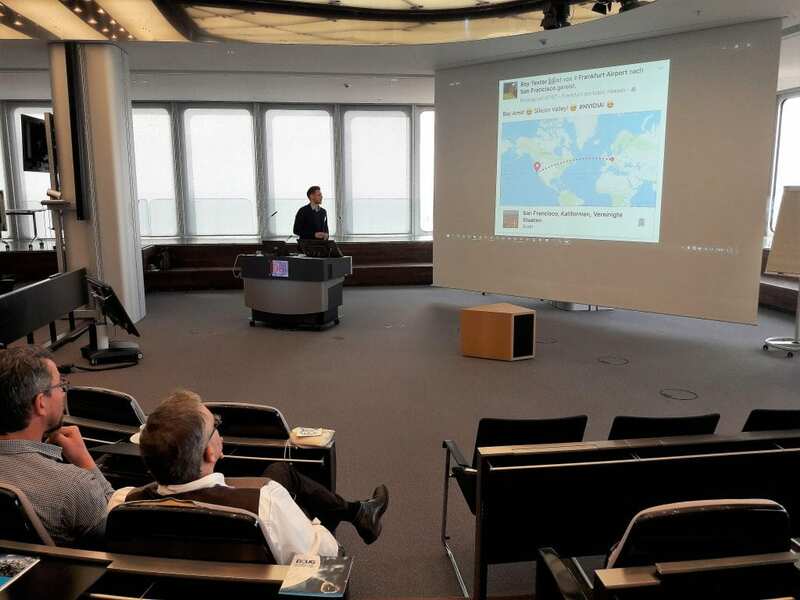 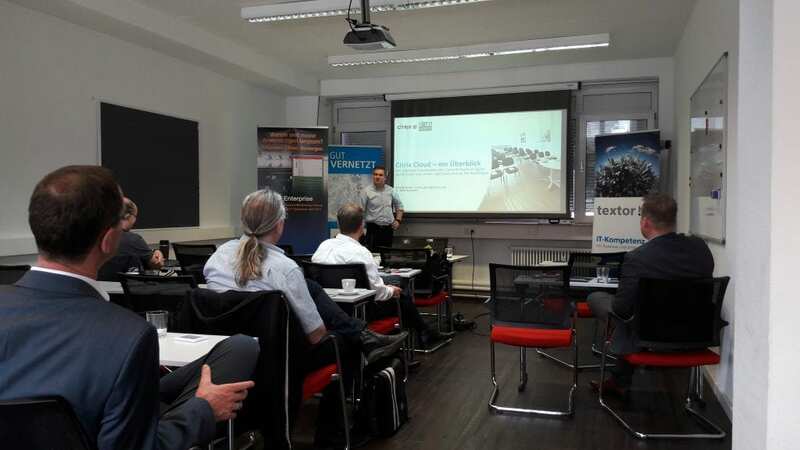 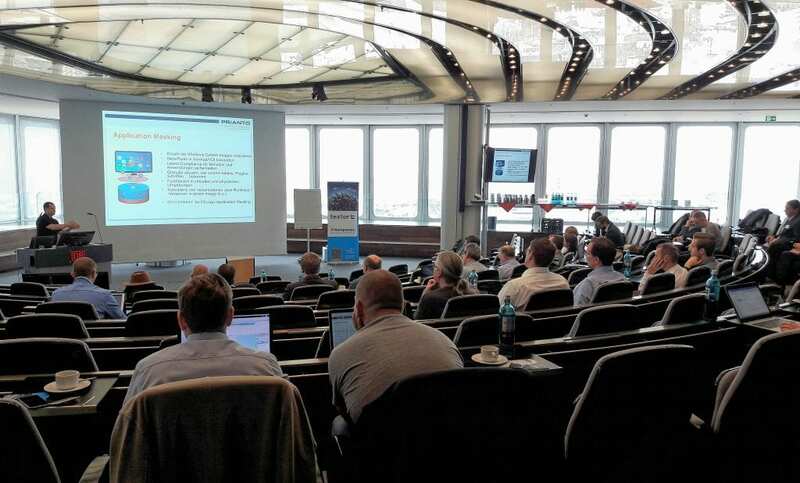 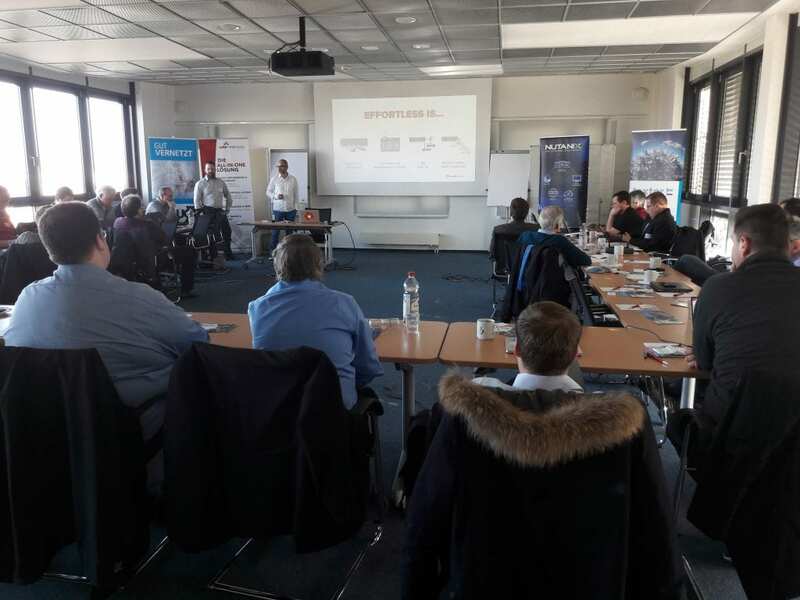 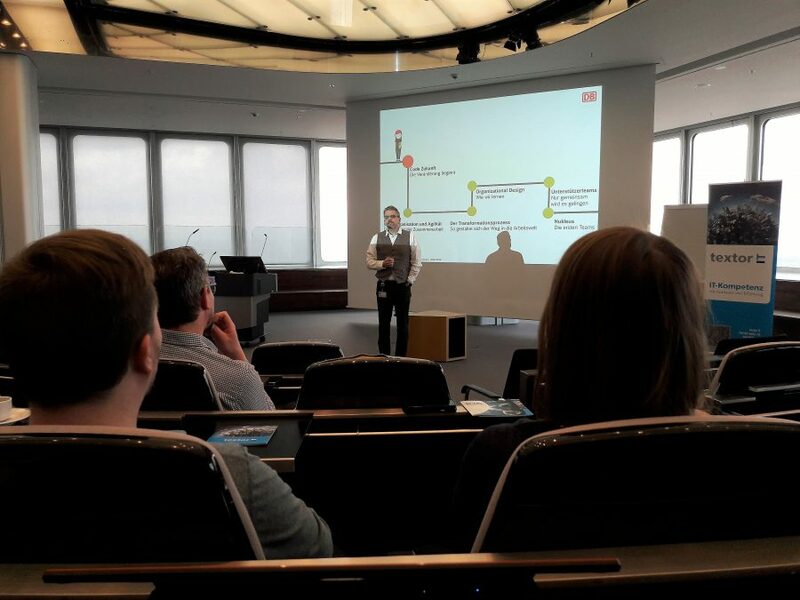 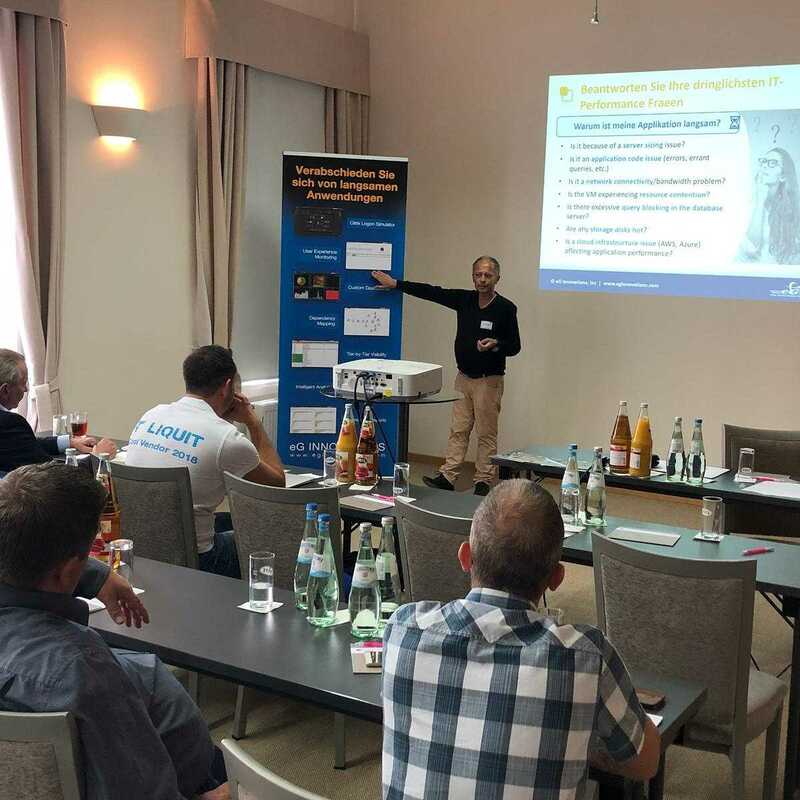 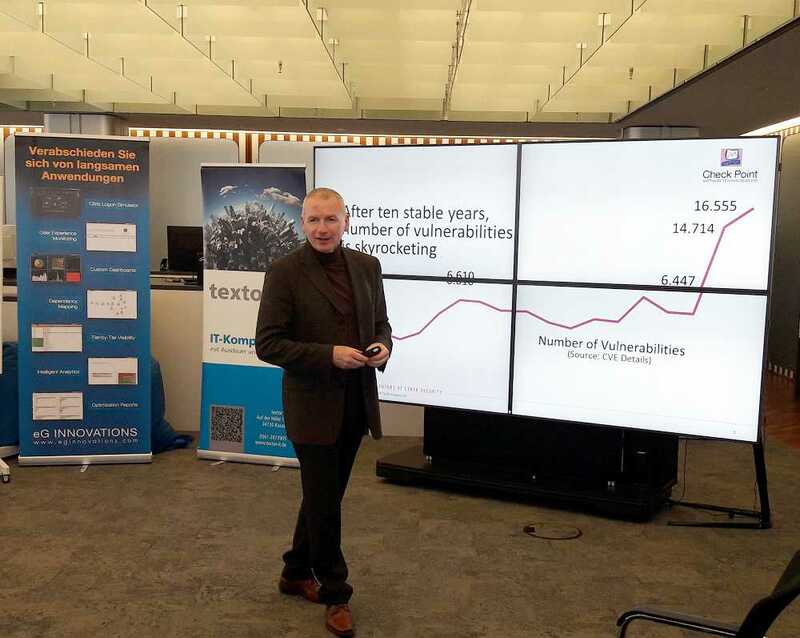 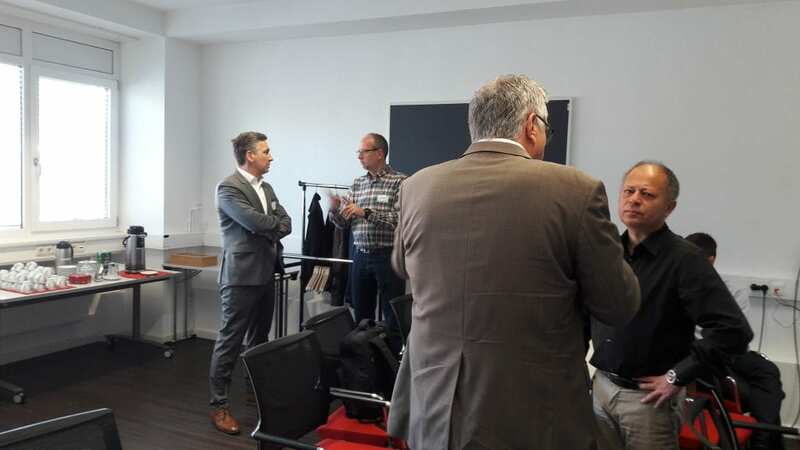 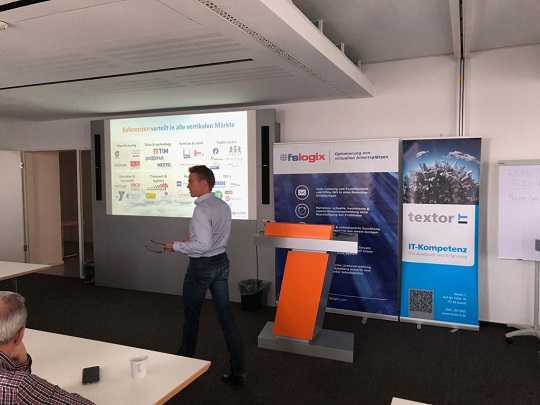 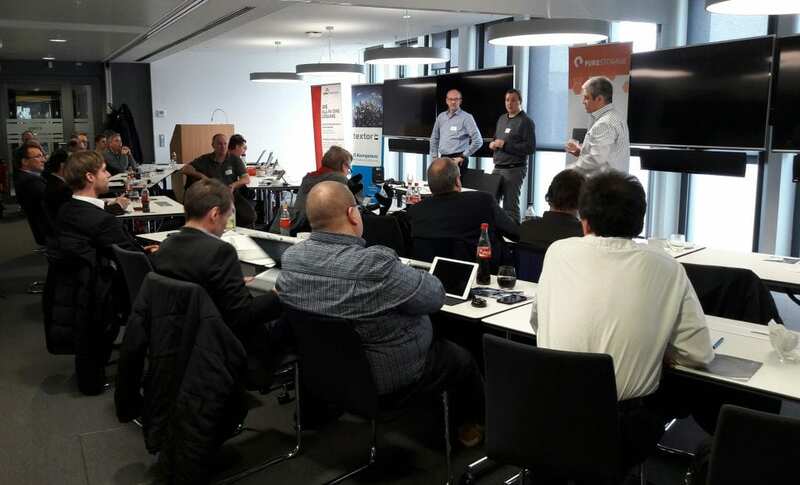 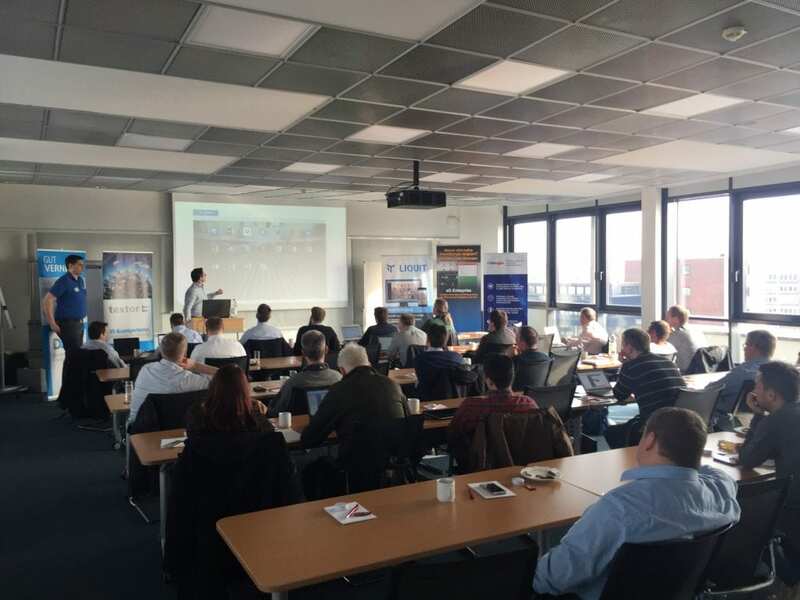 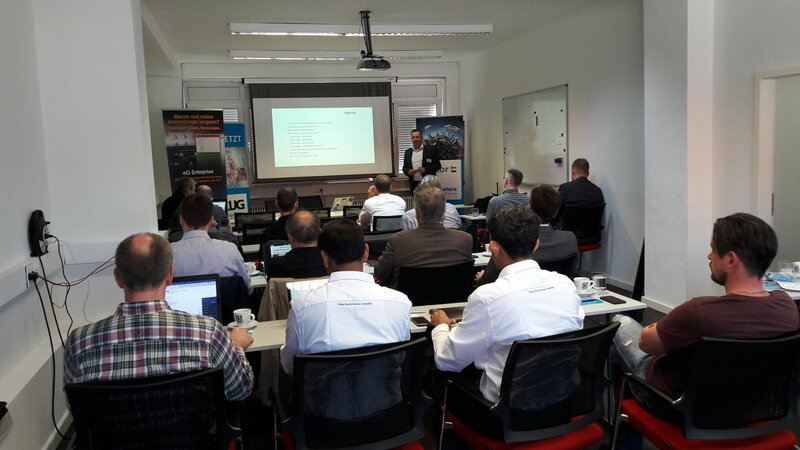 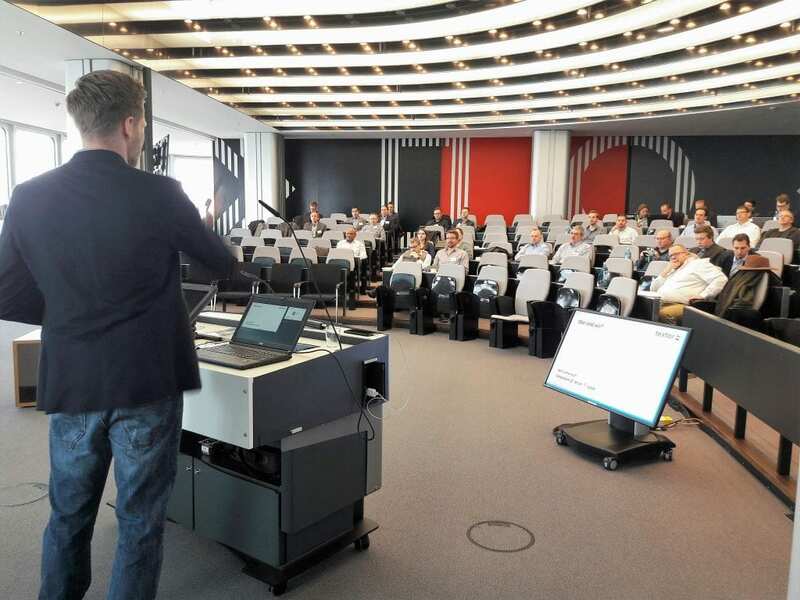 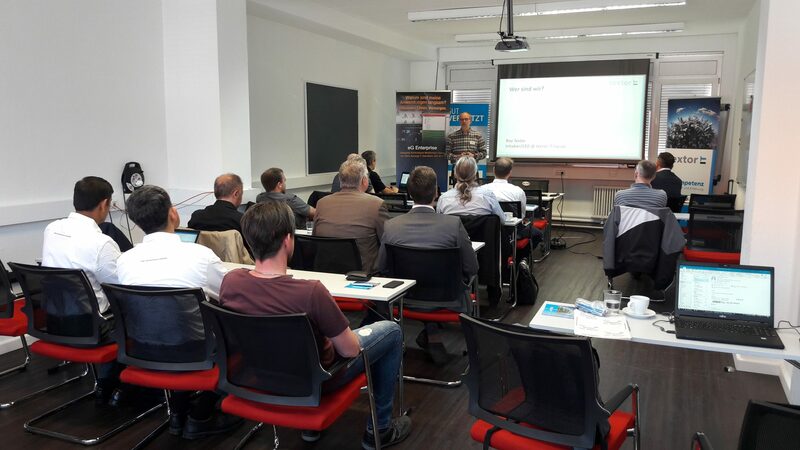 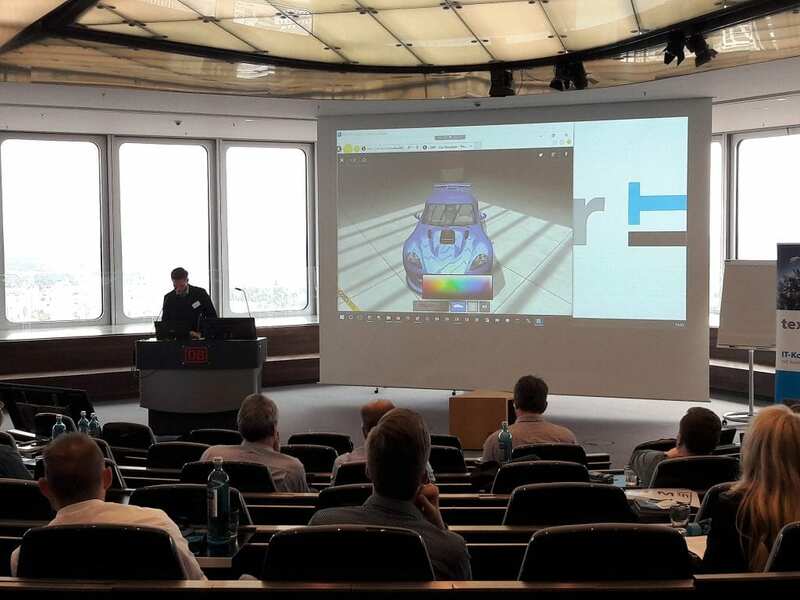 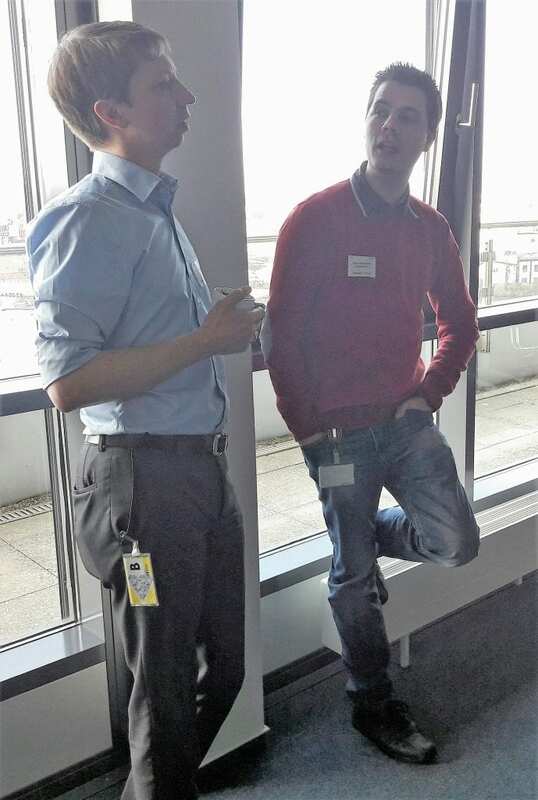 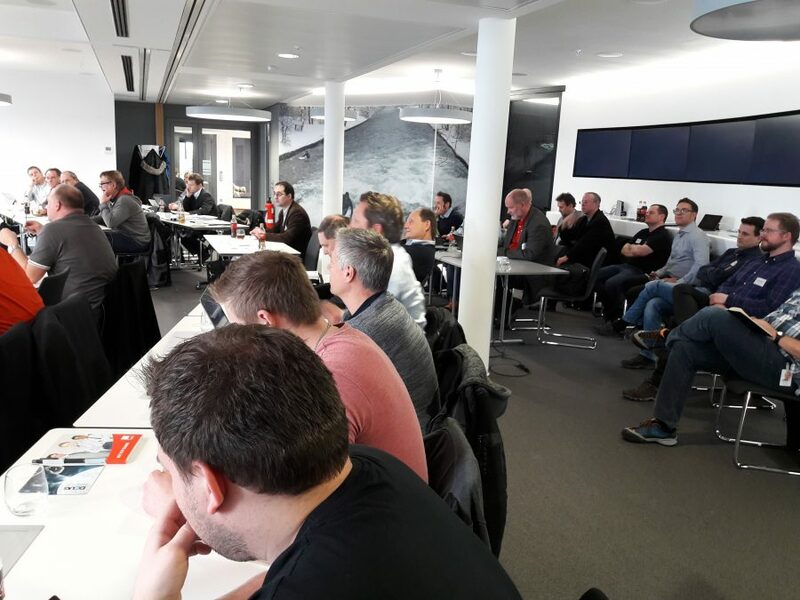 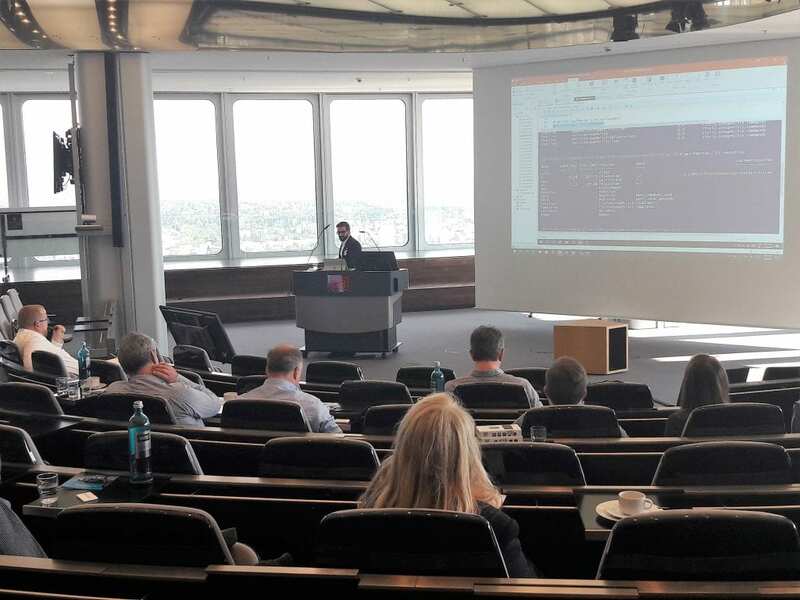 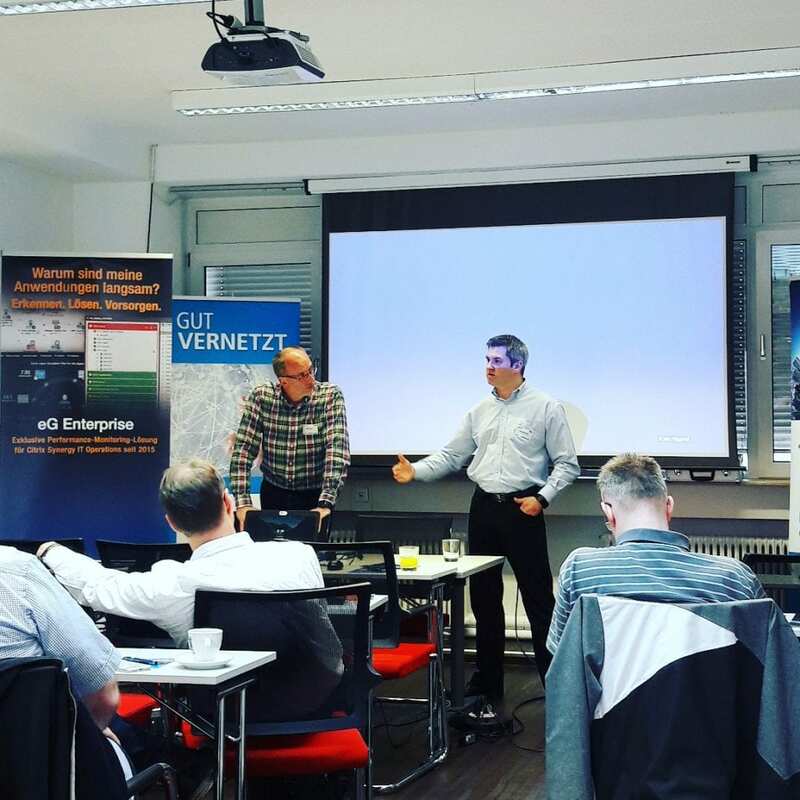 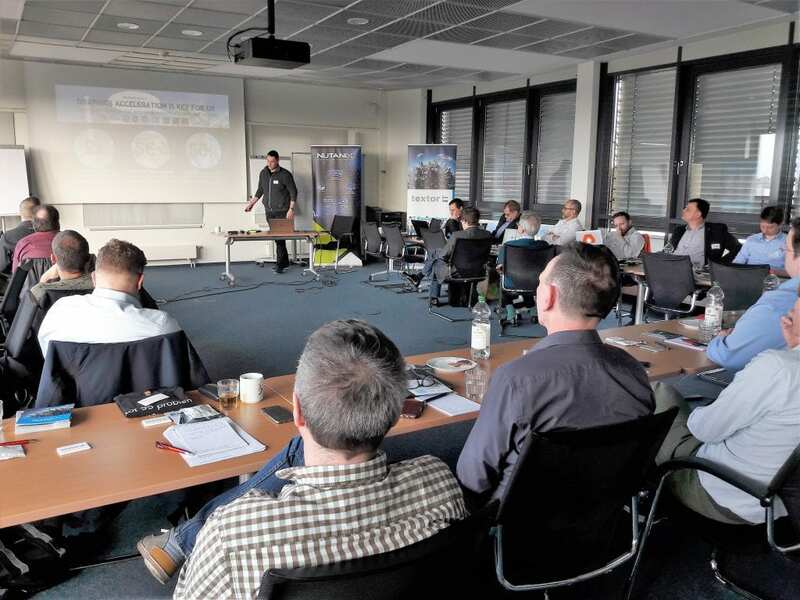 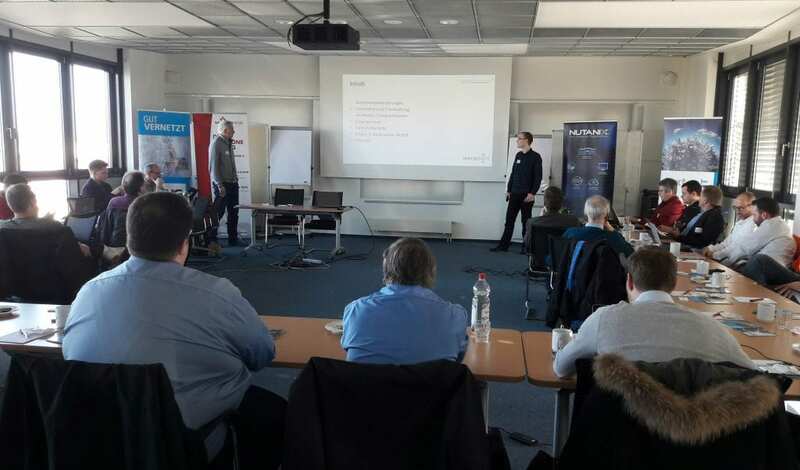 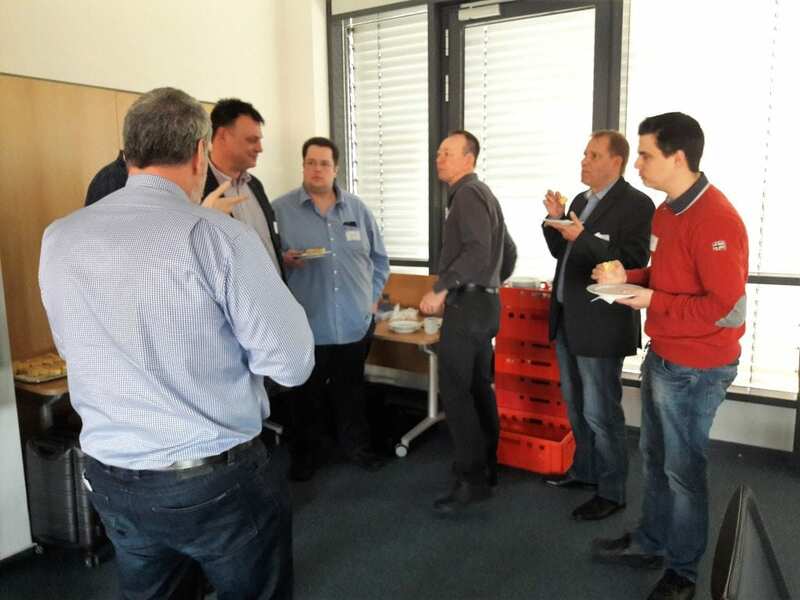 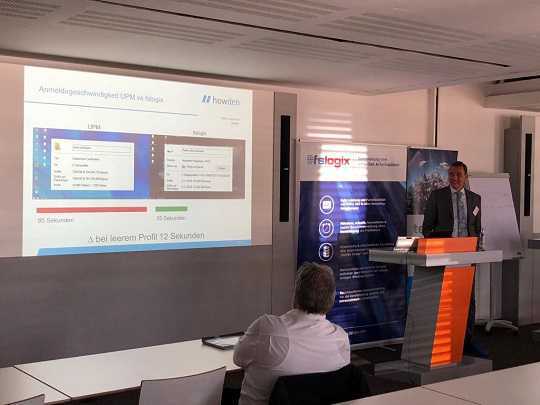 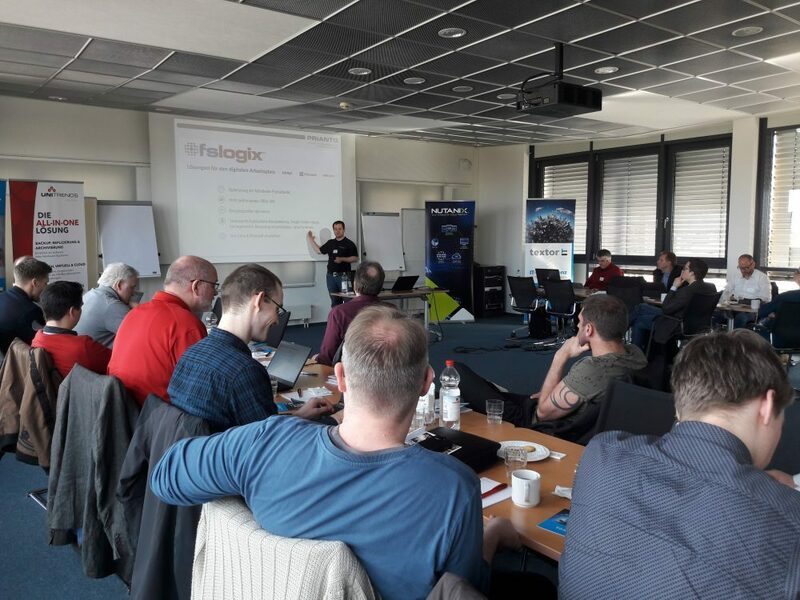 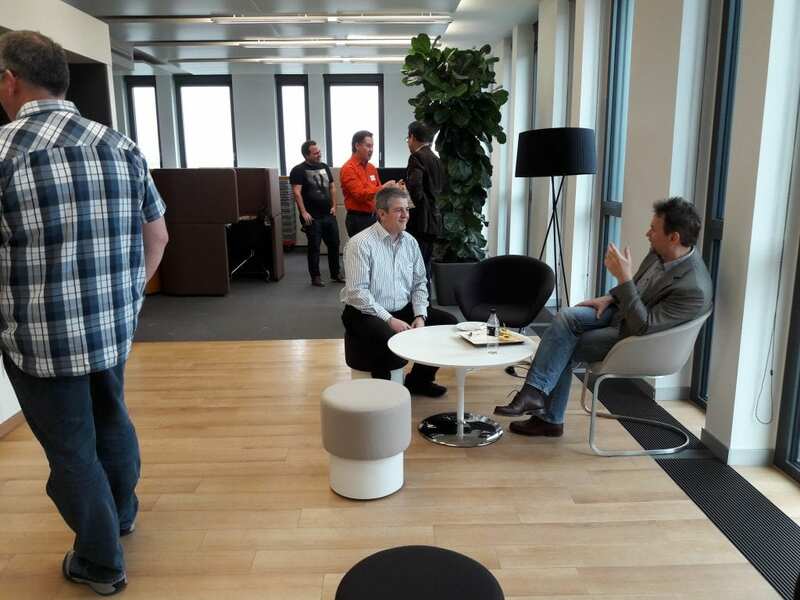 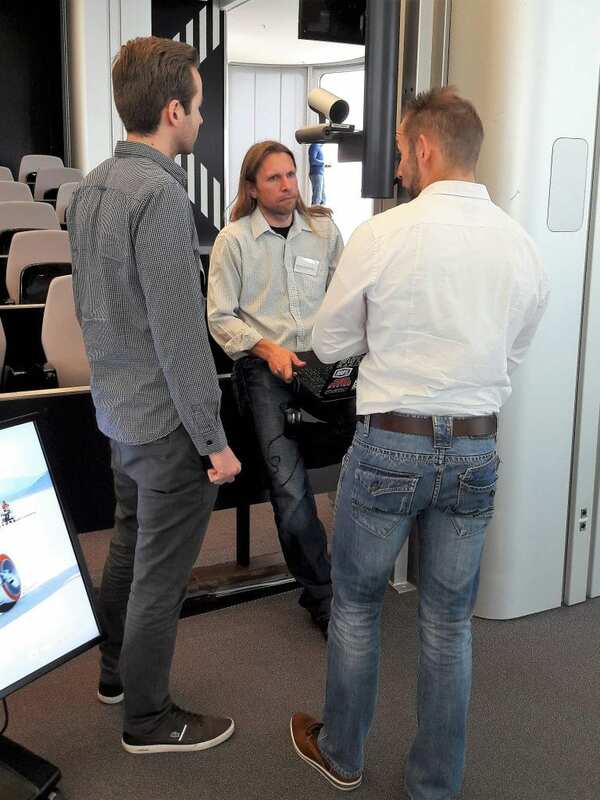 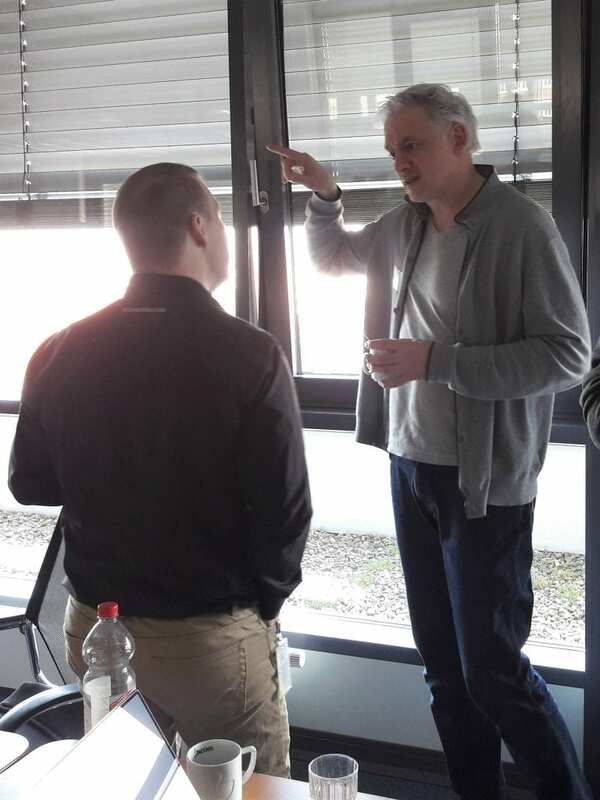 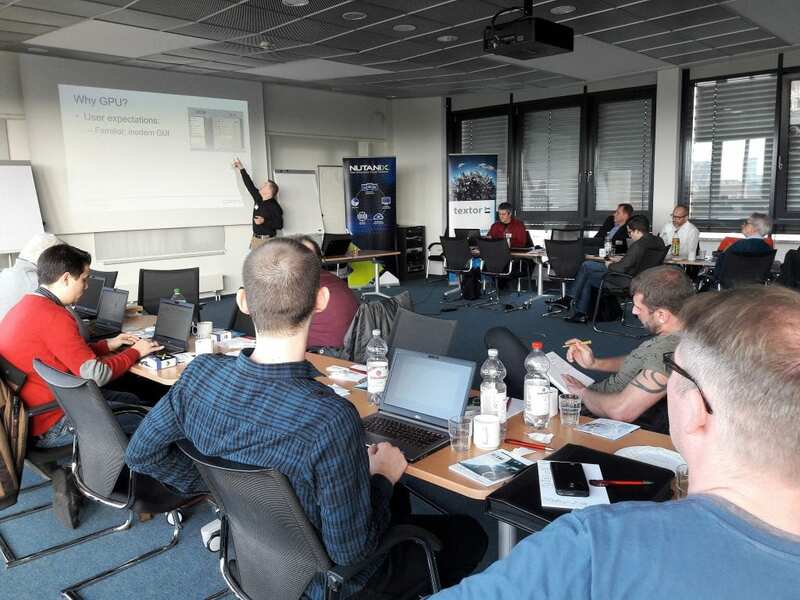 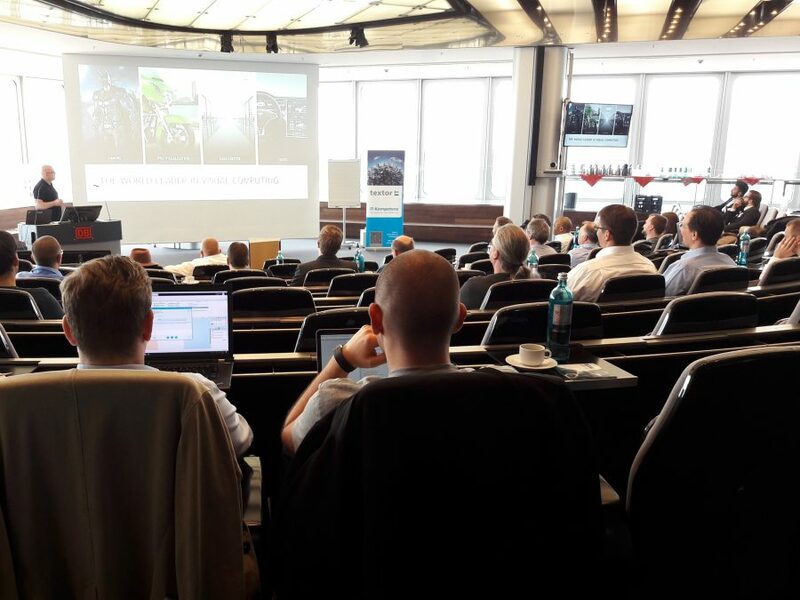 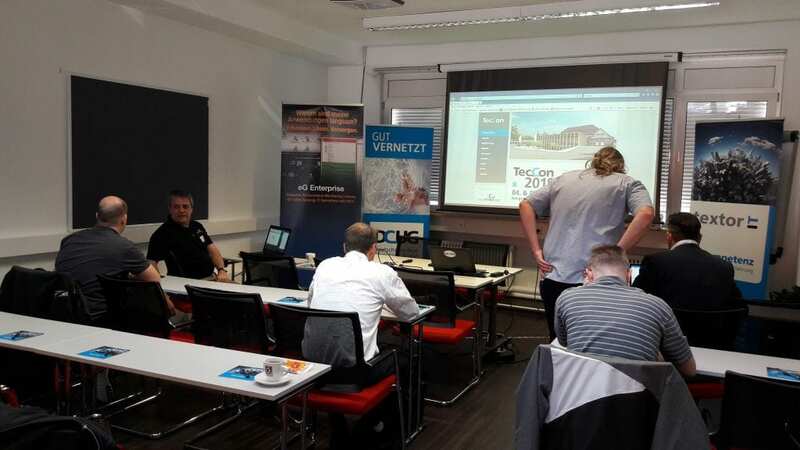 As a response to my work with GPU Acceleration for Office Workers (described in my blogs here, here, here and here) I got the pleasant surprise of being invited by my fellow NGCA-member, Roy Textor, to present my findings at the DCUG (Deutschsprachige Cloud User Group – https://www.dcug.de/) Roundtable in Hamburg on the 15th of March 2017. 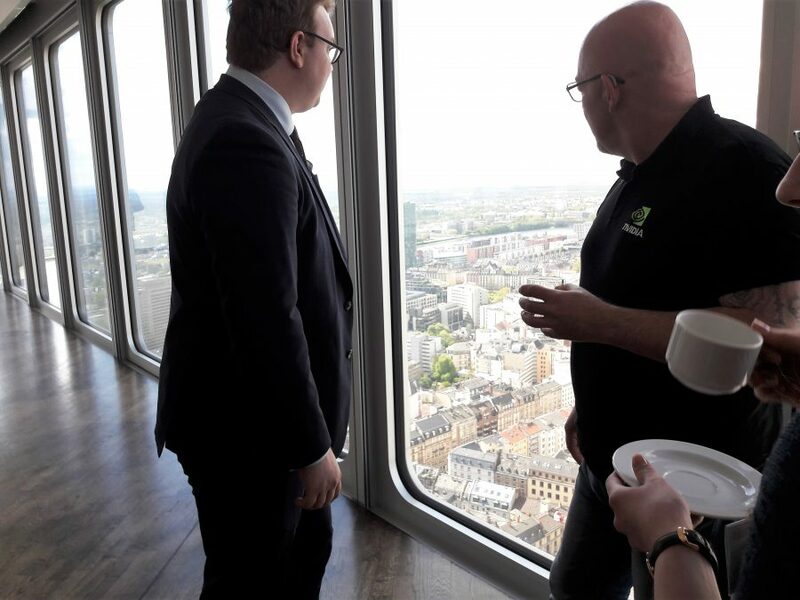 As the train between Copenhagen and Hamburg runs right through the city I live in, Næstved, it was easy to get there – almost just a walk into the train and approximately four hours later, a step out into Hamburg Hbf (Hauptbahnhof – Central Station). 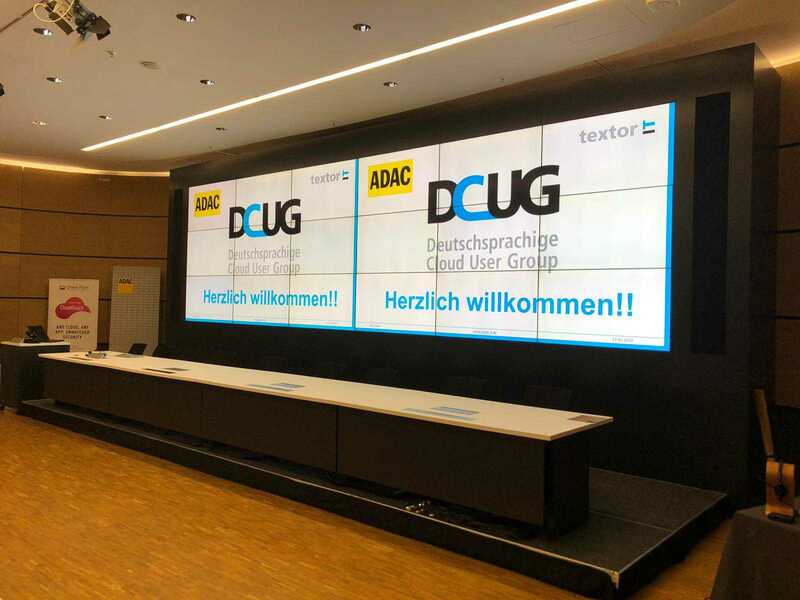 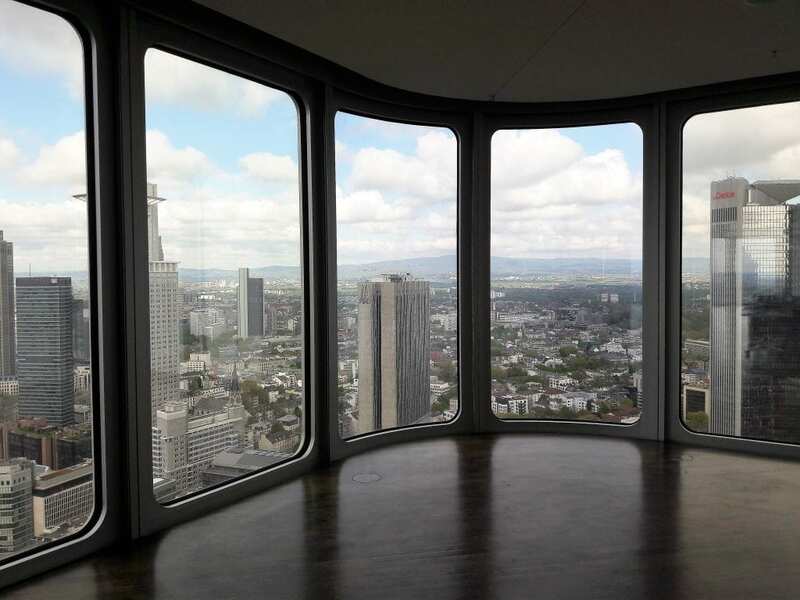 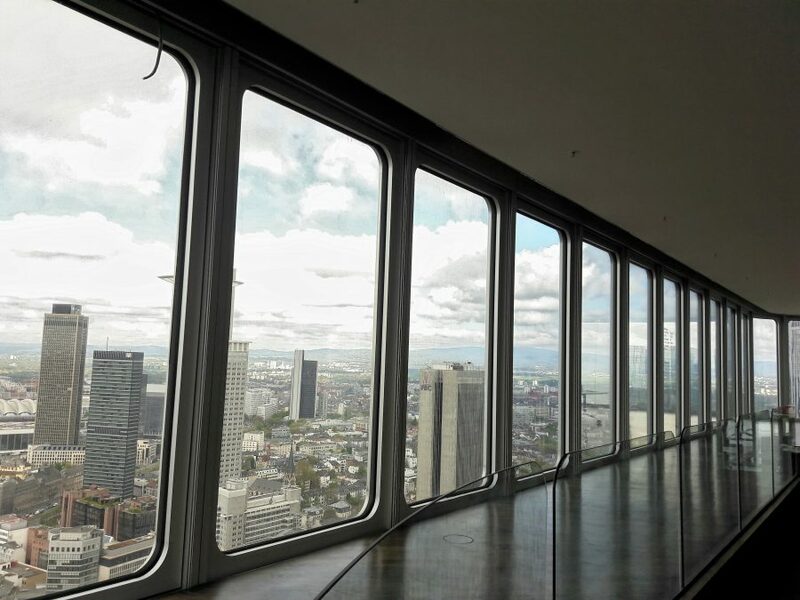 Excited and proud but also humble I arrived, with the help of some friendly Germans, who guided me to the DCUG Roundtable conference room located at Dataport buildings in Hamburg. 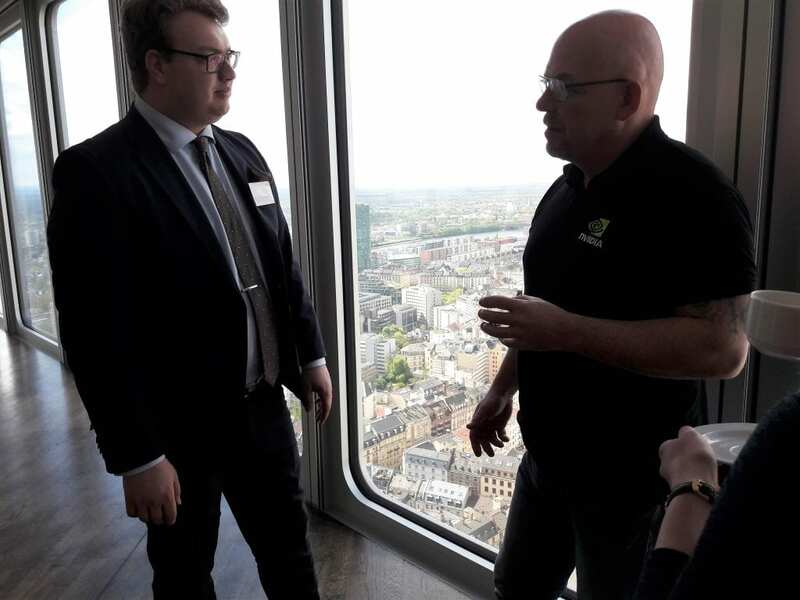 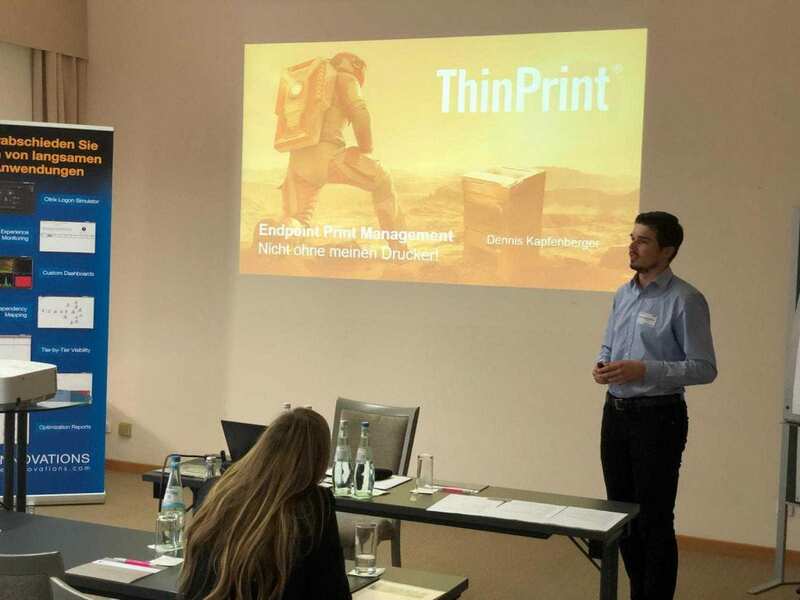 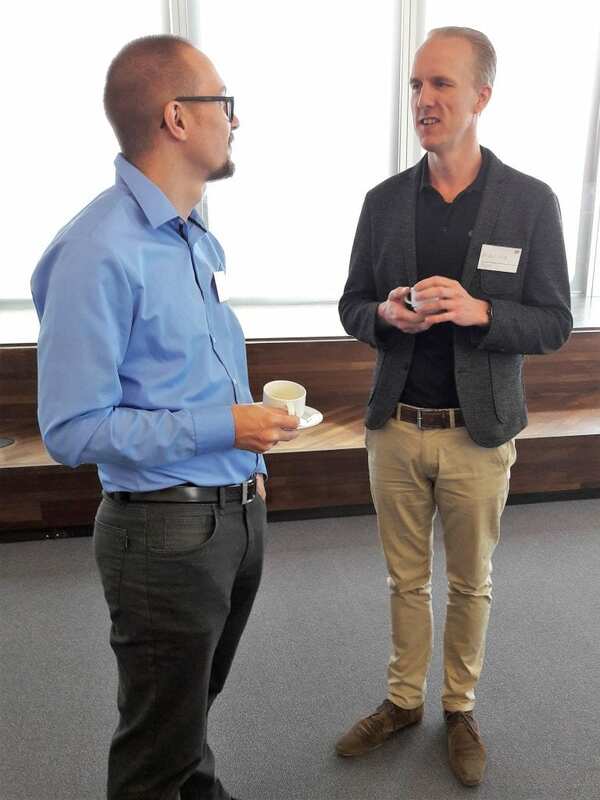 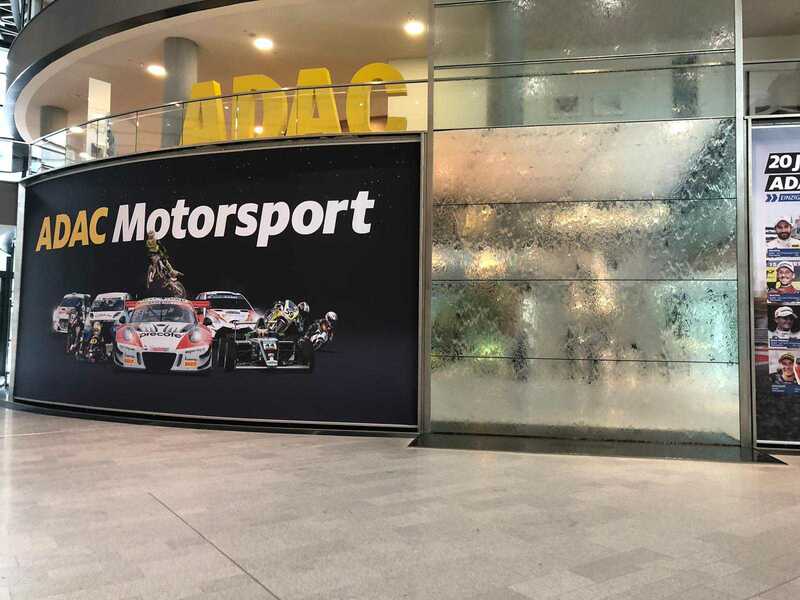 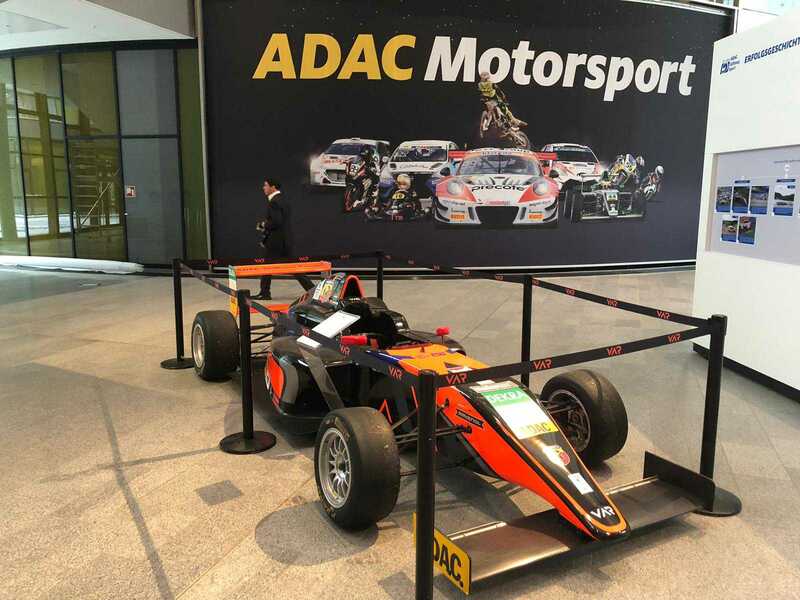 It was around lunch time, so I had a hope that I might be able to sneak my way into the room without anyone noticing me – but I couldn’t be more wrong… To my pleasant surprise, the first person I saw was a familiar face, Jonas Braun, who I first met at an E2EVC-event in Lisbon, Portugal. 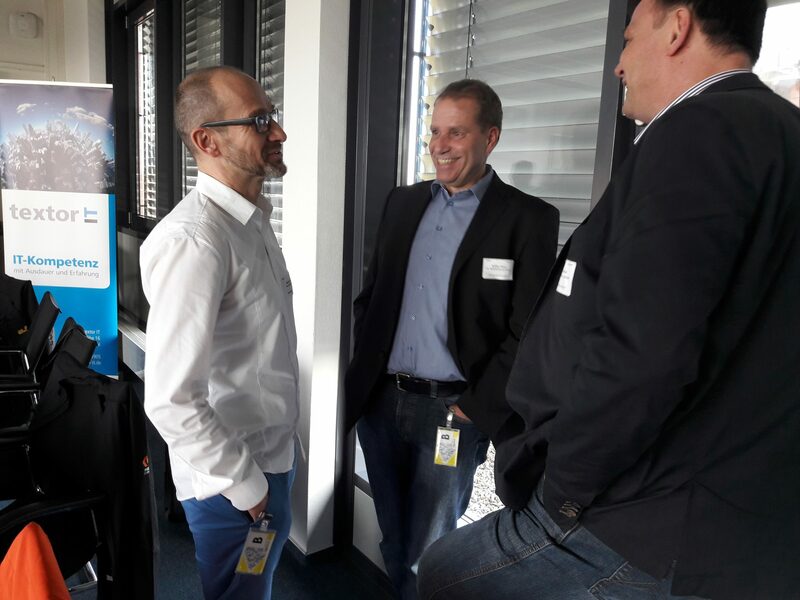 It was kind of reassuring on my nerves to see a familiar face and after looking around, even more familiar faces appeared: Saša Mašić, a year-after-year E2EVC-attendant and of course Roy Textor – the person who invited me in the first place – and this was calming my nerves a little more. 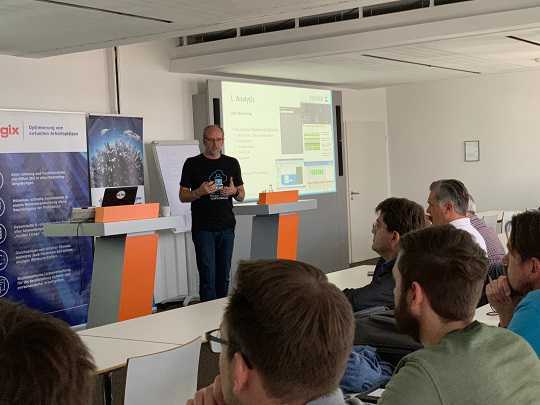 Speaking of trying to stay unnoticed, I got a seat at the front row and if that was not enough to pick on my humility, Roy and Saša’s Techtalk-session started with an introduction of me – very nice and quite unexpected! 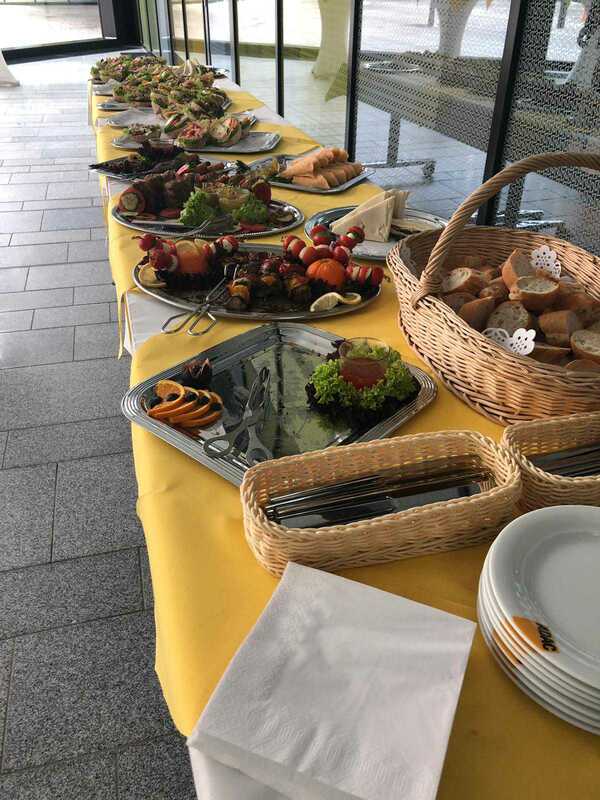 I must say; What a great start for a great event! 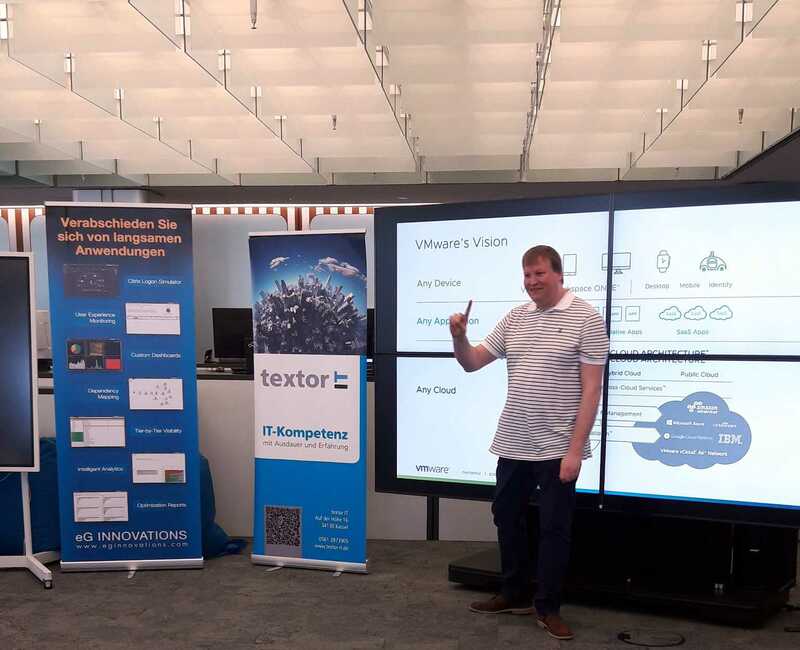 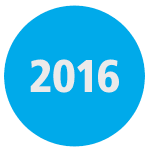 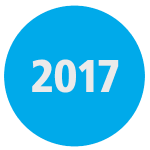 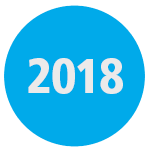 At the TechTalk-session, some of the questions in the discussion were on the expectations on graphics vendors and how newer versions of Cloud-products continually gets compared to older versions but without mentioning the advancements in the underlying operating systems. 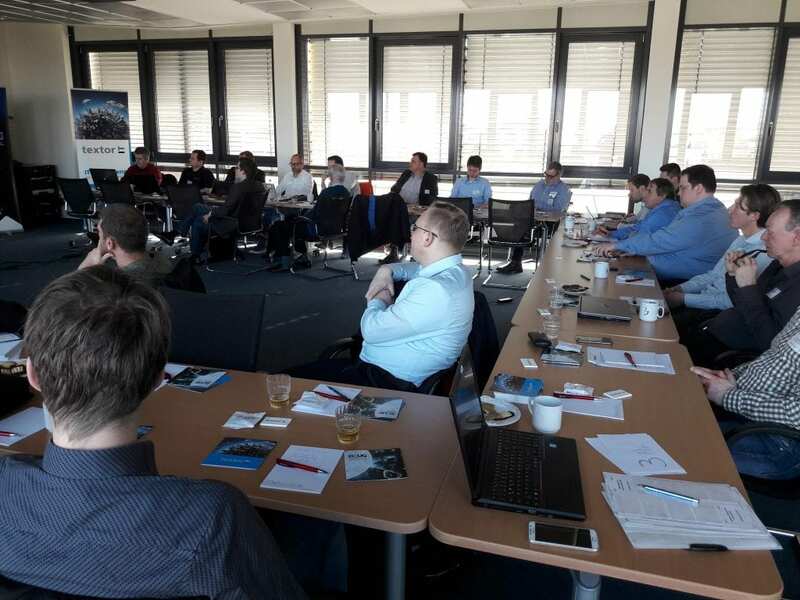 Very interesting topics! 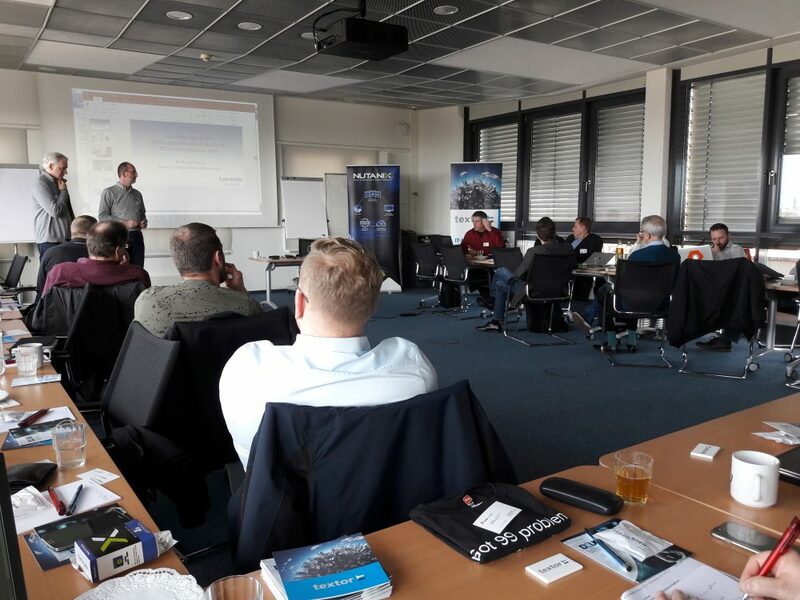 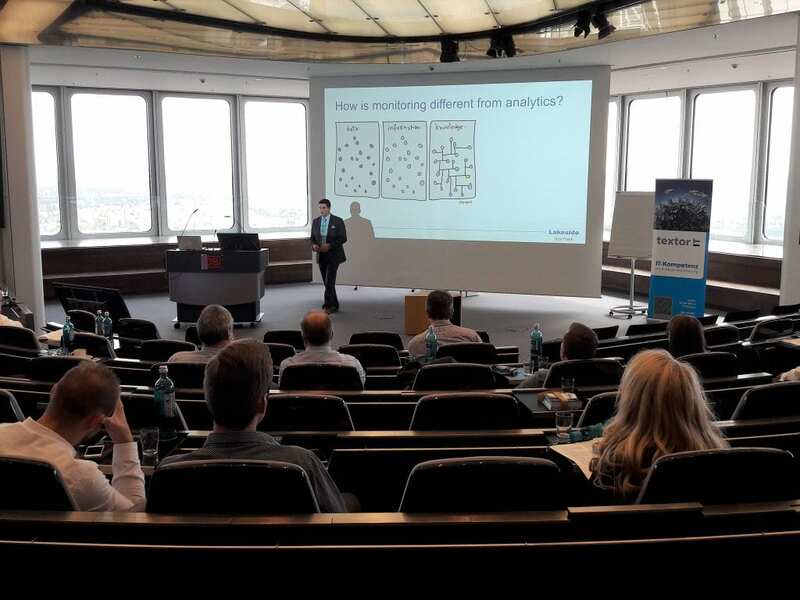 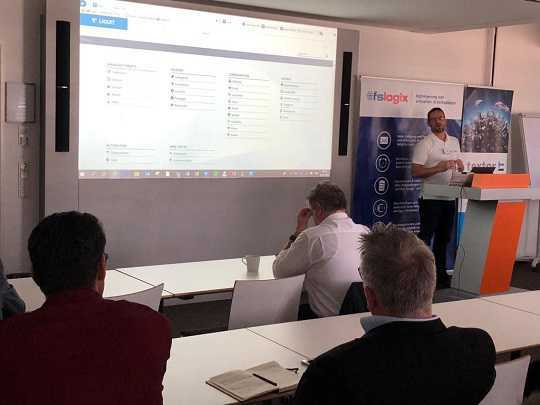 After the TechTalk-session we got the pleasure of having Dr. Benny Tritsch presenting the monitoring capabilities of Lakesides Systrack product. 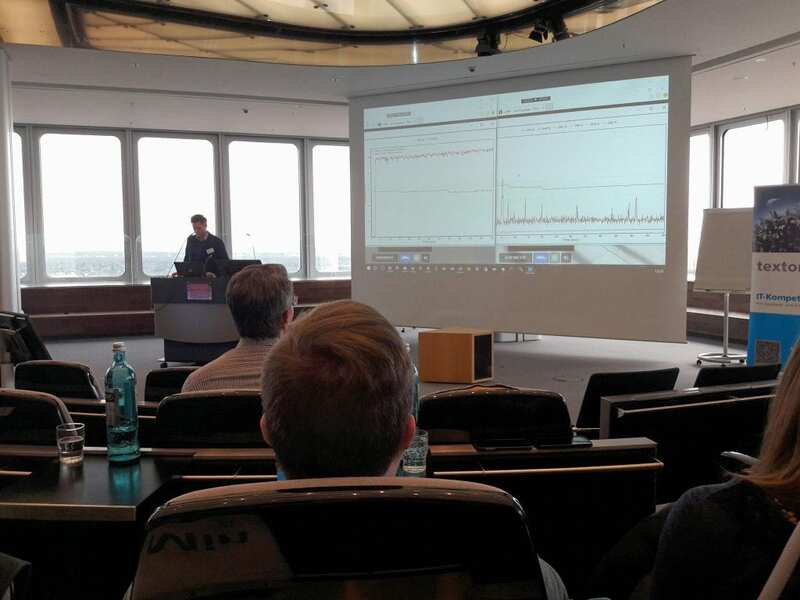 A comprehensive tool to monitor the collected performance data on a higher level, as it correlates data across different parameters to show the overall health of an environment. 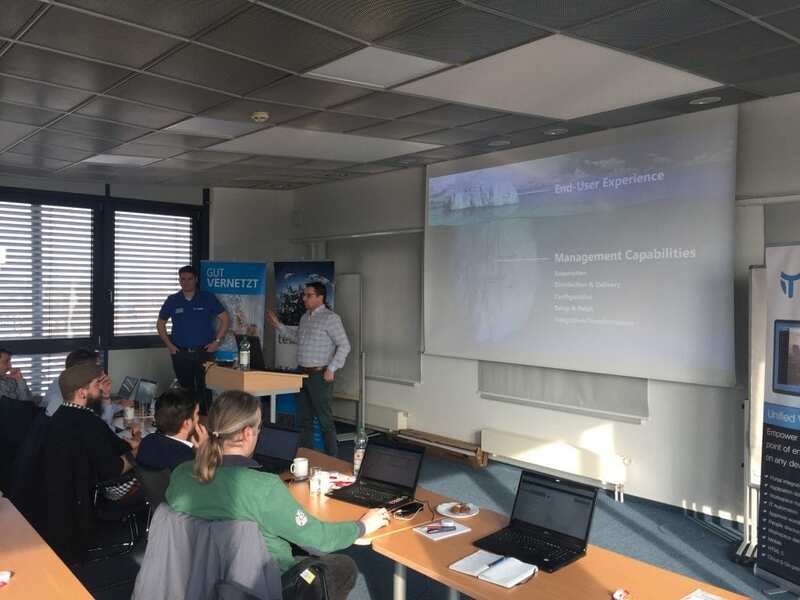 This makes sense, as the users’ experience are a matter of a lot of different parameters and not just one, two or five particular parameters. 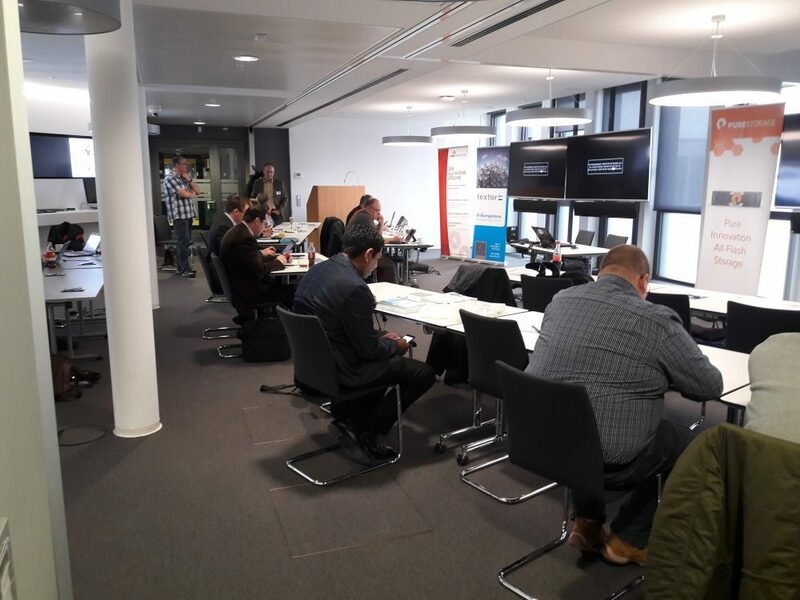 Following the Lakeside session it was time for me to get on stage and try to keep the high standards from the previous session. 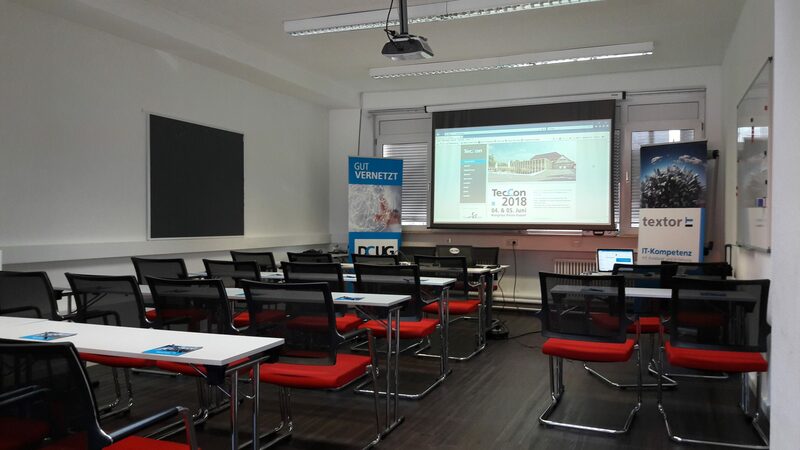 My nerves were starting to alert me minutes before beginning, but I was determined to at least do the introduction in German – and I think my German Language teacher from my school time would have been proud, even though the introduction was very short. 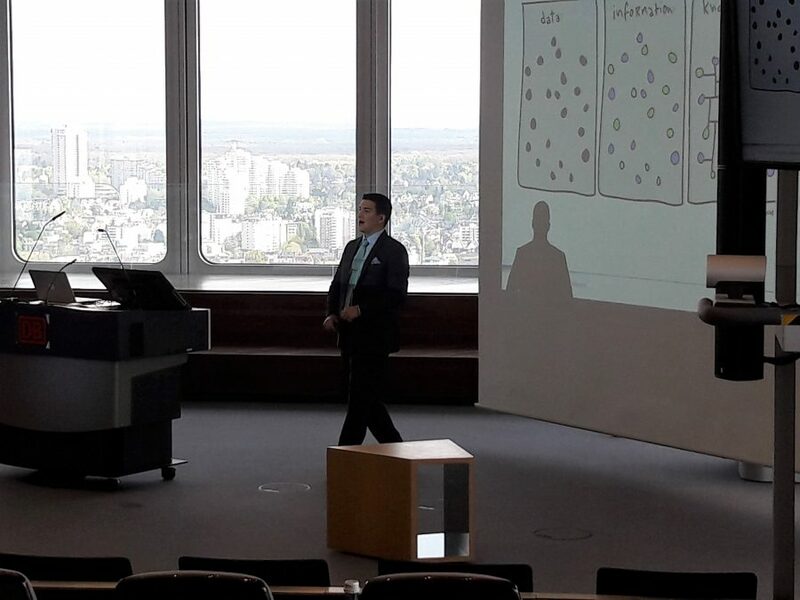 Maybe I should challenge myself to do more of my presentation in German at some opportunity in the future? 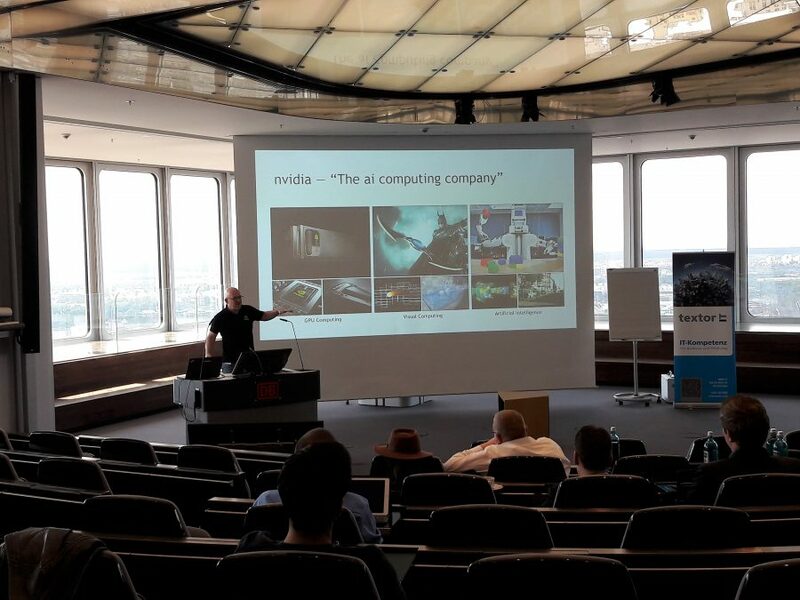 Continuing the session in English, to make sure that everybody would get my message from the presentation, I talked about what users expect and how these expectations often collide with the expectations from the corporations, but with the help of Nvidia GRID cards it is possible to get the best of all worlds: Better performance, higher user density and the graphical user experience that we all expect. 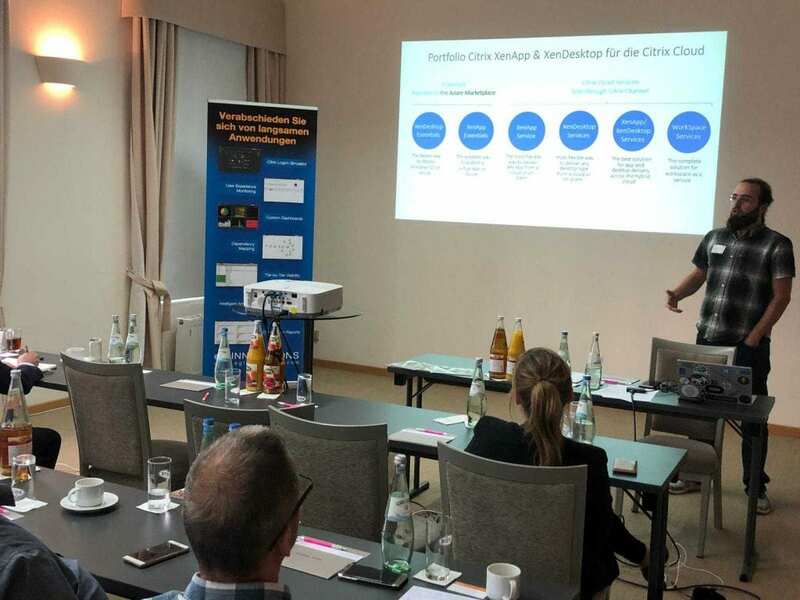 I talked about a customer case we had, where GPU’s were implemented to harvest all these benefits and lastly I showed, how much improvement GPU’s are contributing to a particular customer’s Cloud environment – you can read more on this subject in my blogs here, here, here and here. My session was followed by a session from Nvidia showing how Windows 10 is more graphics intense than previous operating systems, and how the Tesla M10-cards can benefit the user experience significantly. 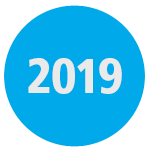 It is interesting that consumer operating systems are utilizing a GPU by that much and that we are not able to deactivate these graphical features like we used to do with Windows 7/Server 2008 R2. 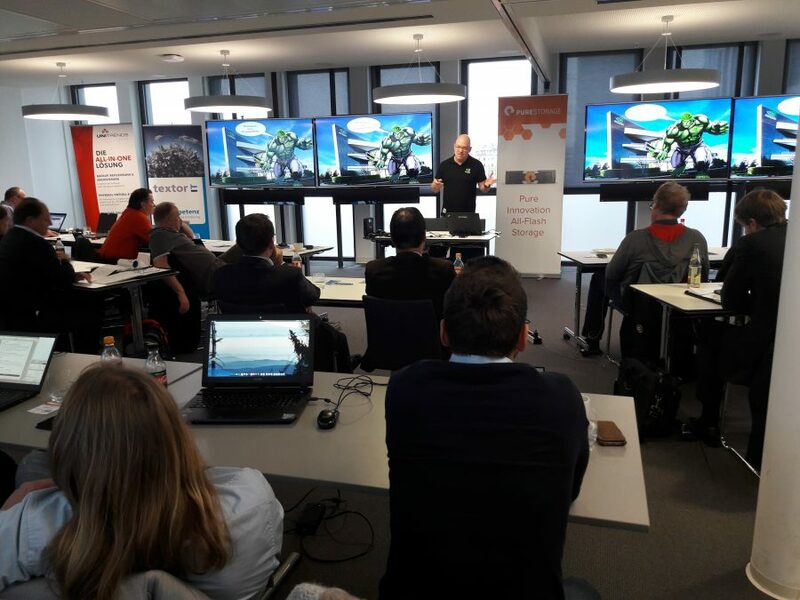 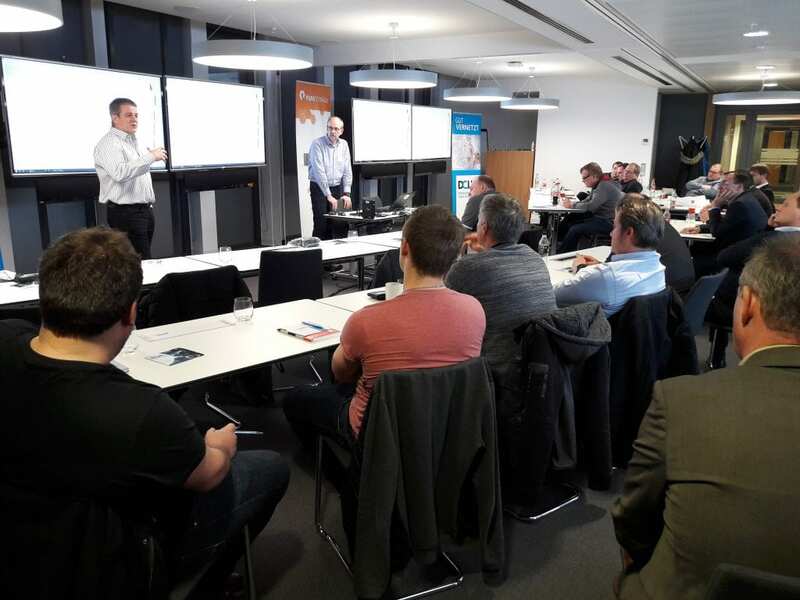 Continuing on the graphical subject, Roy showed Cloud user sessions with and without a vGPU – on a Raspberry Pipowered by a mobile powerbank! 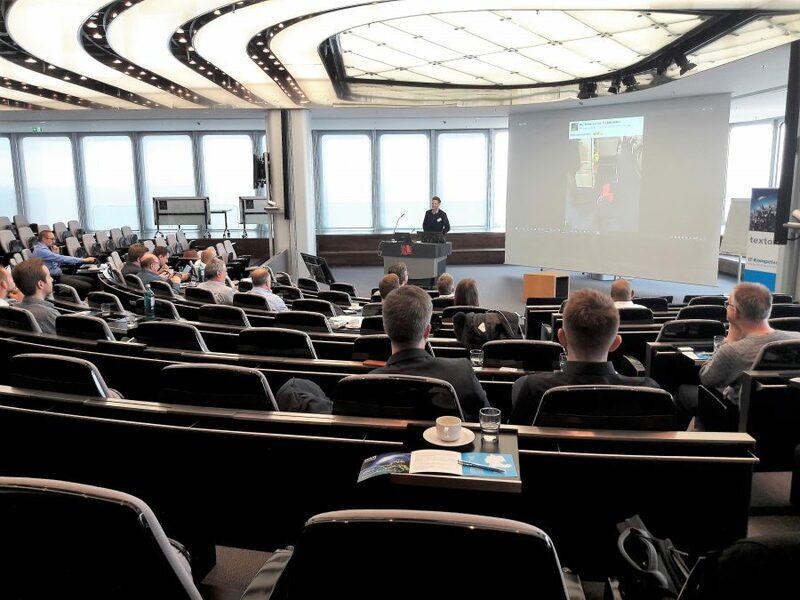 Impressive what kind of user experience, such a small device can deliver (depending on the backend servers, but still…) Even though I have been working with virtualizing graphical resources for a while now, I am still amazed time after time by the difference between a session with and without GPU-acceleration. 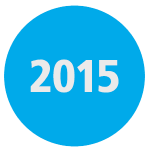 I think I may be affected a little by speed blindness over the years and getting too accustomed to the graphical acceleration, when I only start noticing it when it is absent! 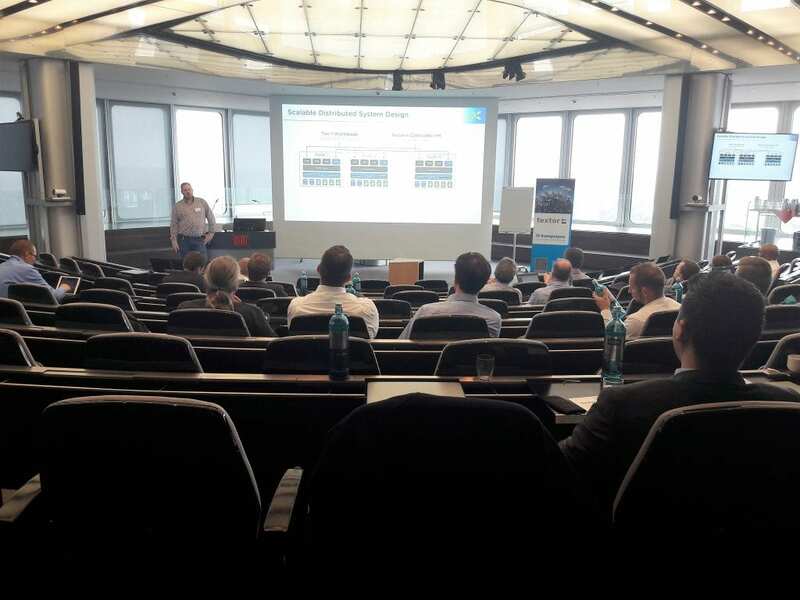 Final session was delivered by Nutanix showing their take on how to renew the datacenter architecture. 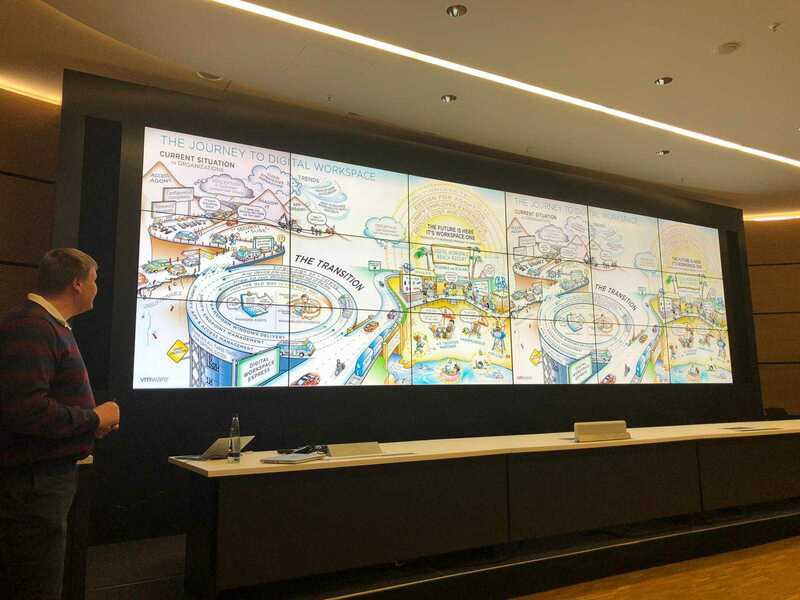 It is always interesting to see new approaches on established solutions and architectures, and I believe it is the key to evolution that we are able to adjust, adapt and think in new ways, avoiding the eternal phrase of “that is how we always do things”. 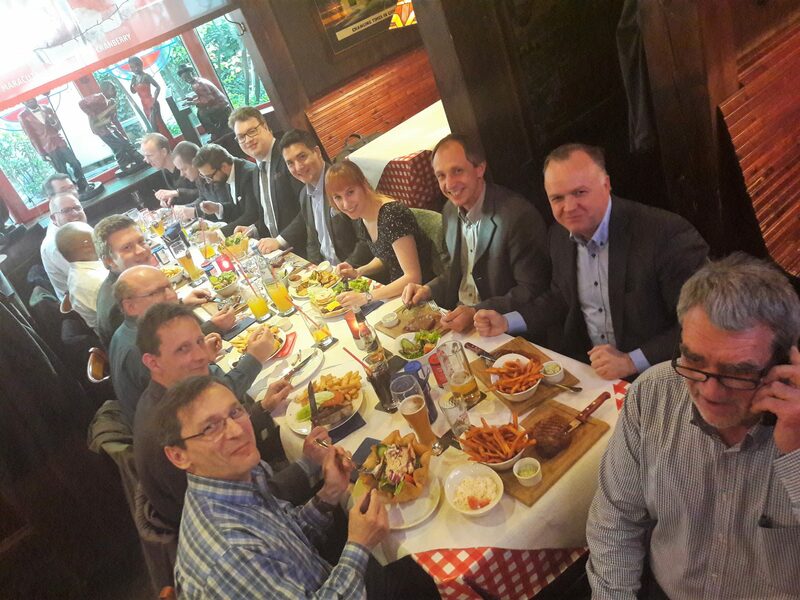 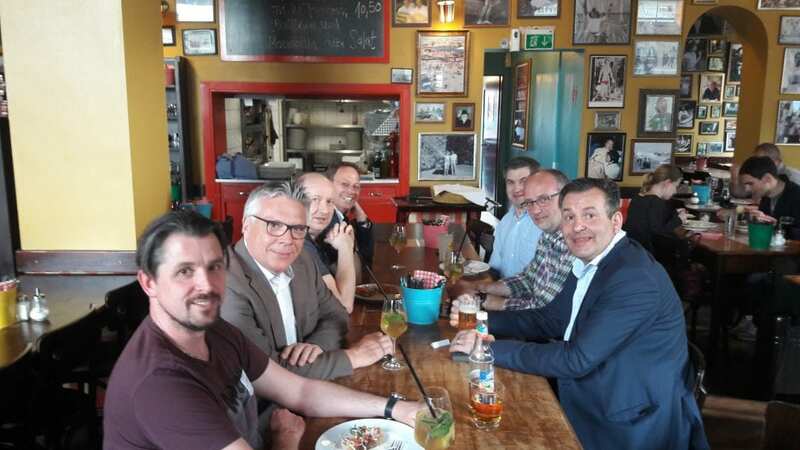 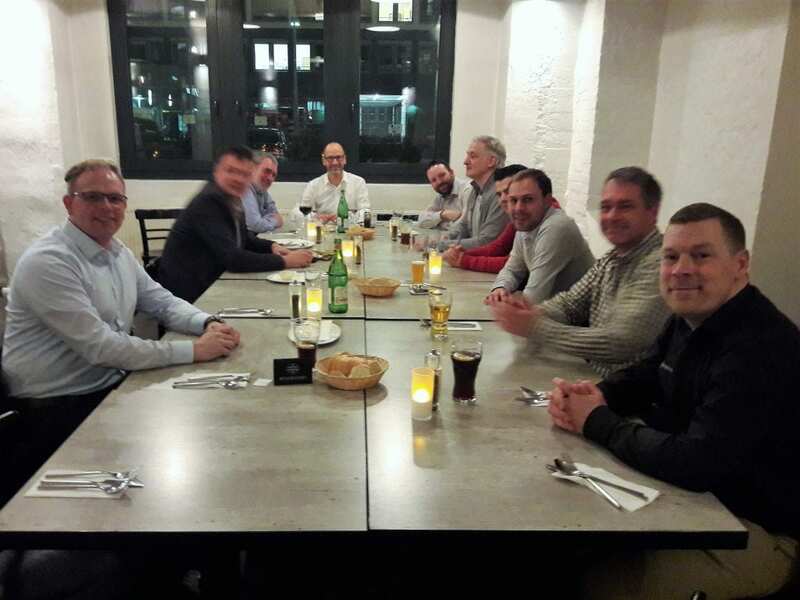 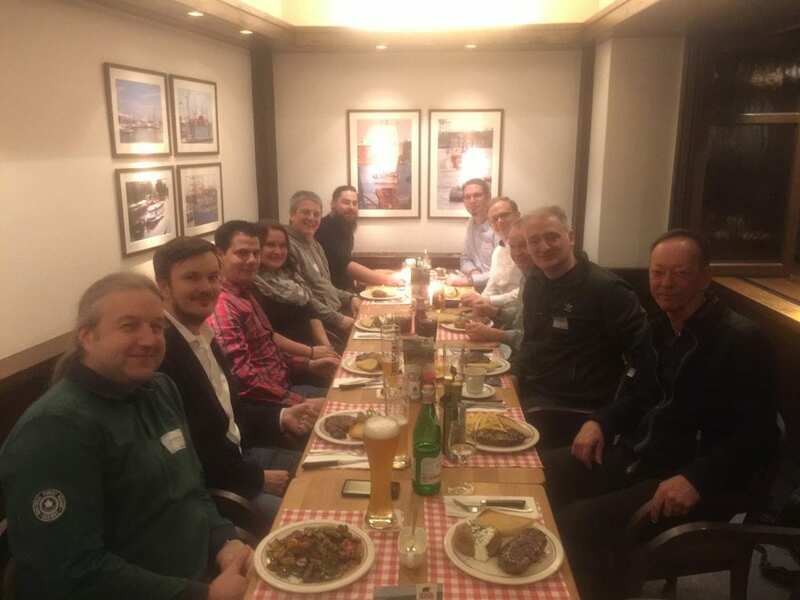 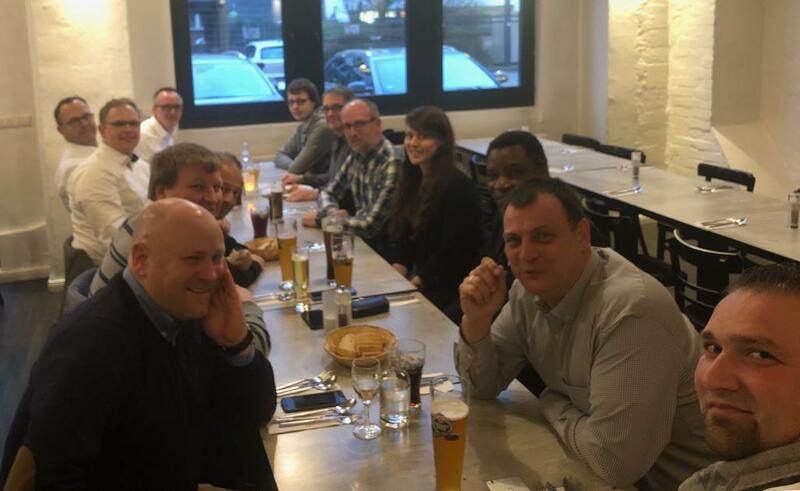 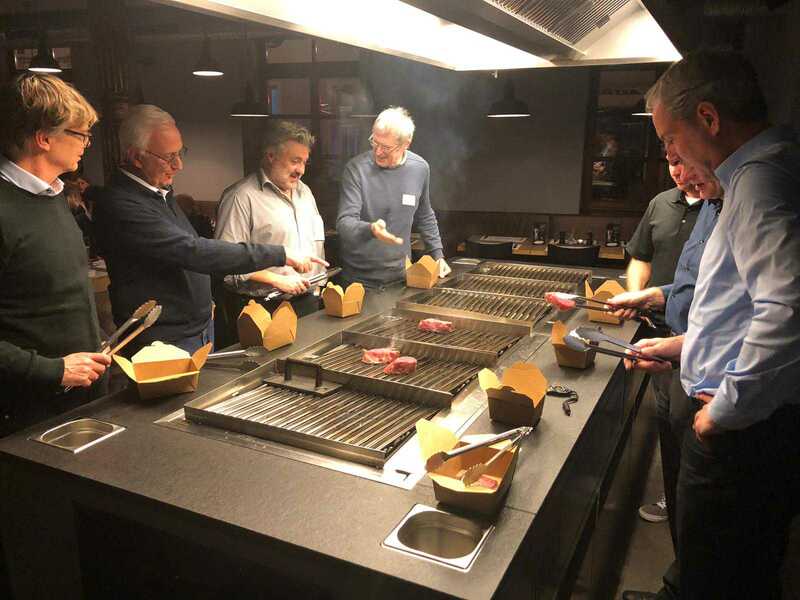 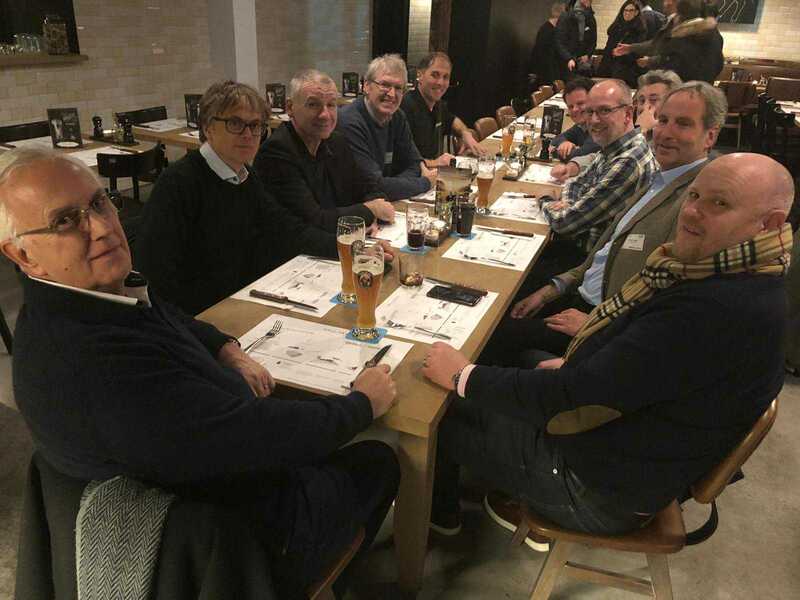 At the networking dinner, we had a great opportunity to talk a bit more, in less techy and more informal surroundings at a local restaurant. 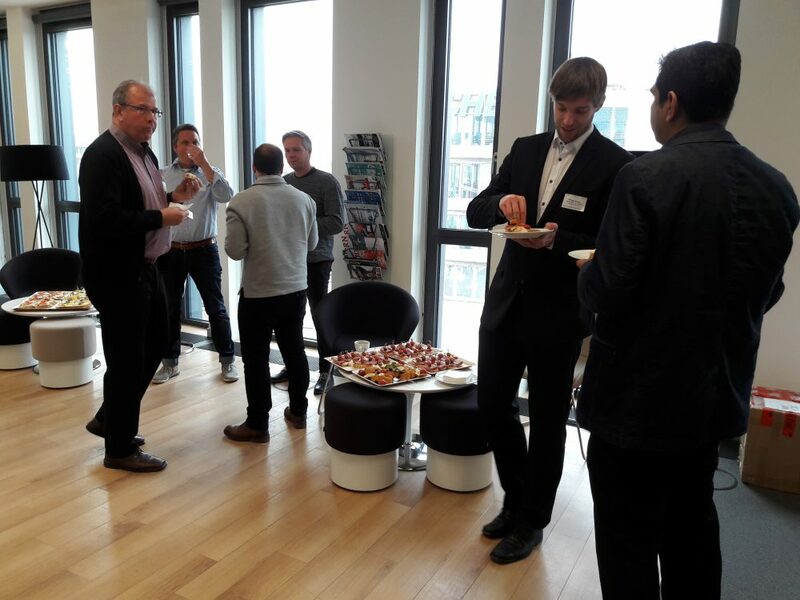 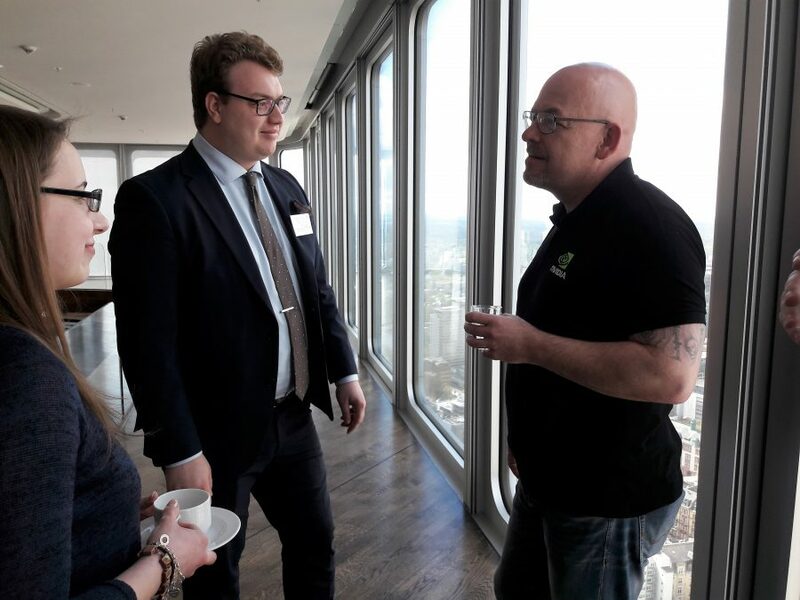 The food was good but the company was even better – it was very interesting to talk and listen to the different angles on the subjects of the day and great to see that so many people joined the event even after office-hours. 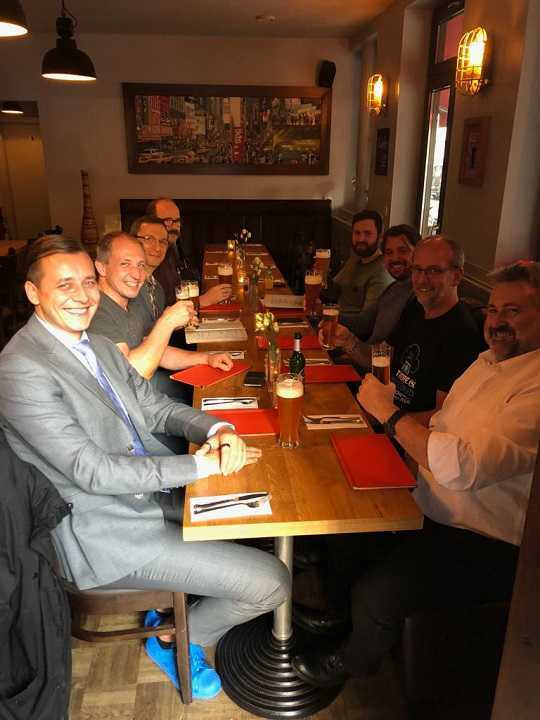 After a long, interesting day full of impressions it was a very nice way to end it by having geeky, techy talks, laughs and dinner with nice people! 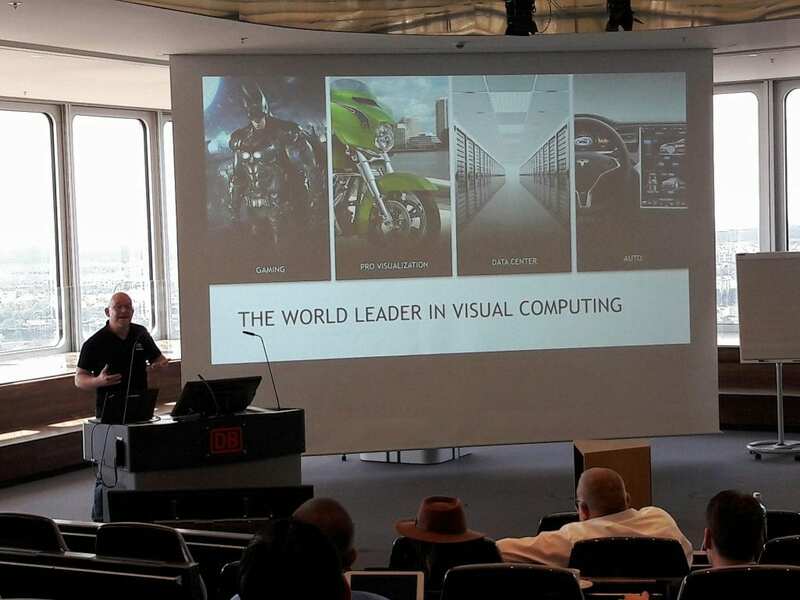 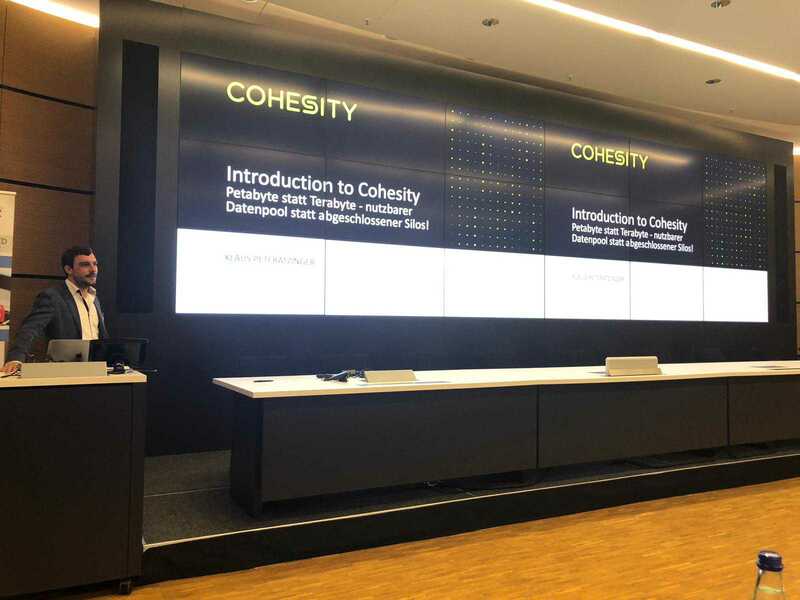 I have nothing but recommendations for attending community events like these, and on a personal level I hope I got to enlighten the audience a little more on the perspectives of virtualized graphical accelerations. 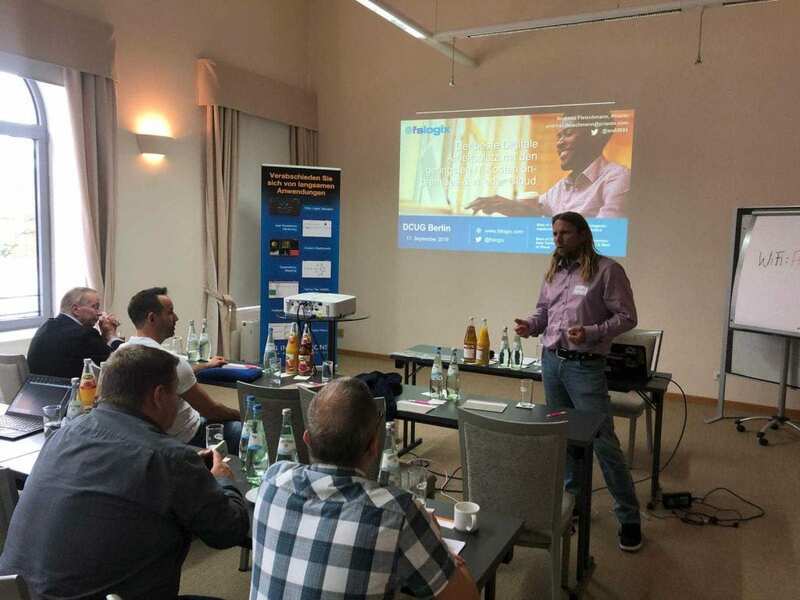 A big thank you to my new German friends, for having me present and experience this event! 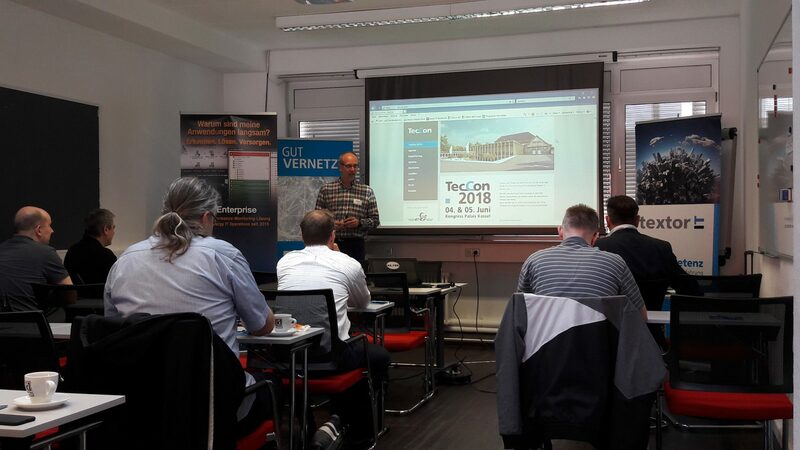 I am looking forward to hopefully meet you all again, at the TecCon conference in Kassel in the autumn of 2017! 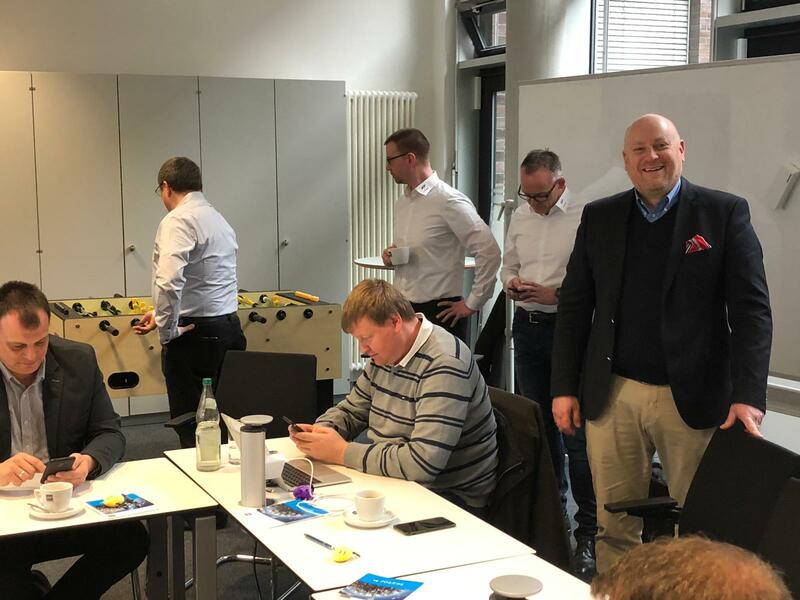 Hier geht es zum LinkedIn-Artikel!